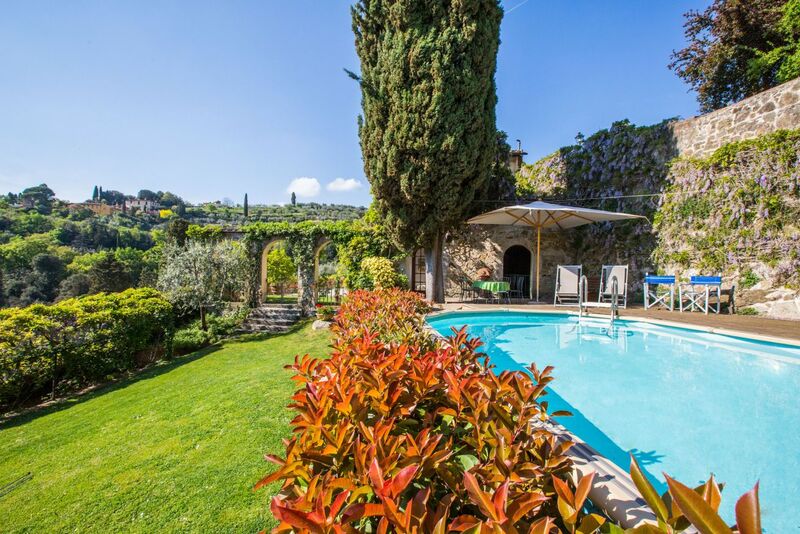 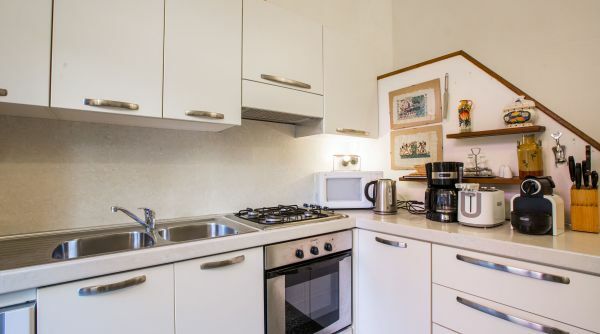 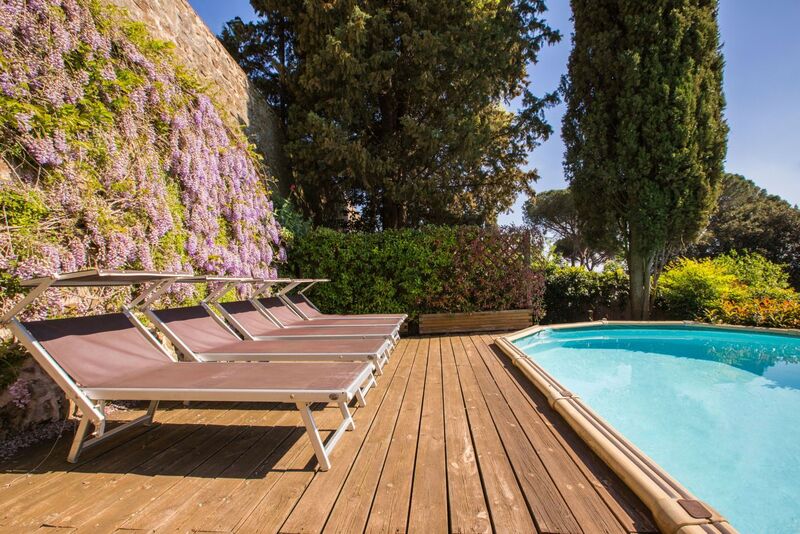 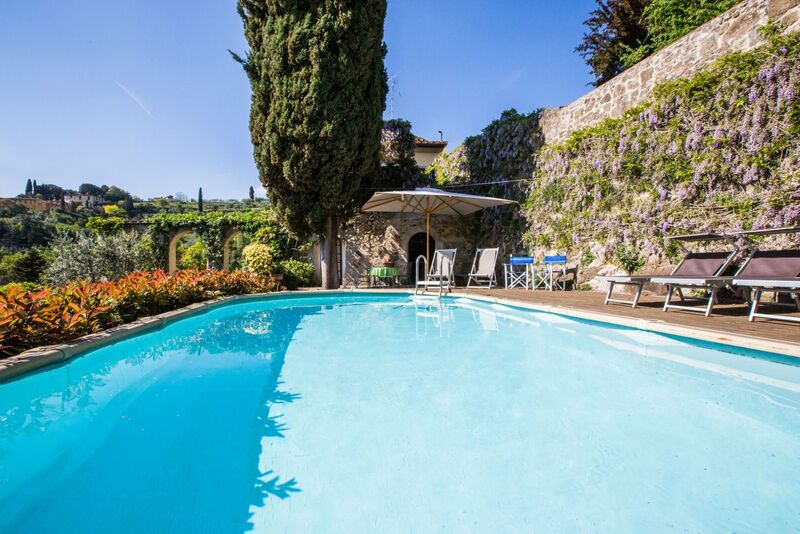 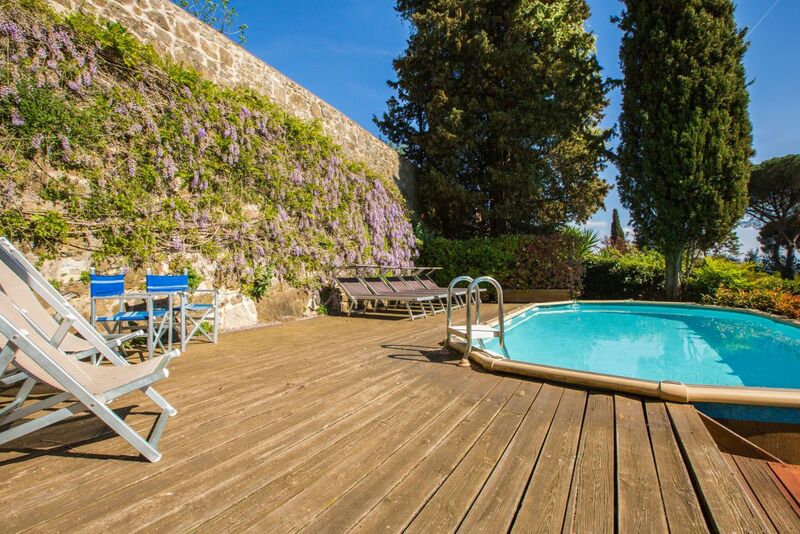 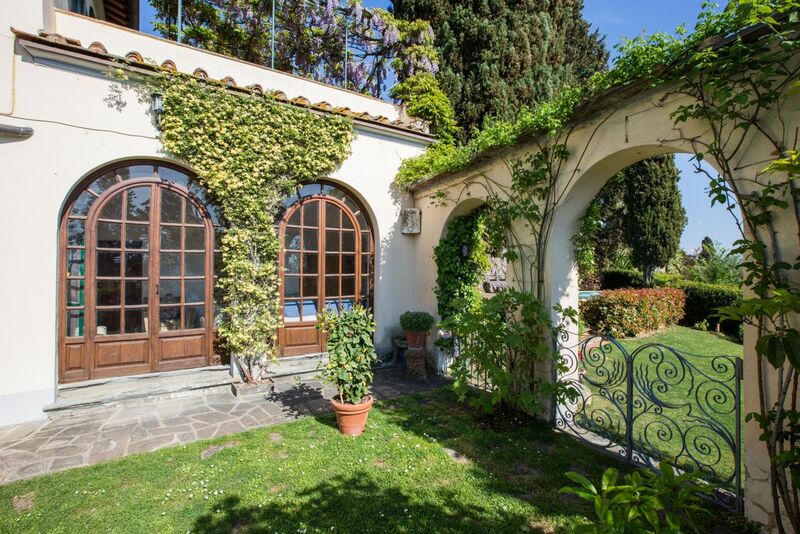 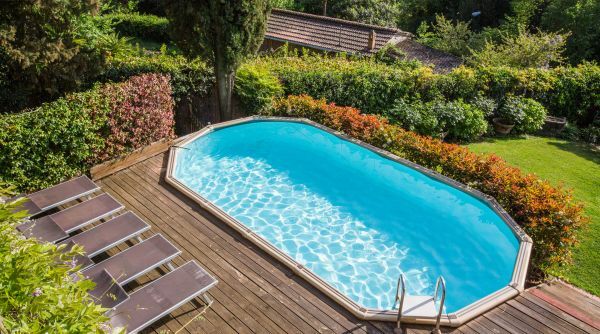 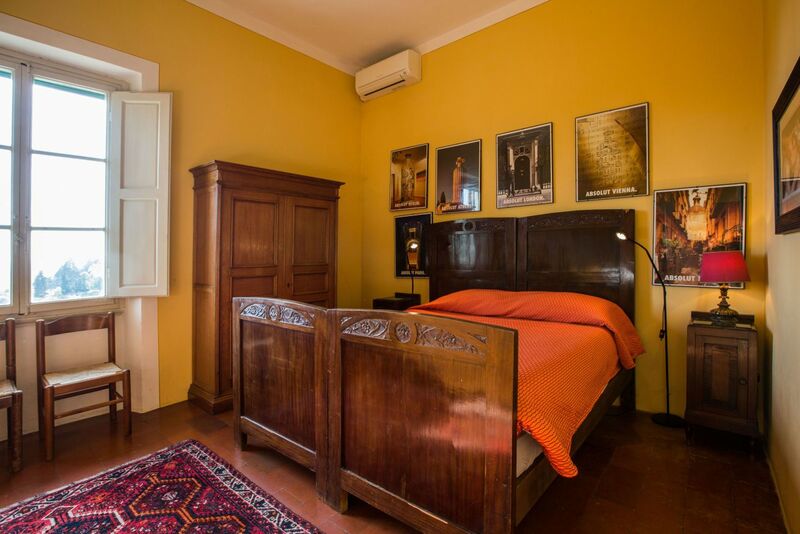 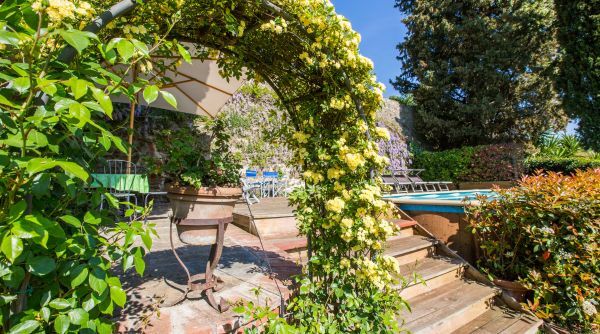 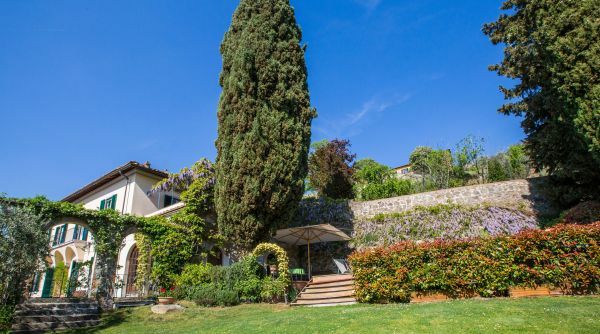 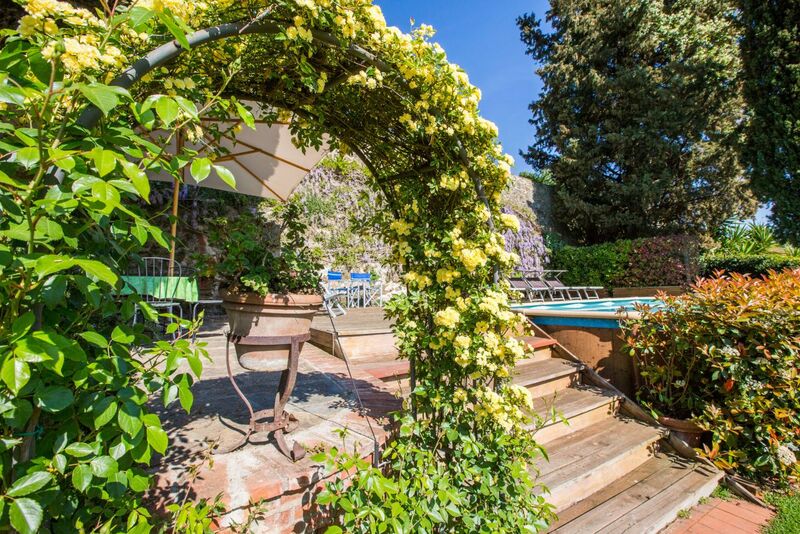 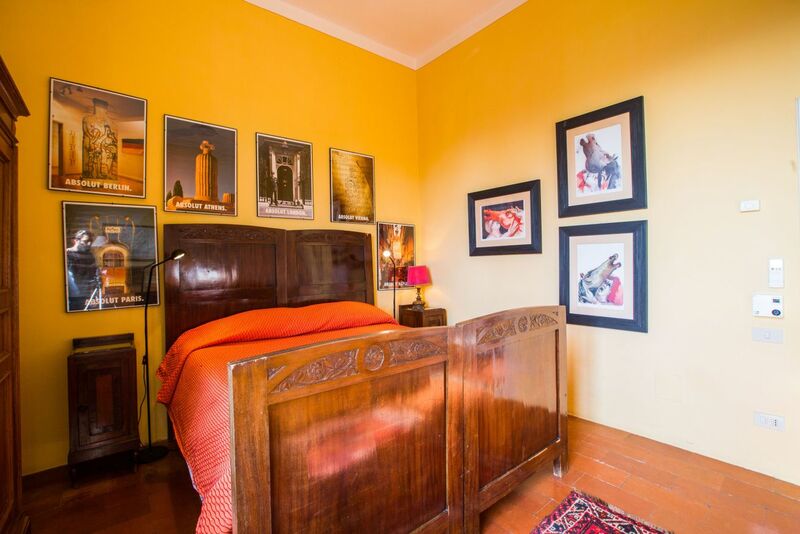 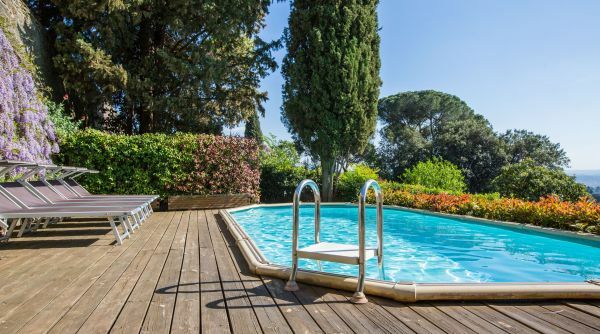 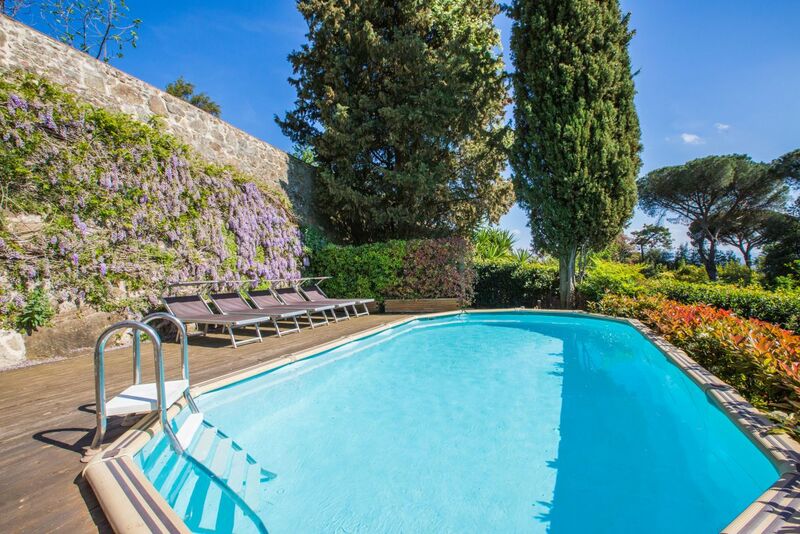 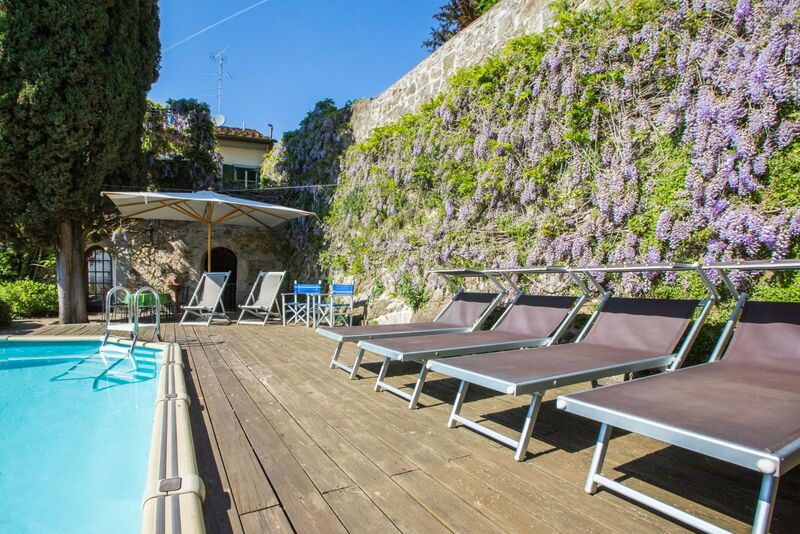 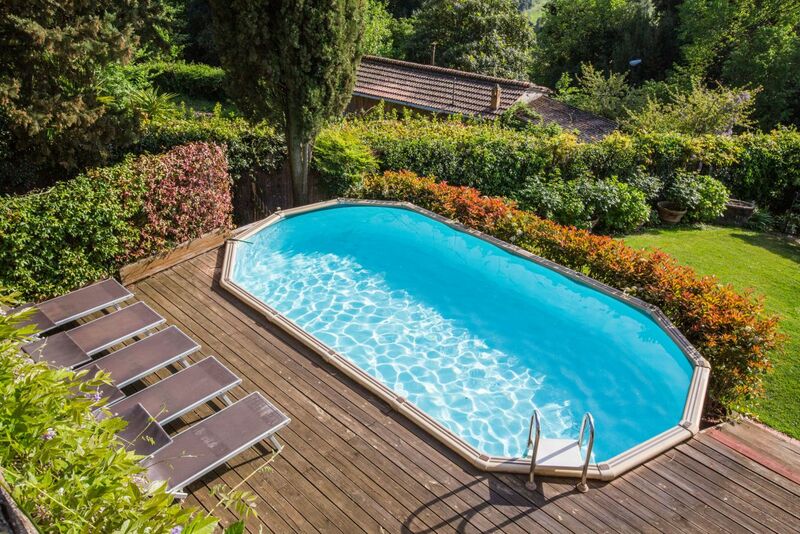 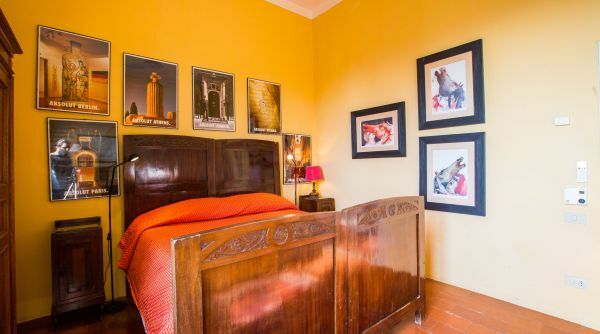 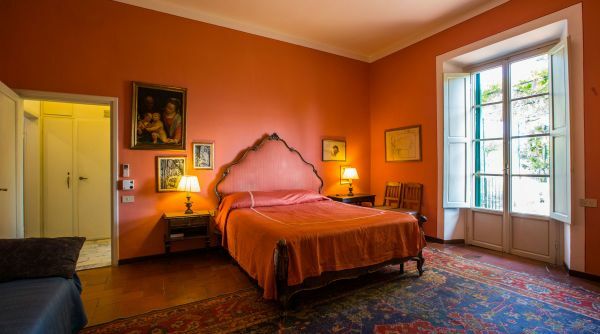 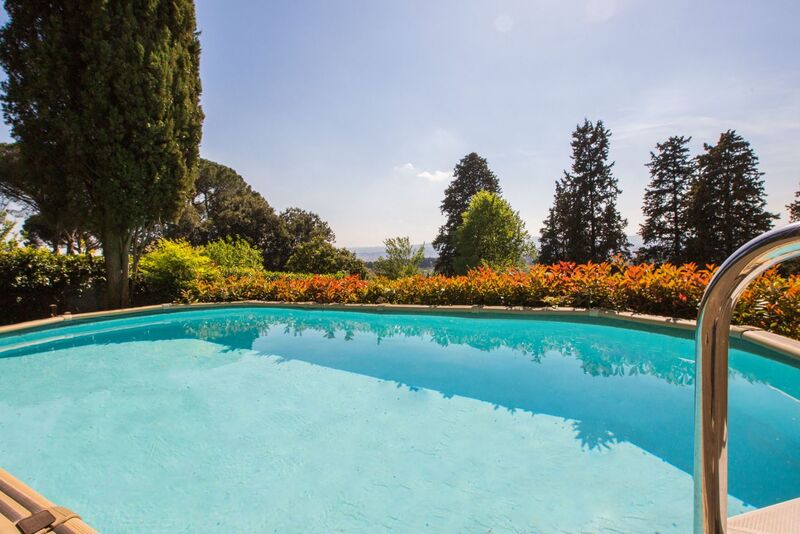 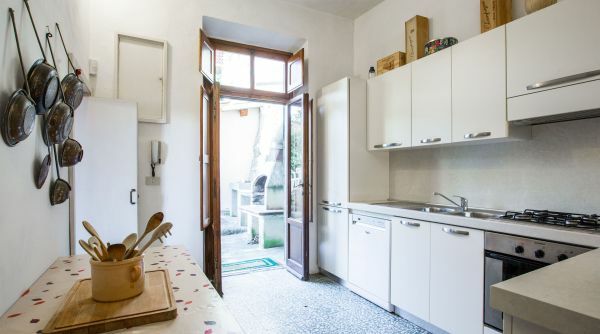 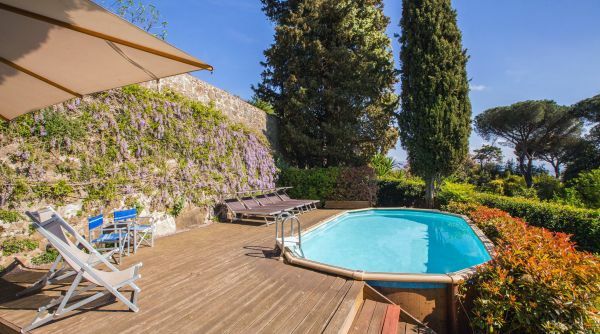 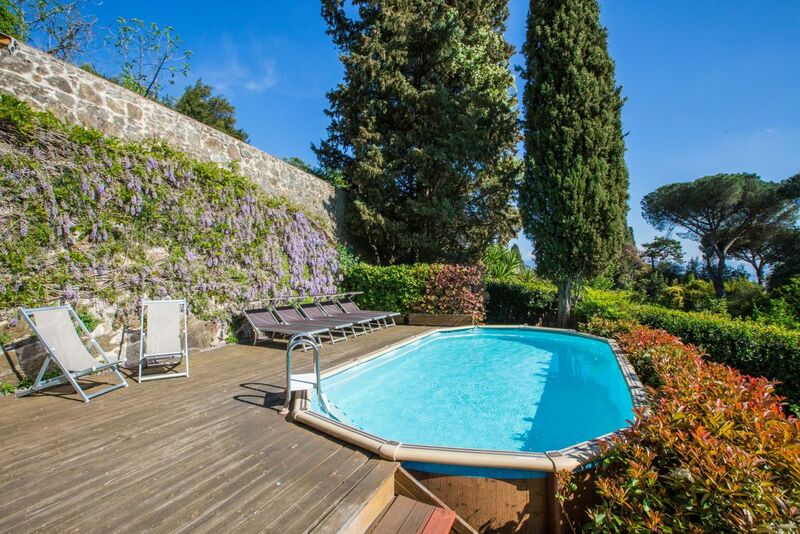 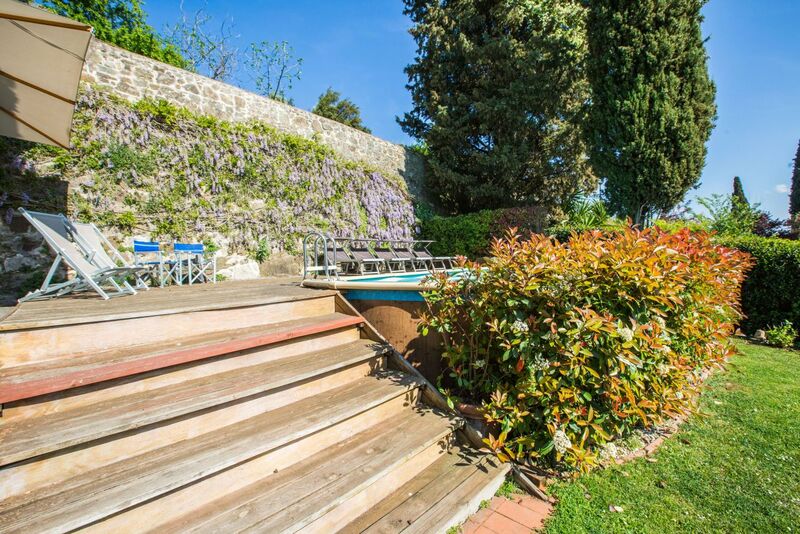 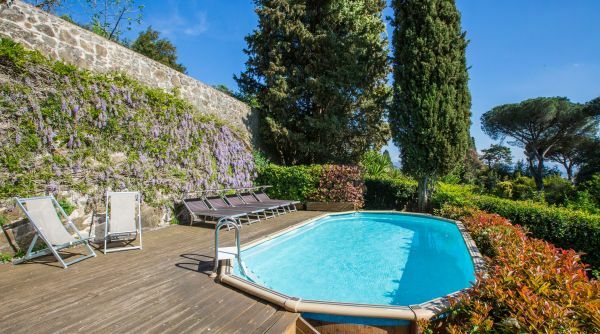 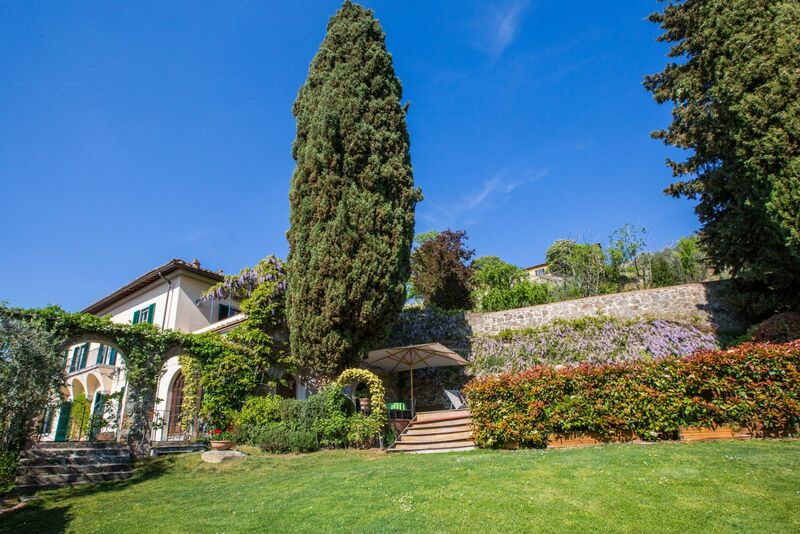 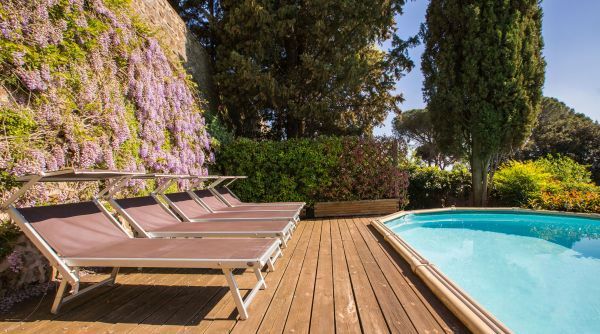 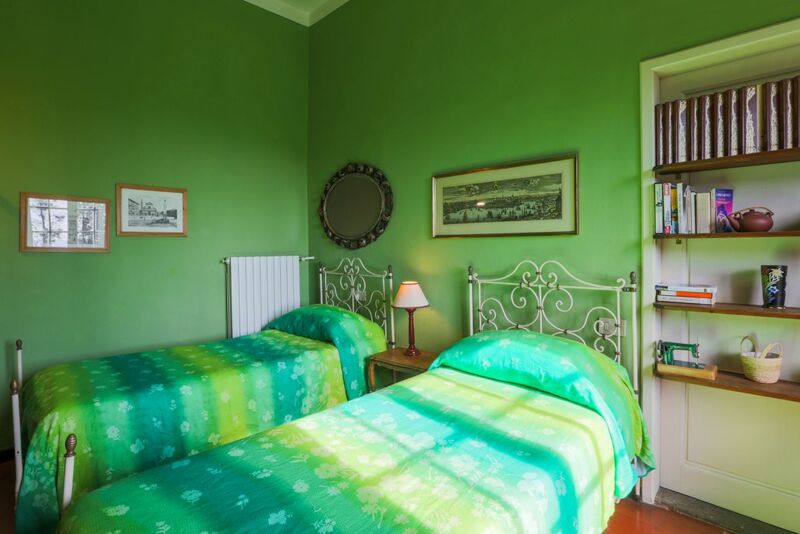 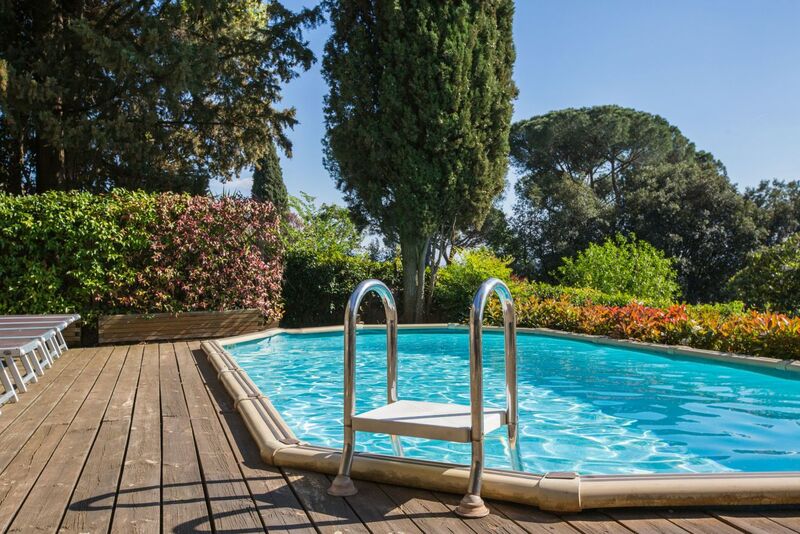 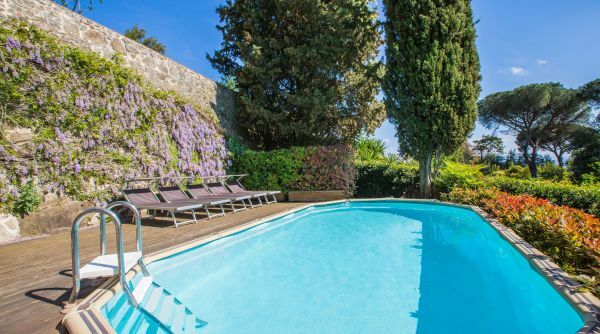 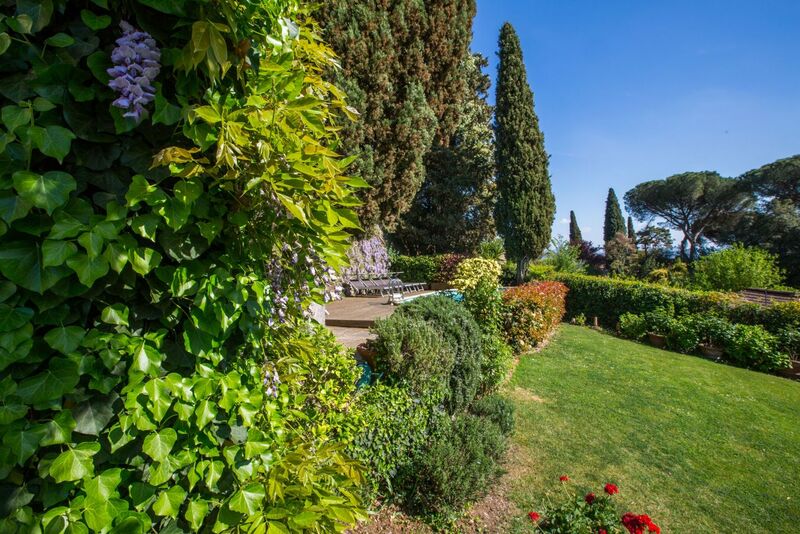 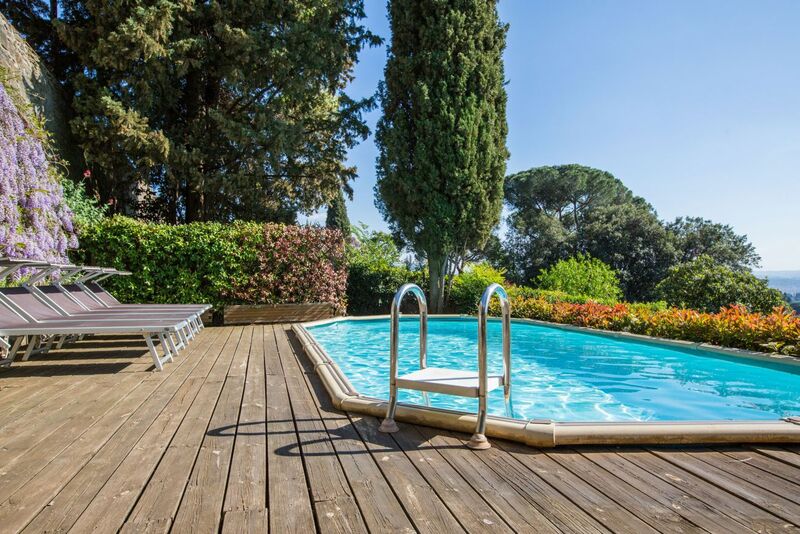 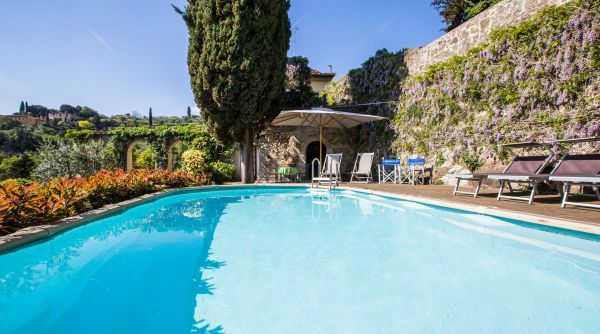 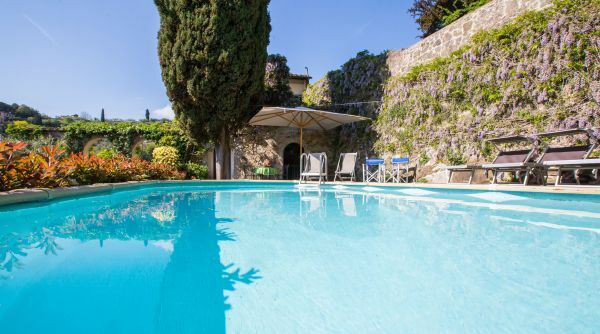 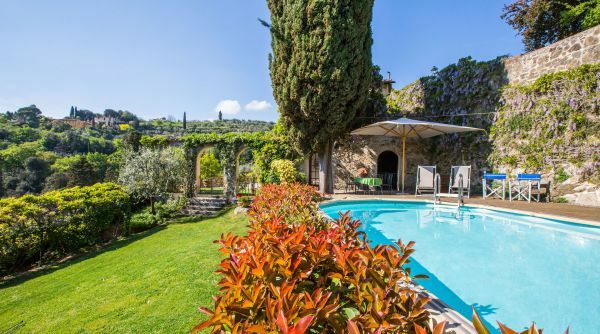 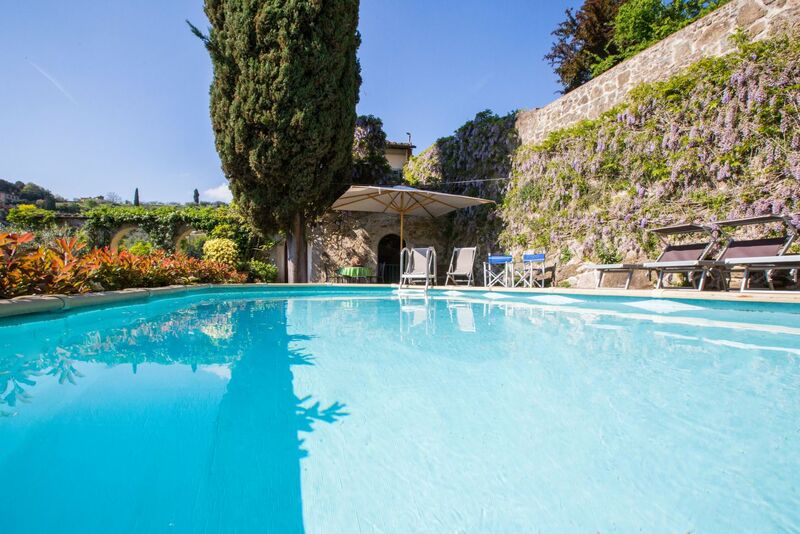 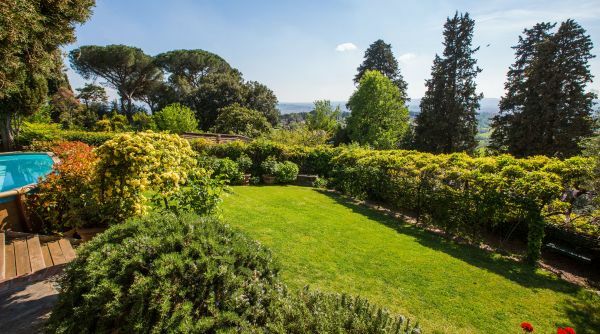 Luxury accommodation: this beautiful Villa is located in the heart of Tuscany, just moments away from the hectic main roads that connect the historic centre to city’s suburbs in a picturesque residential area of Florence, where the aristocracy and the wealthy built their spacious villas in the shade of huge umbrella pines. 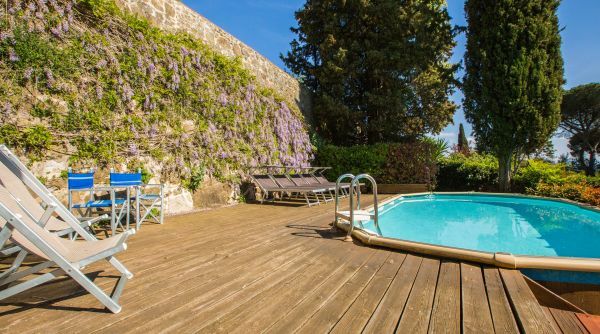 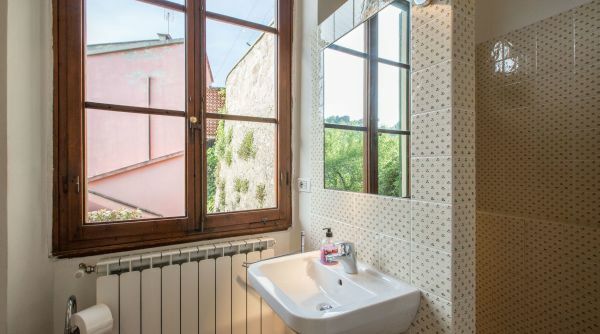 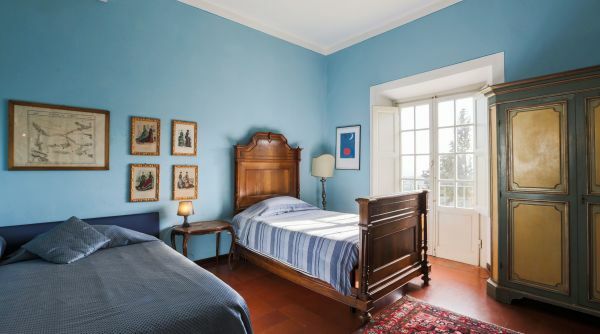 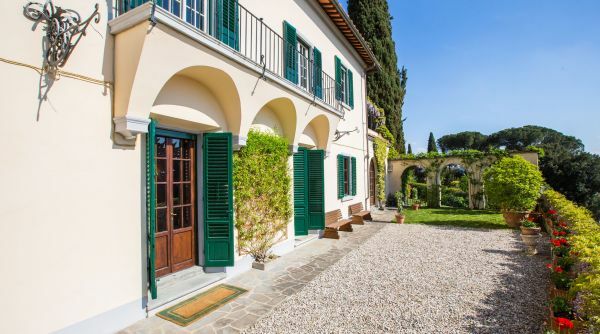 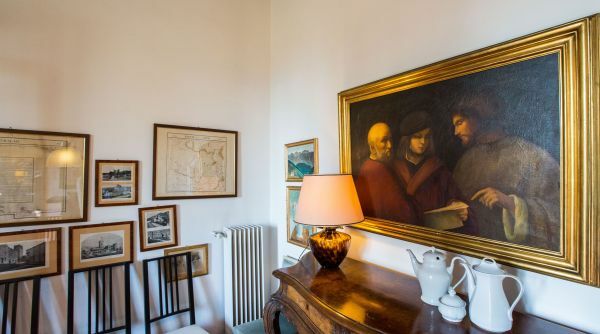 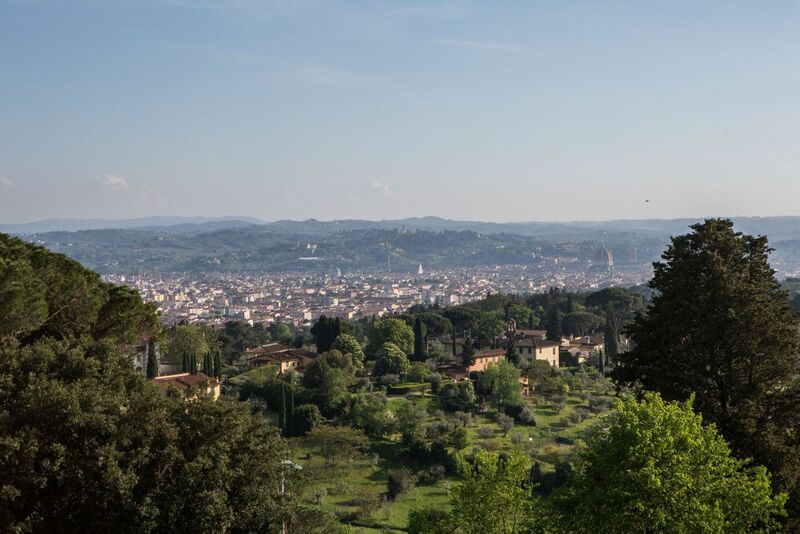 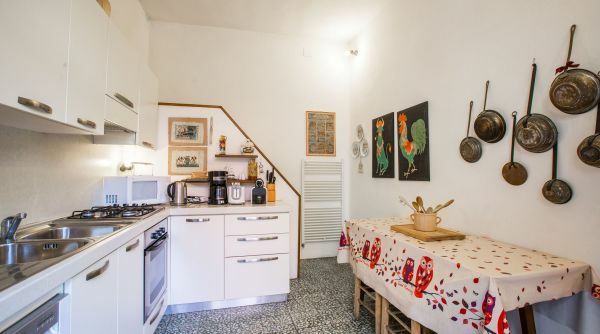 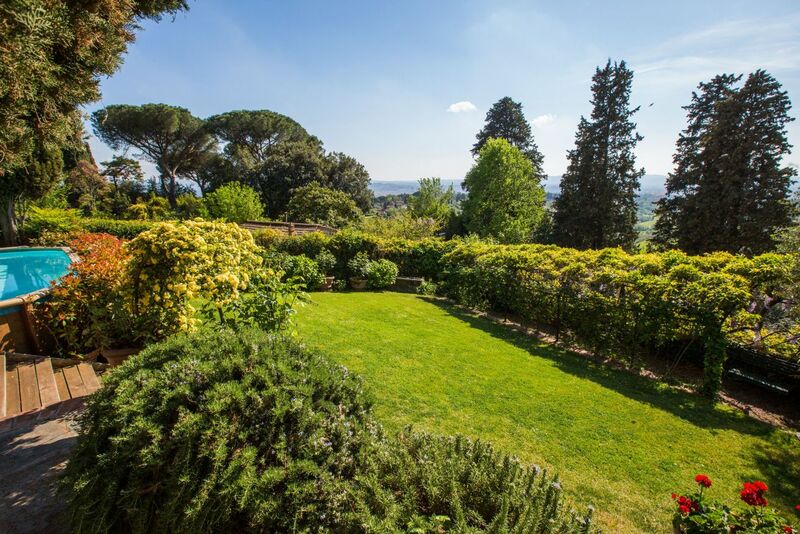 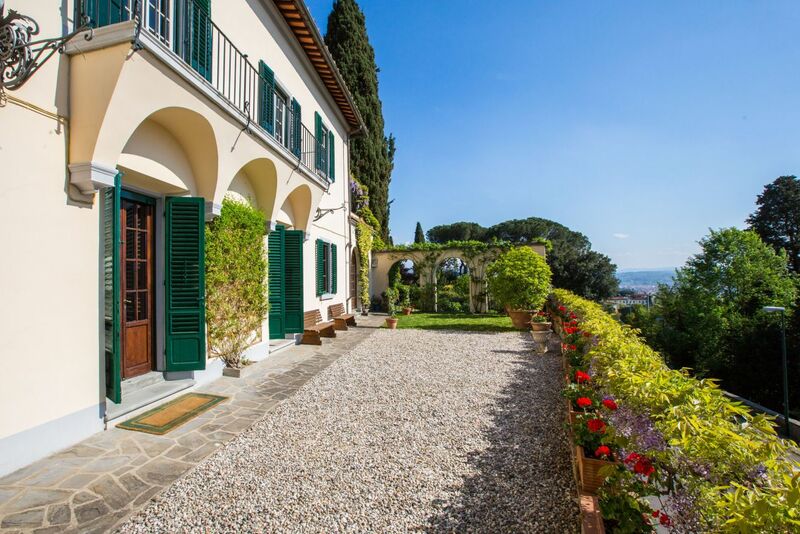 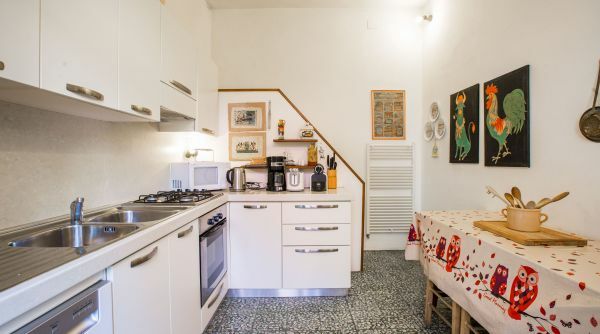 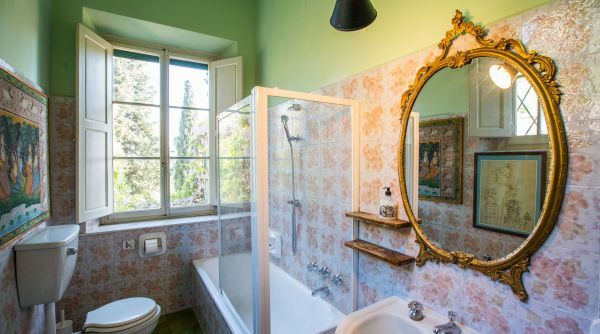 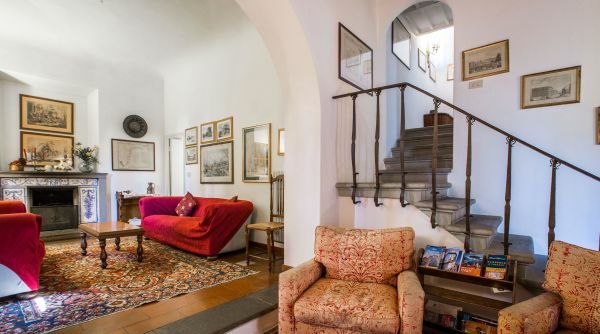 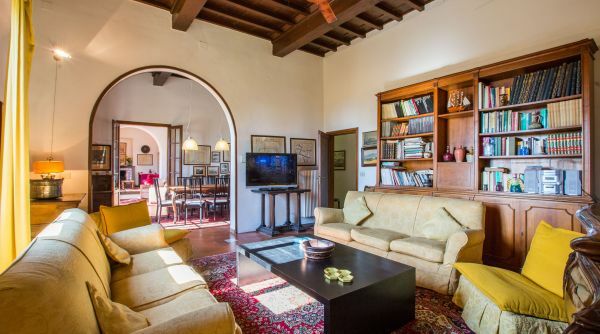 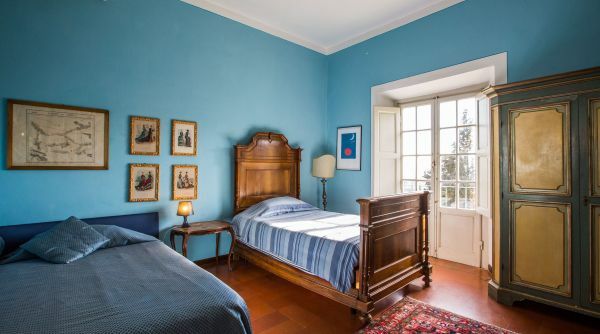 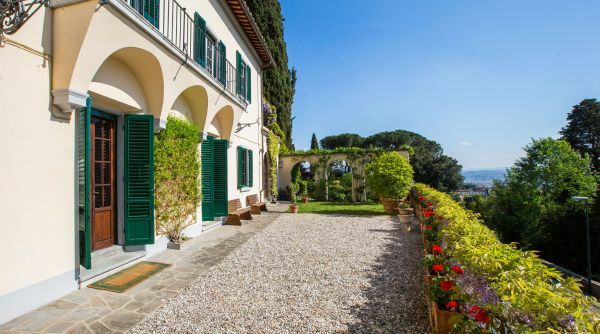 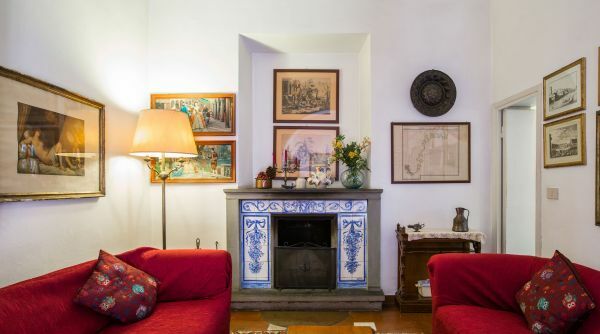 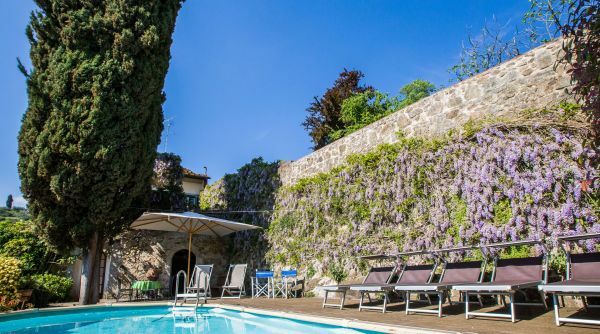 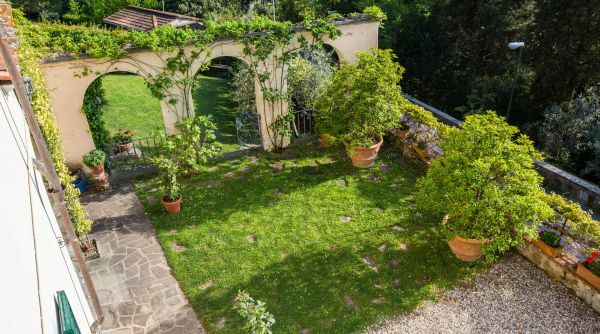 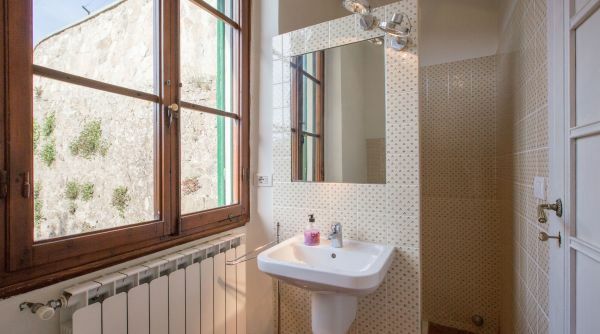 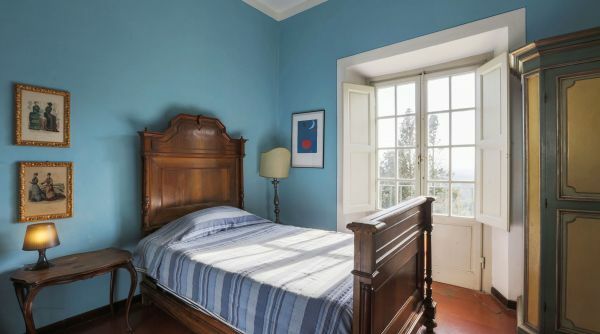 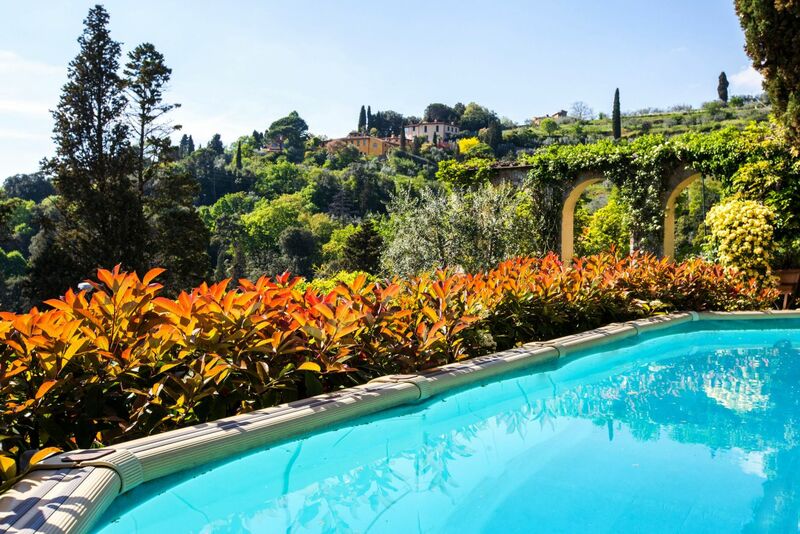 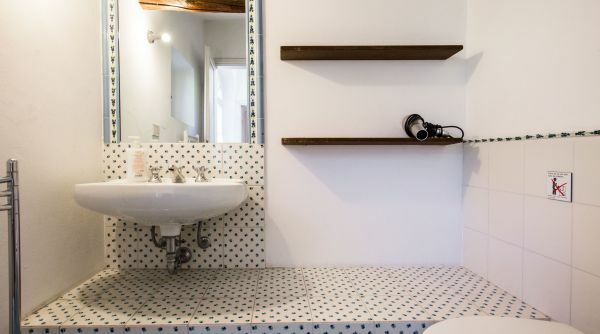 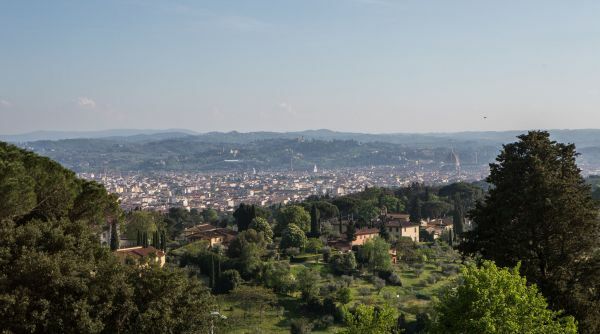 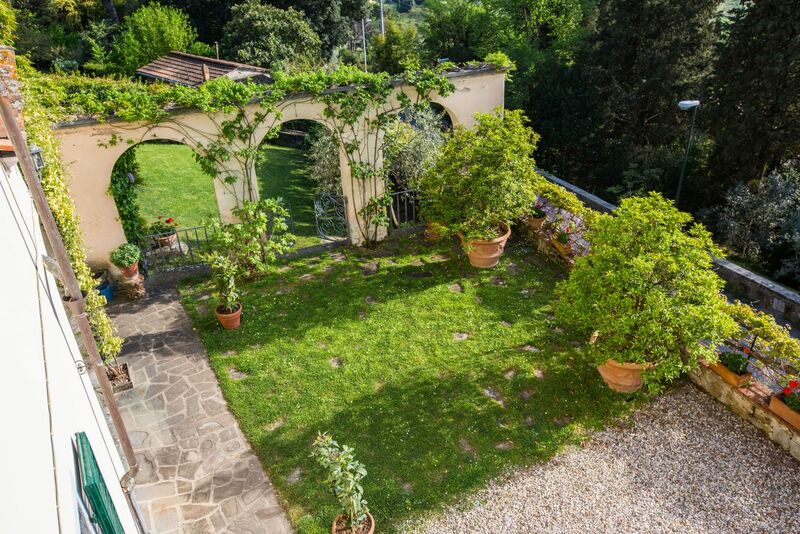 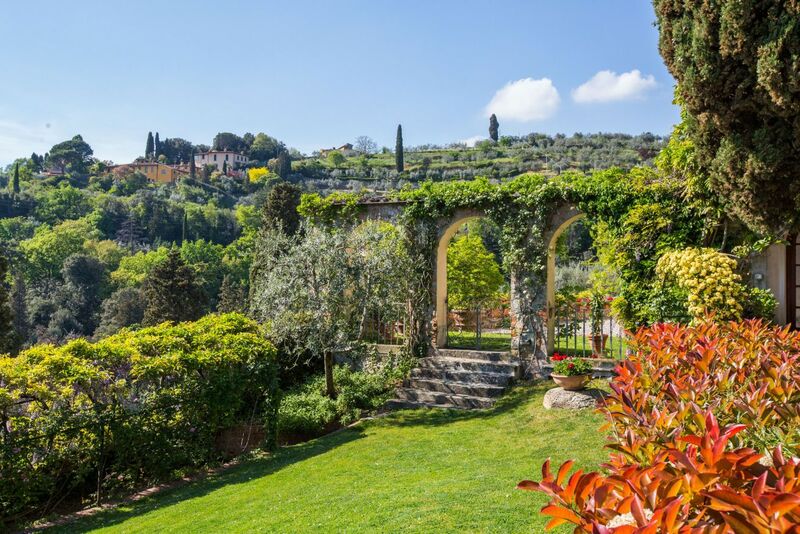 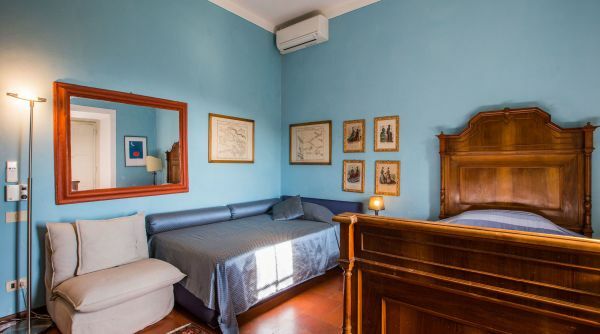 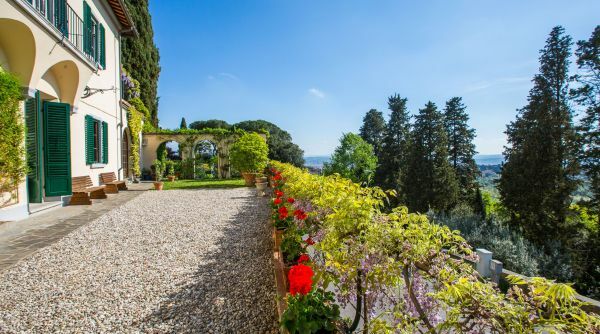 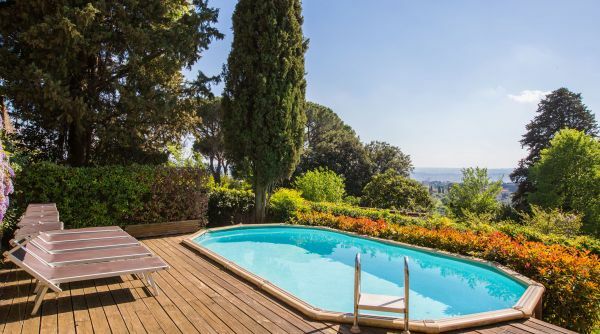 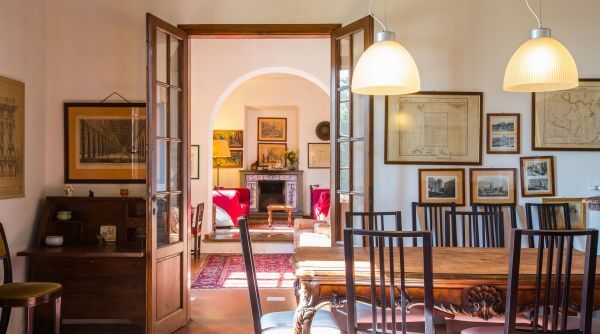 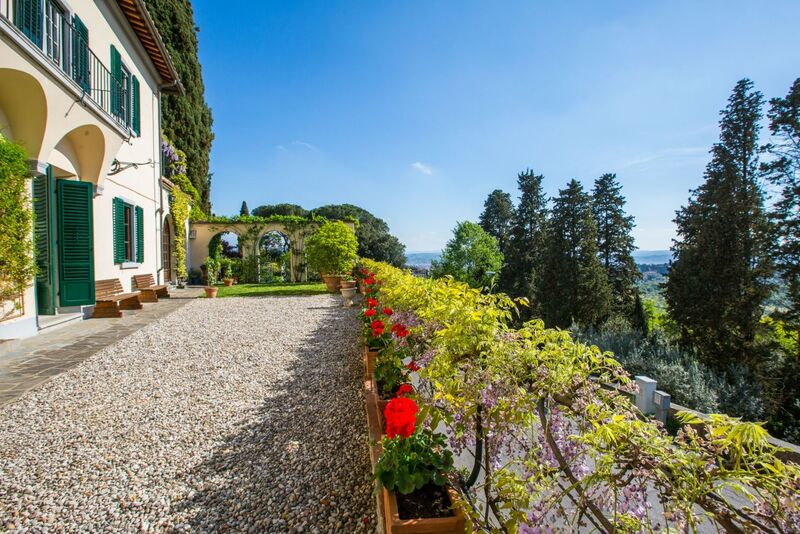 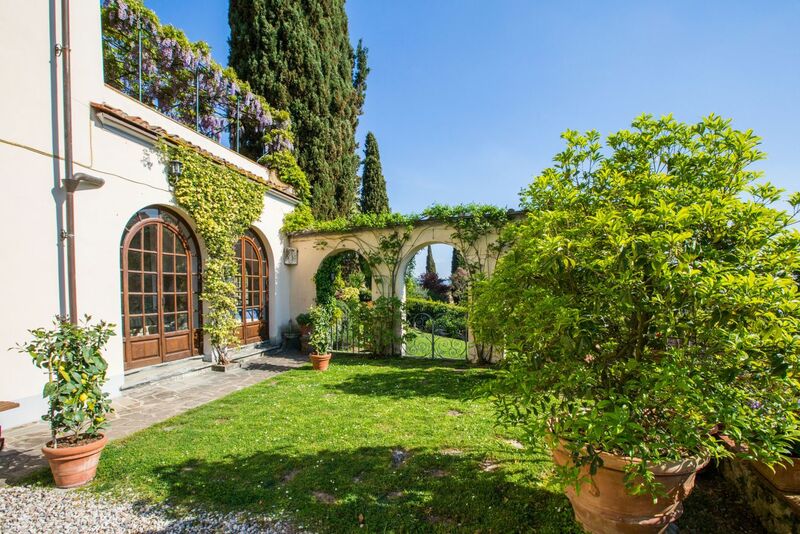 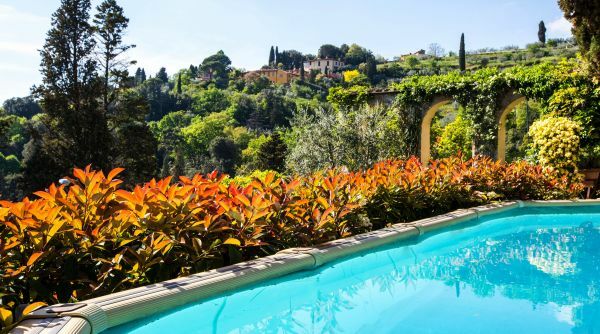 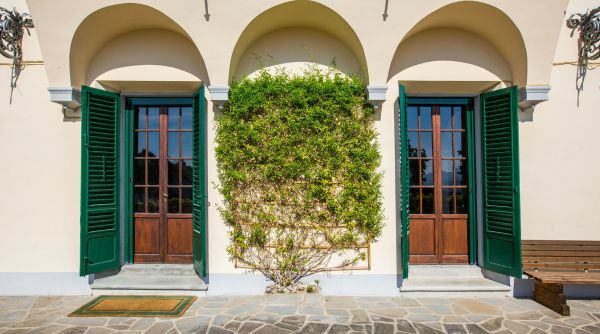 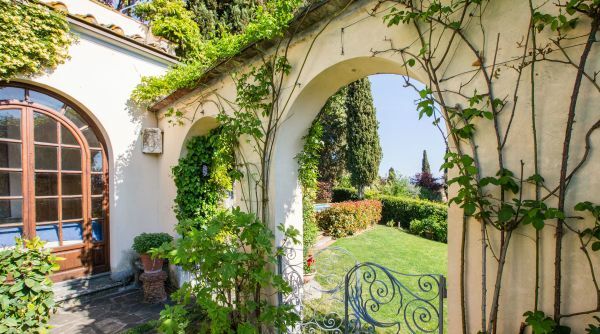 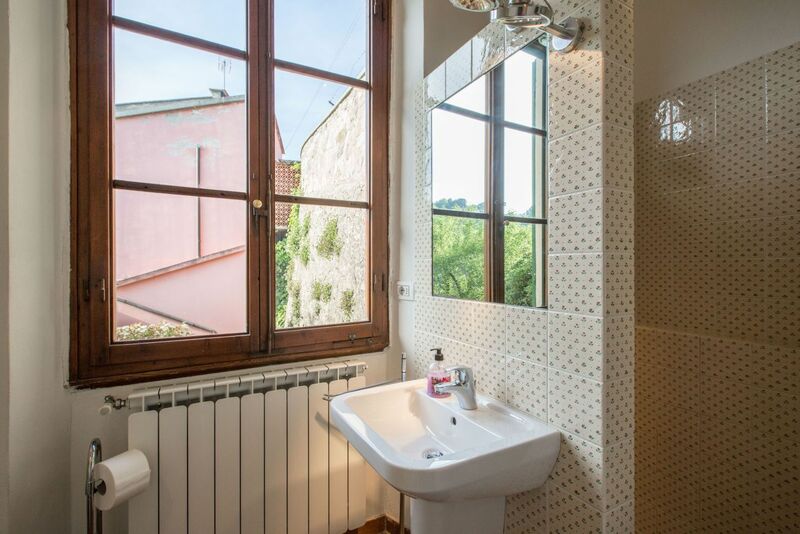 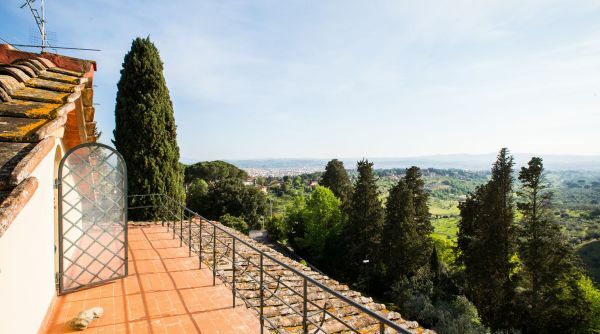 The winding road, lined with cypress trees and passing olive groves and tiny vineyards leaves behind the bustling crowds of 21st Century Florence, allowing glimpses of the spectacular Duomo and Palazzo Vecchio from the tranquility of this country retreat. 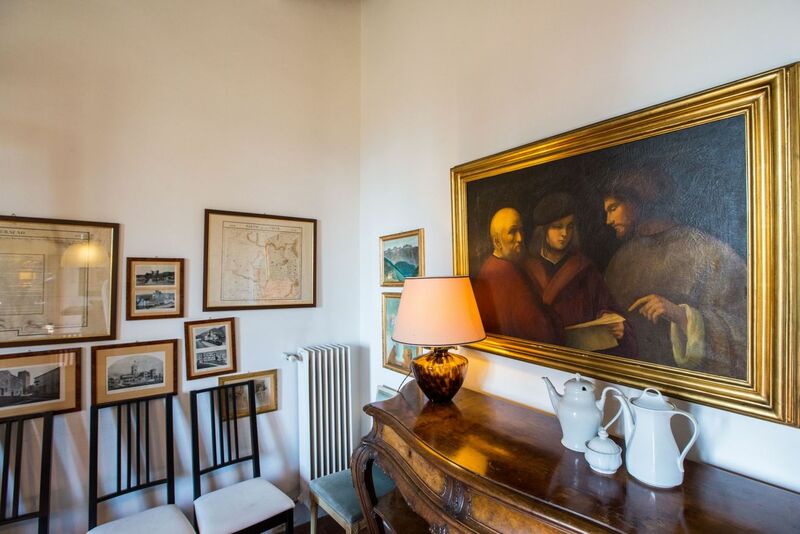 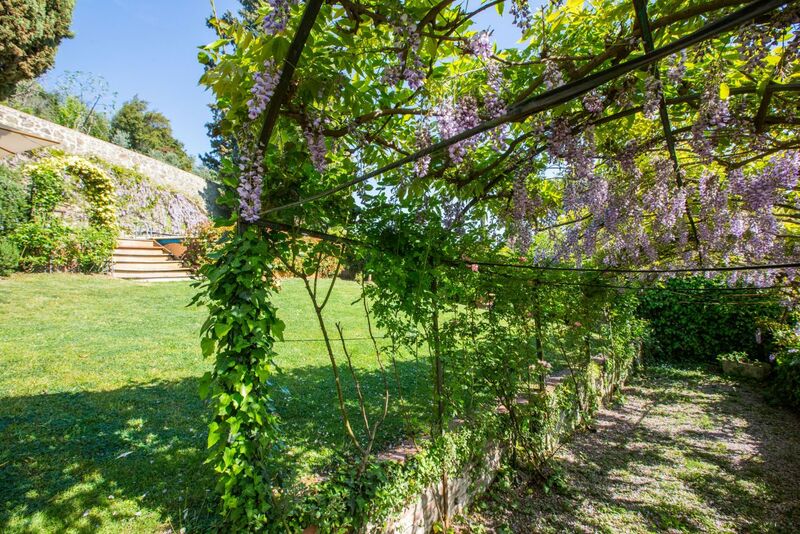 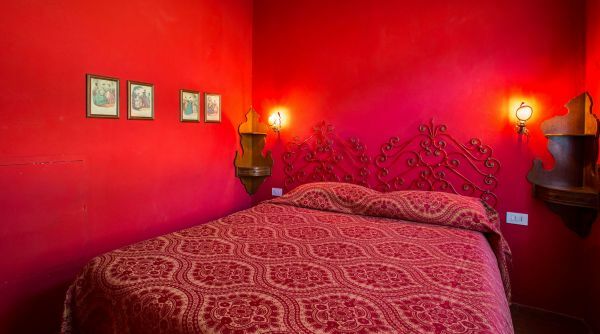 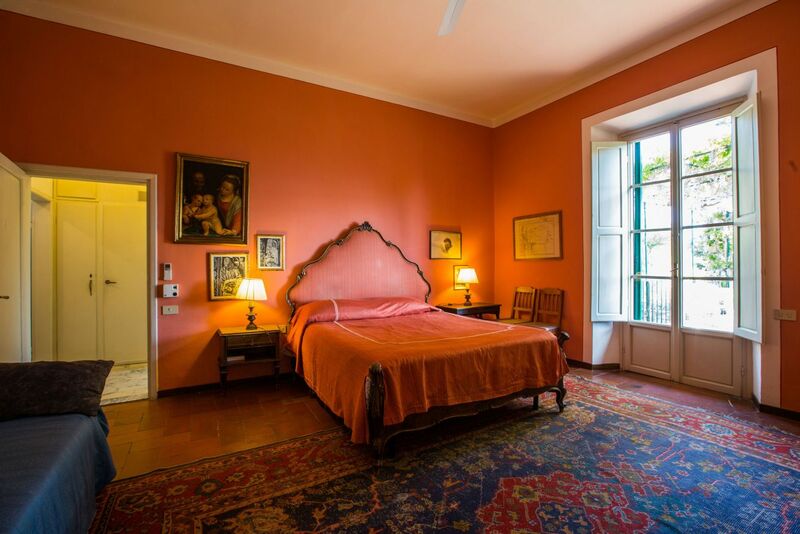 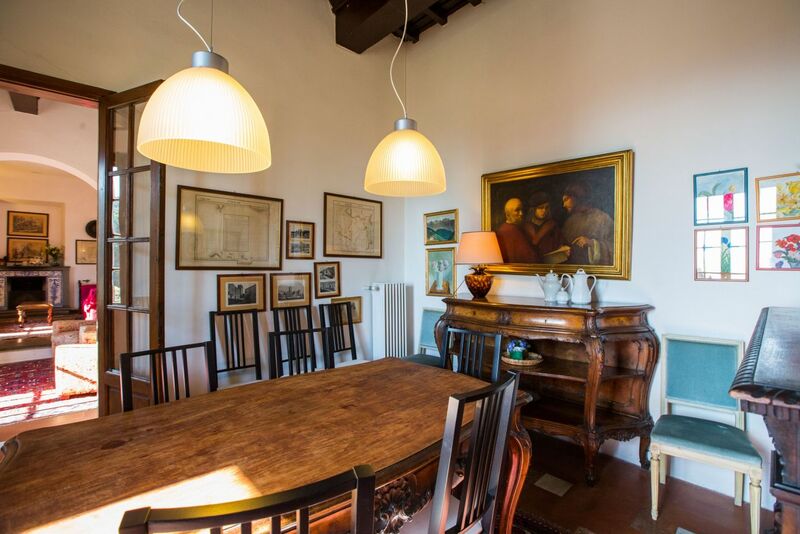 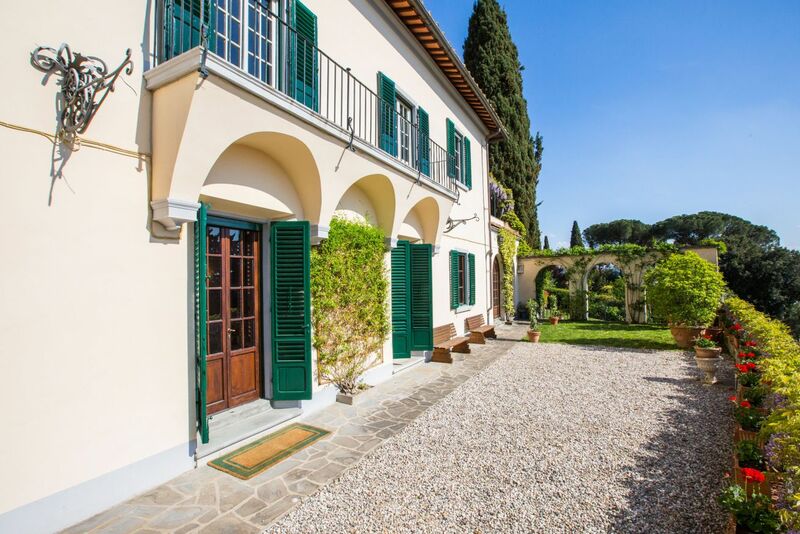 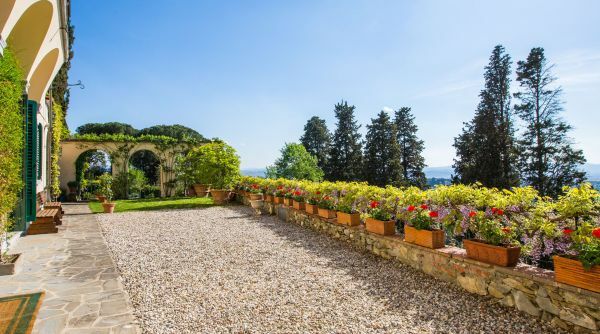 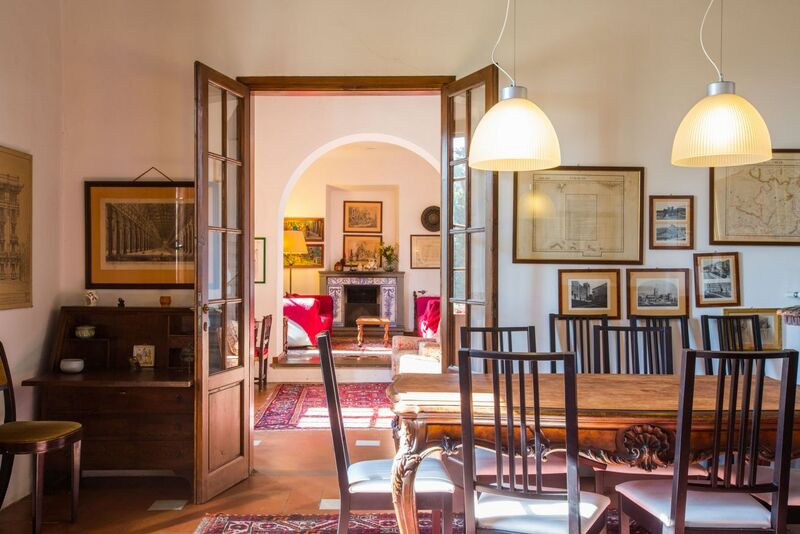 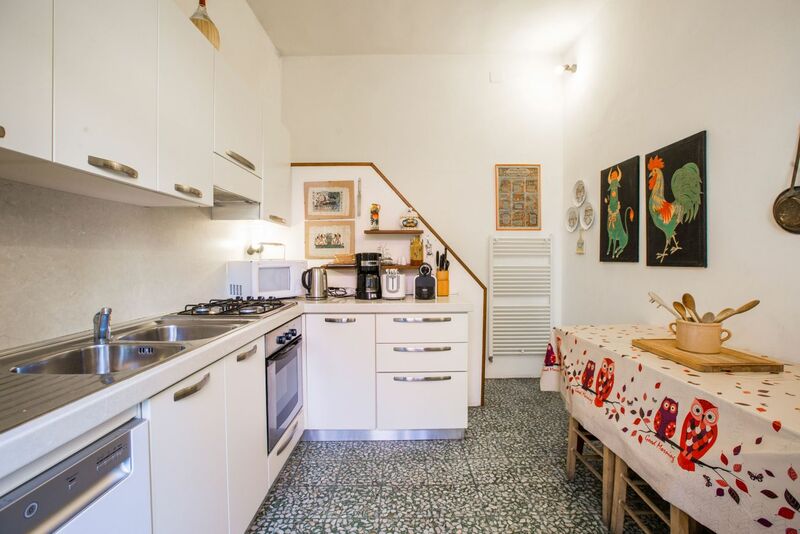 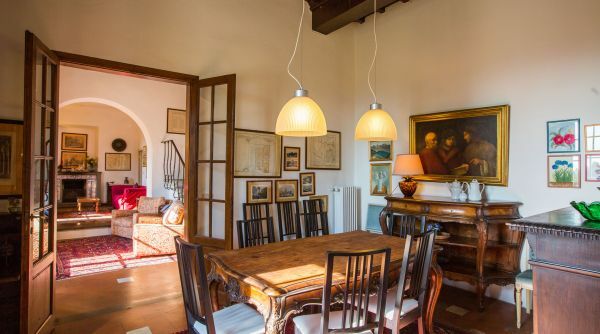 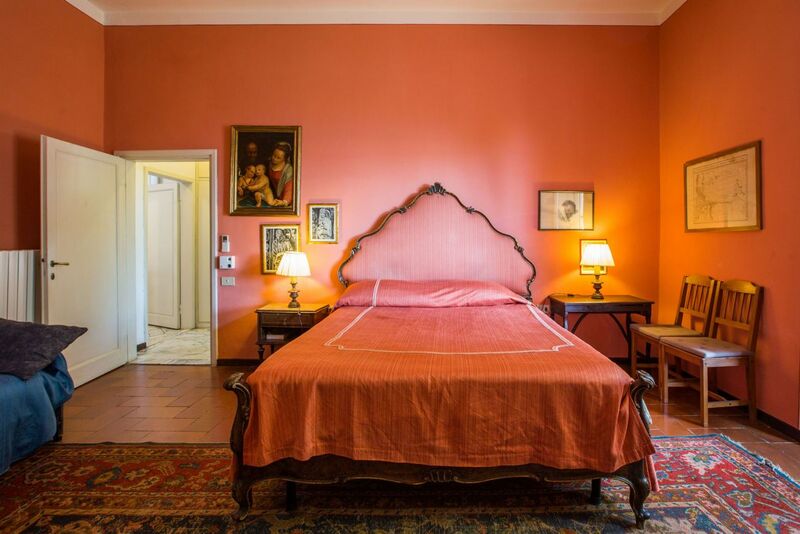 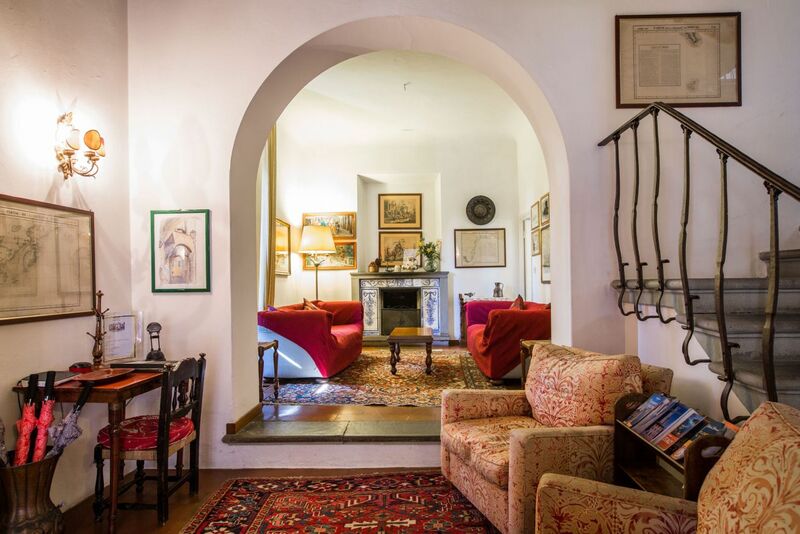 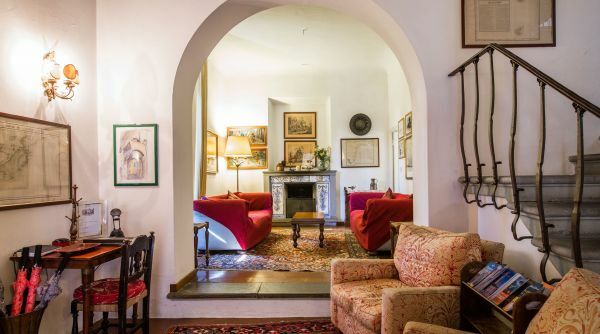 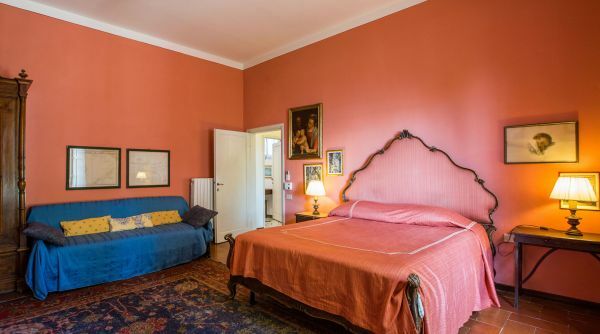 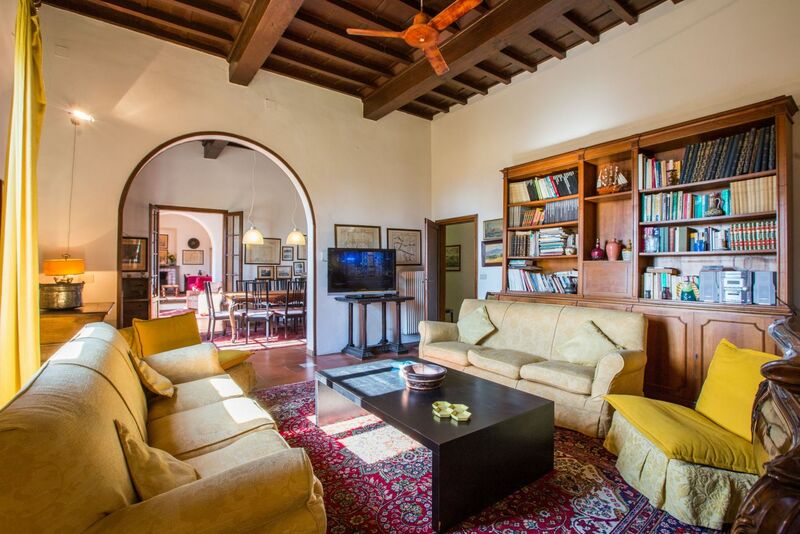 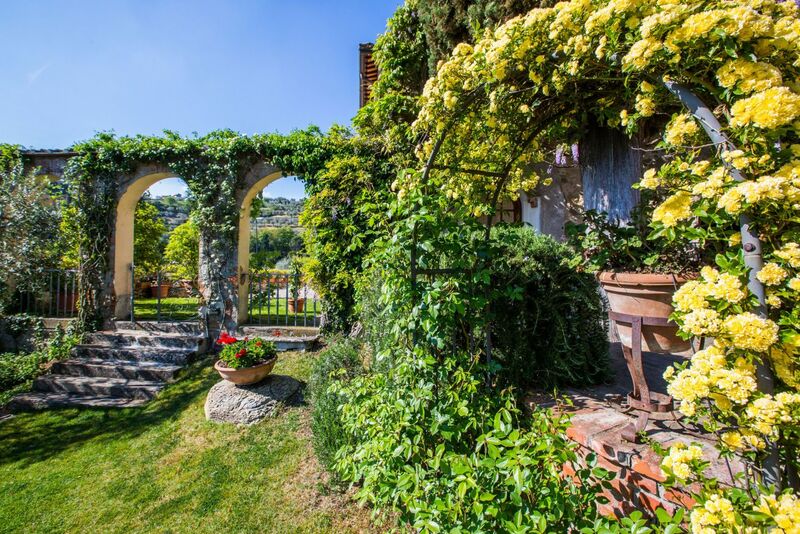 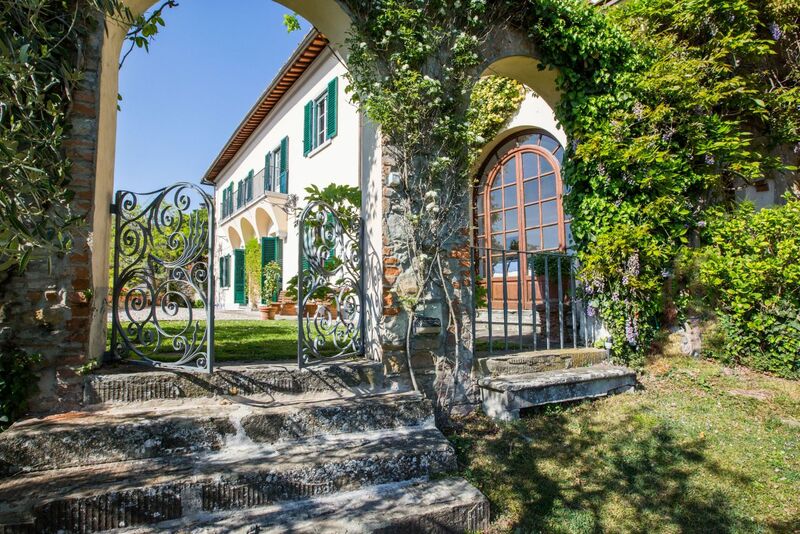 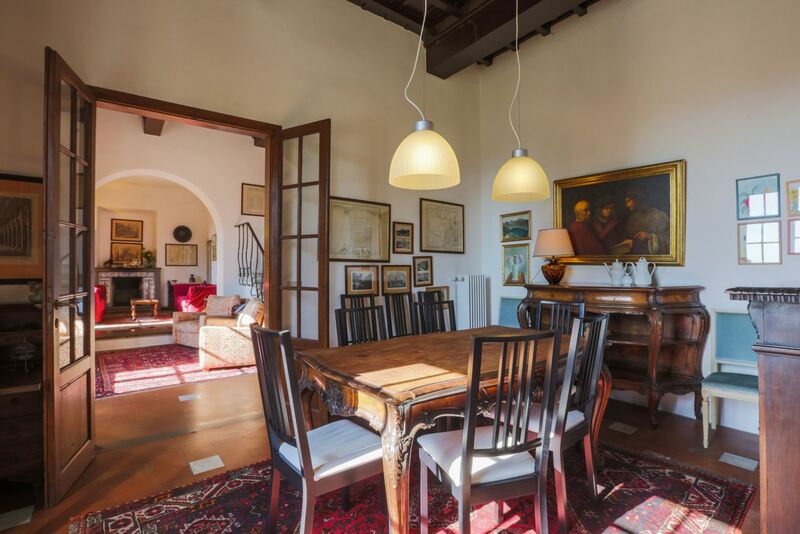 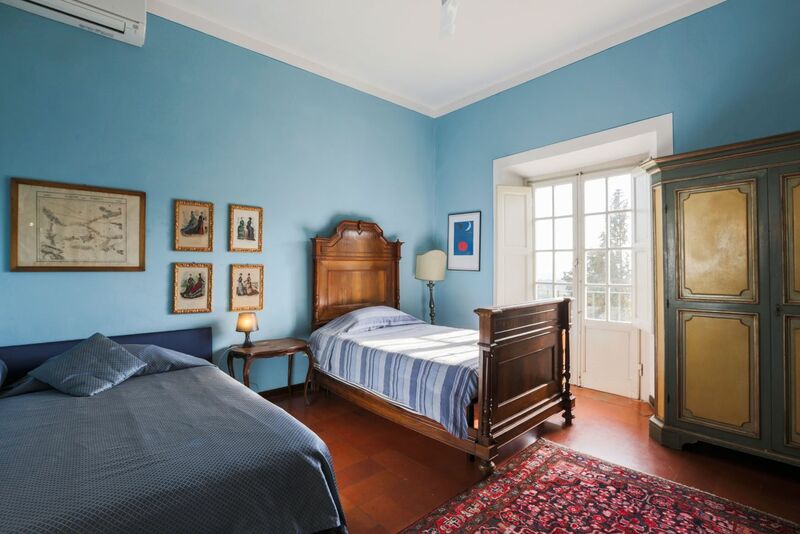 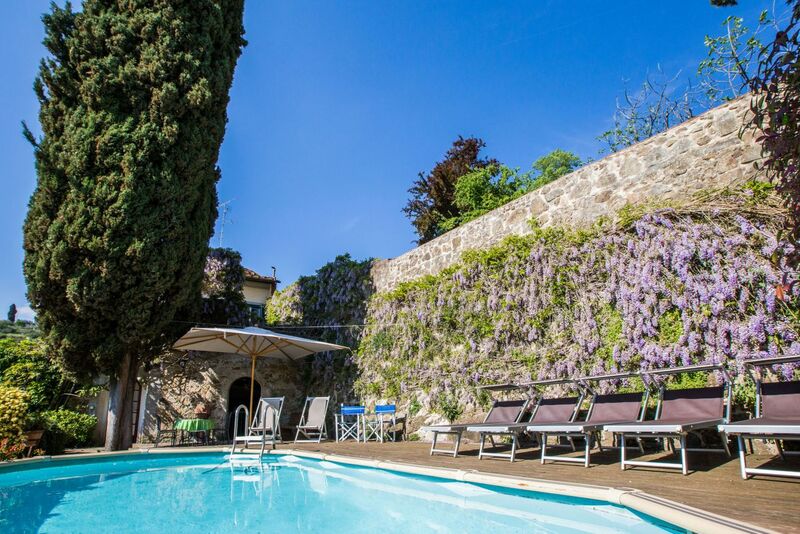 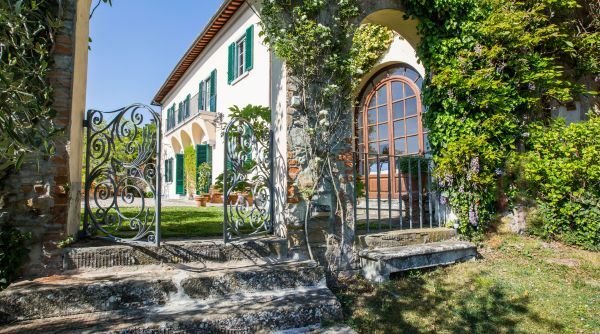 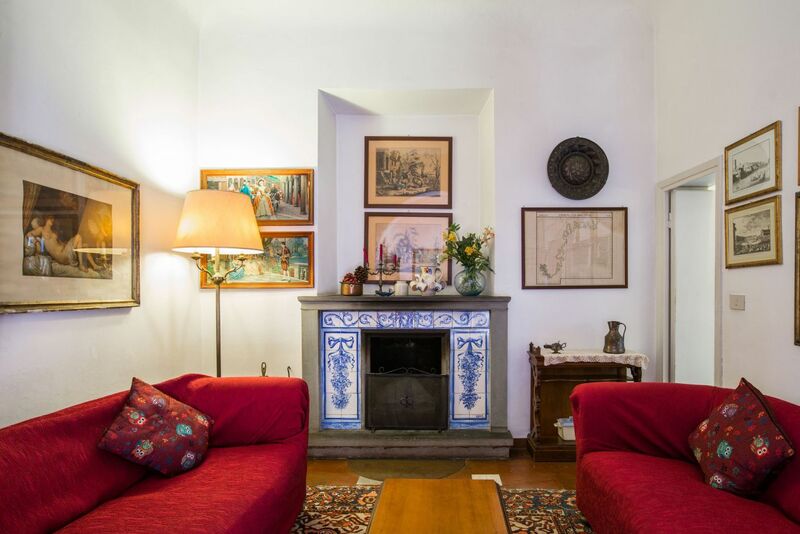 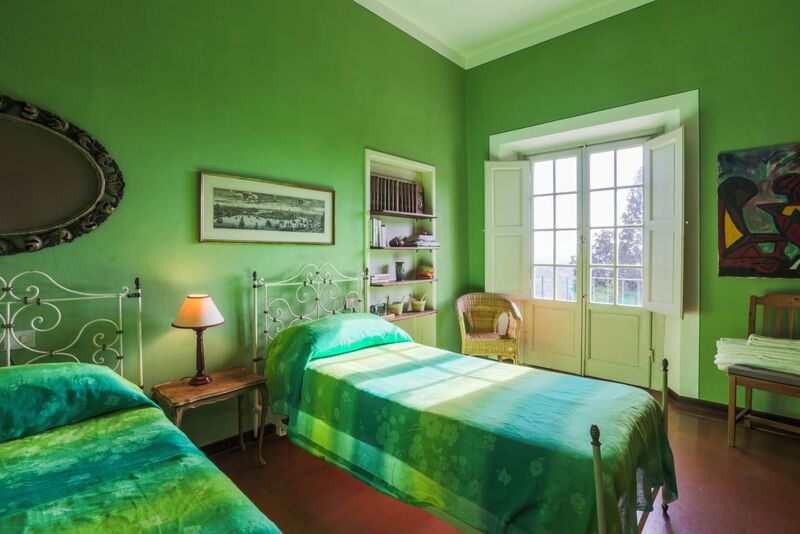 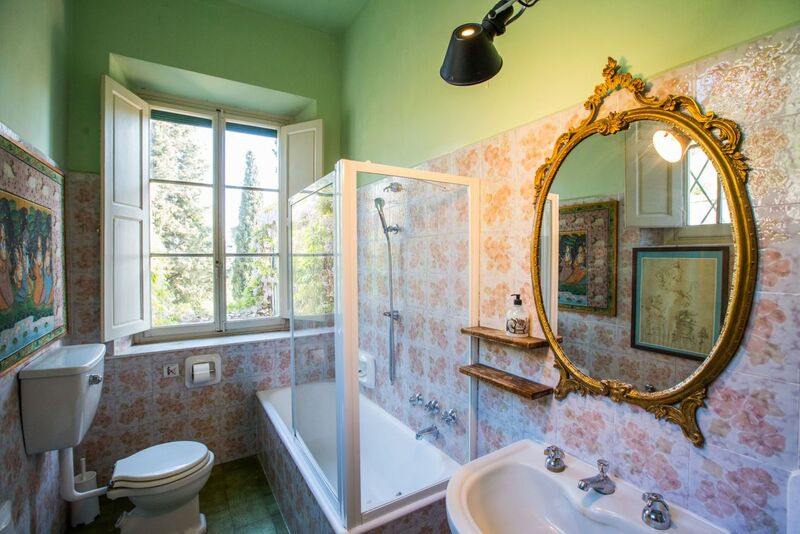 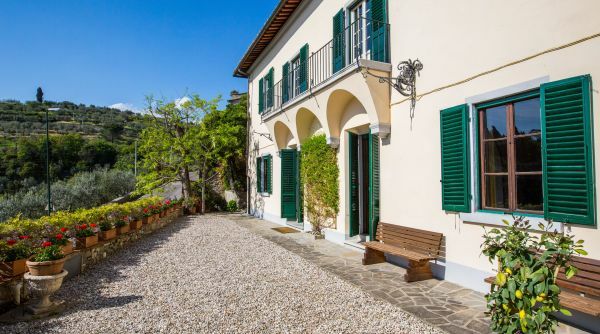 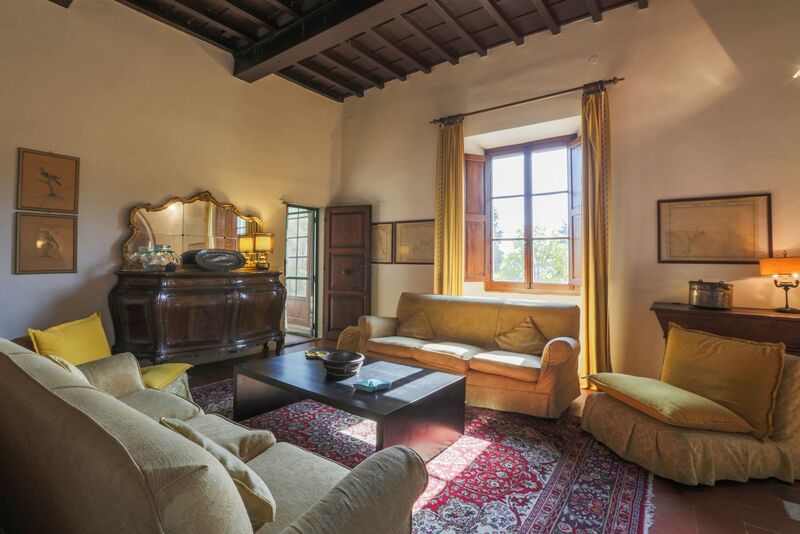 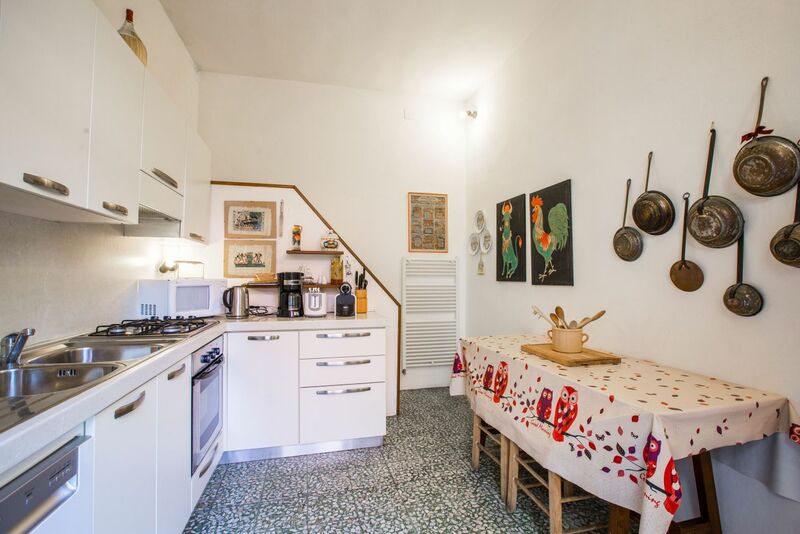 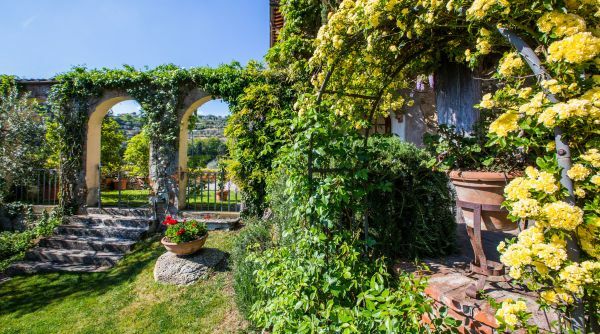 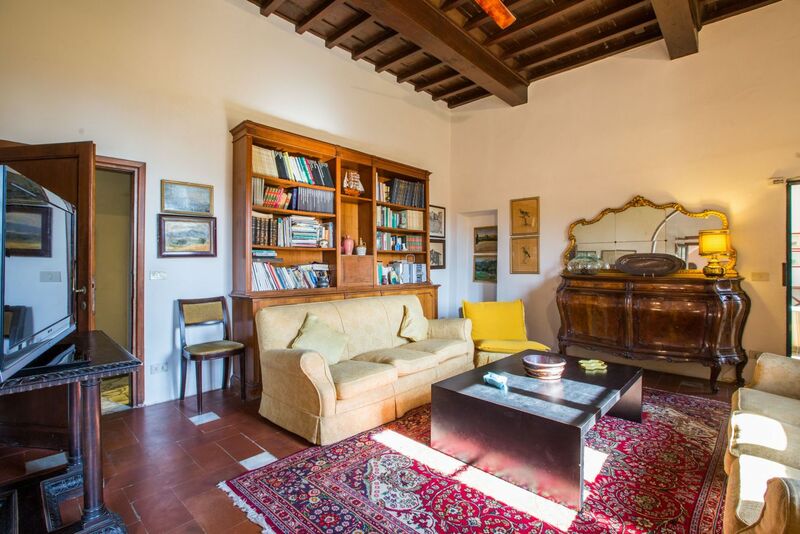 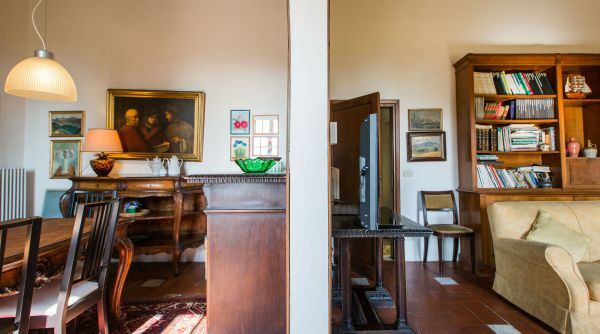 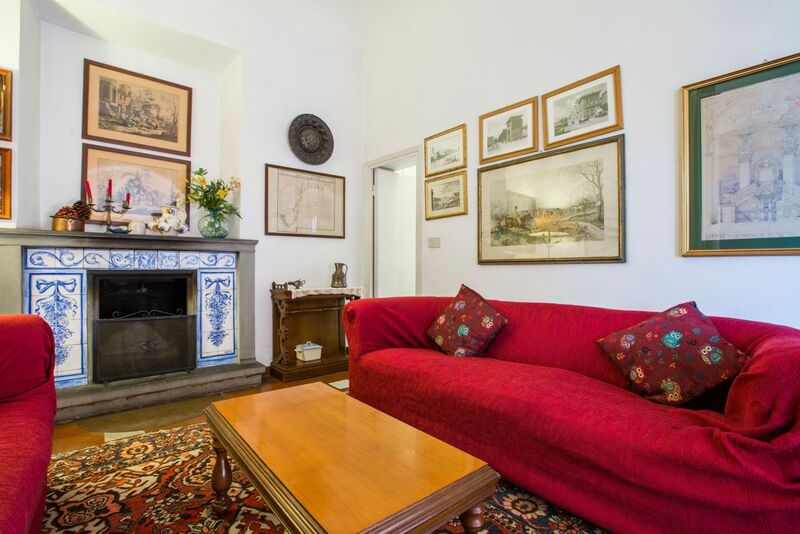 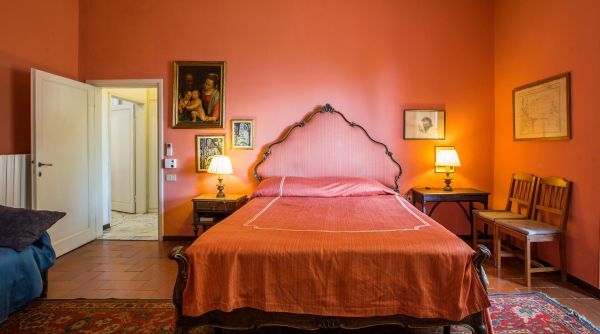 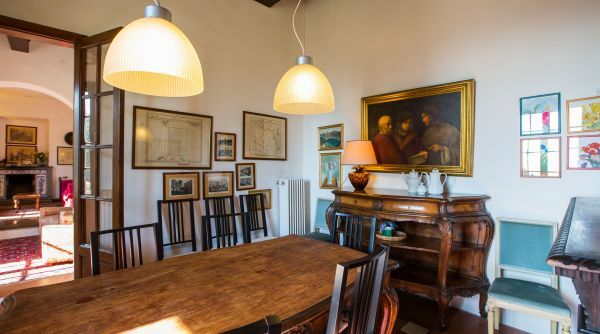 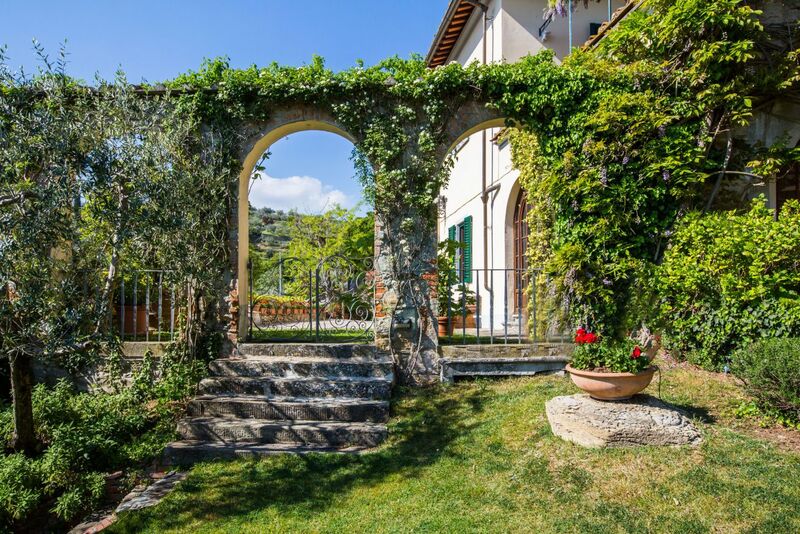 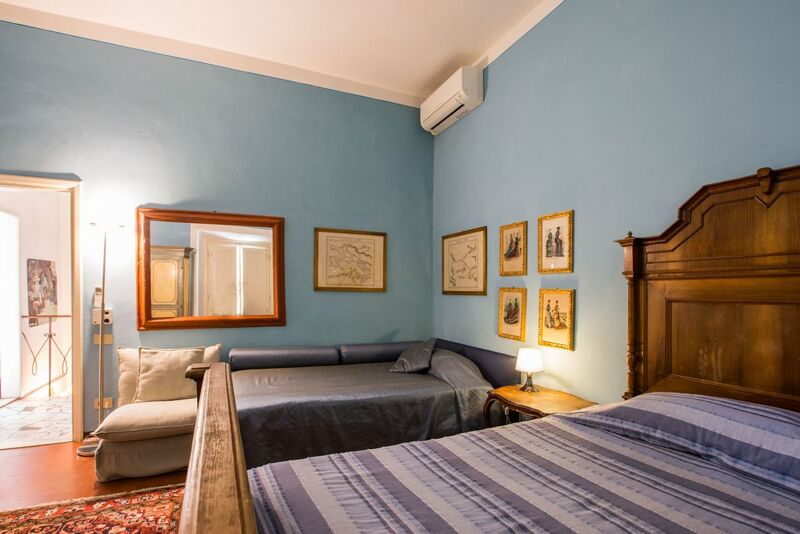 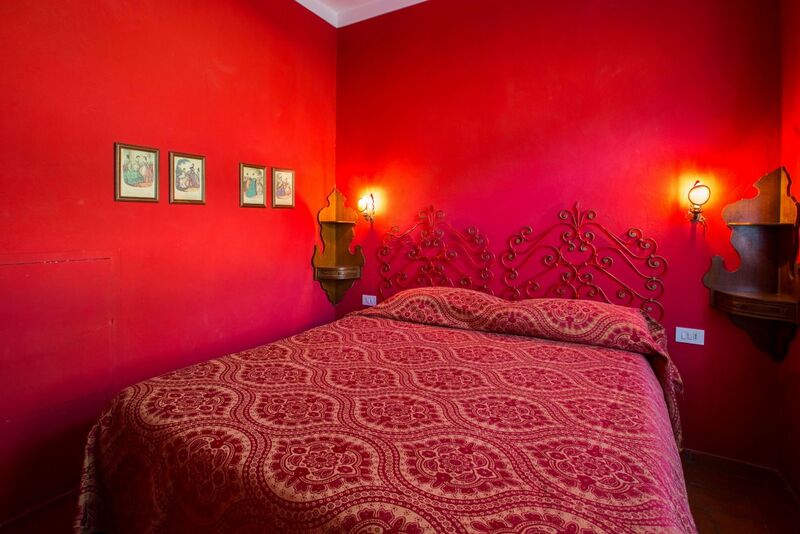 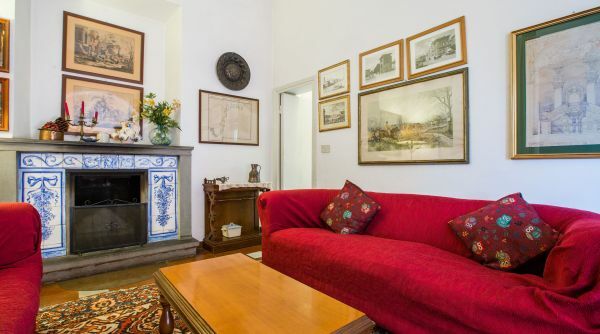 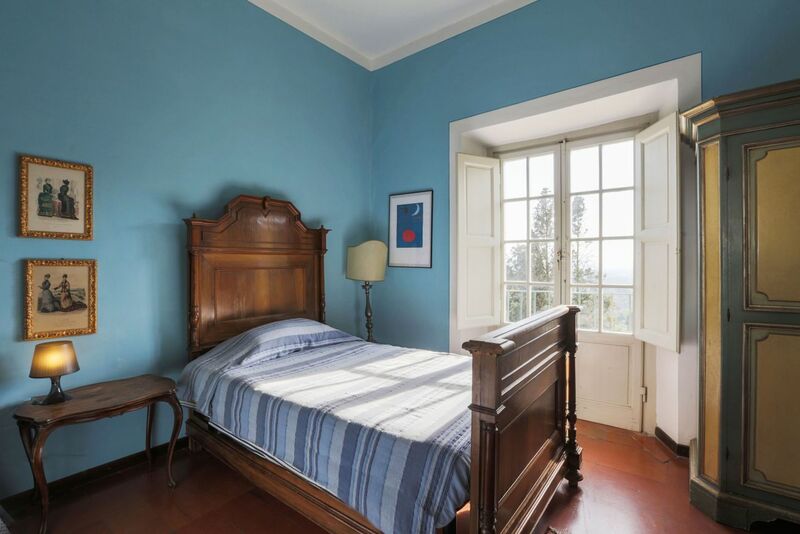 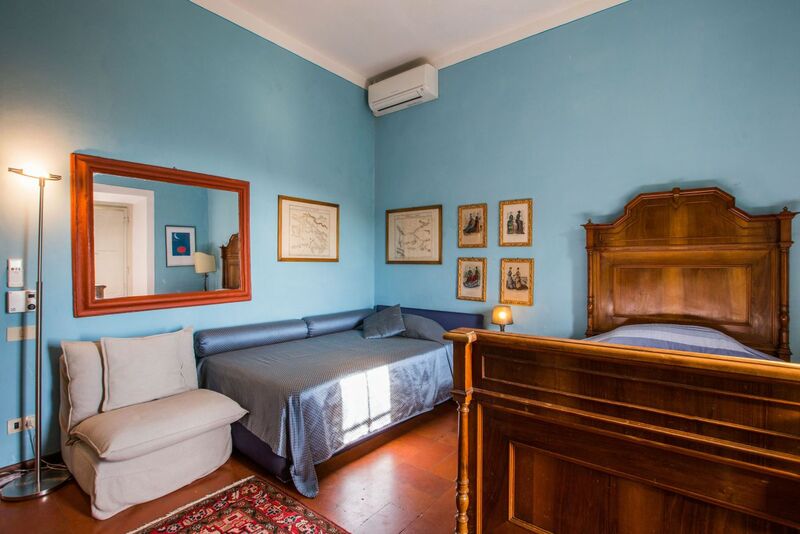 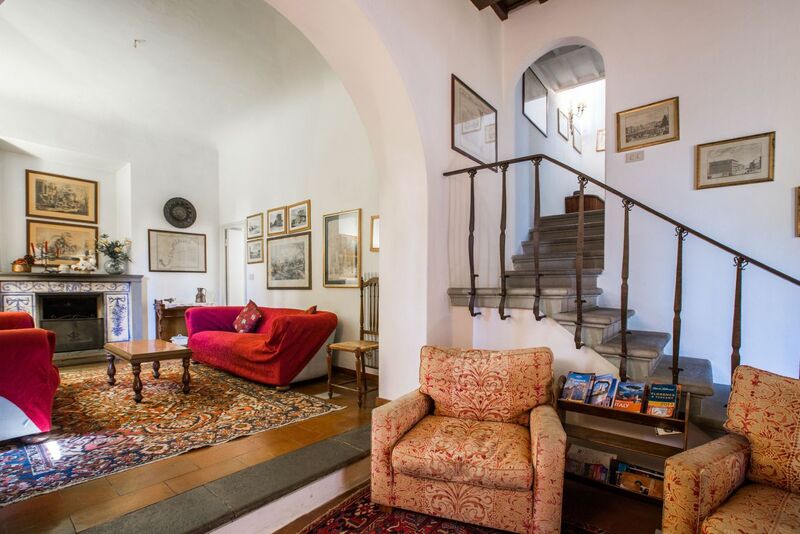 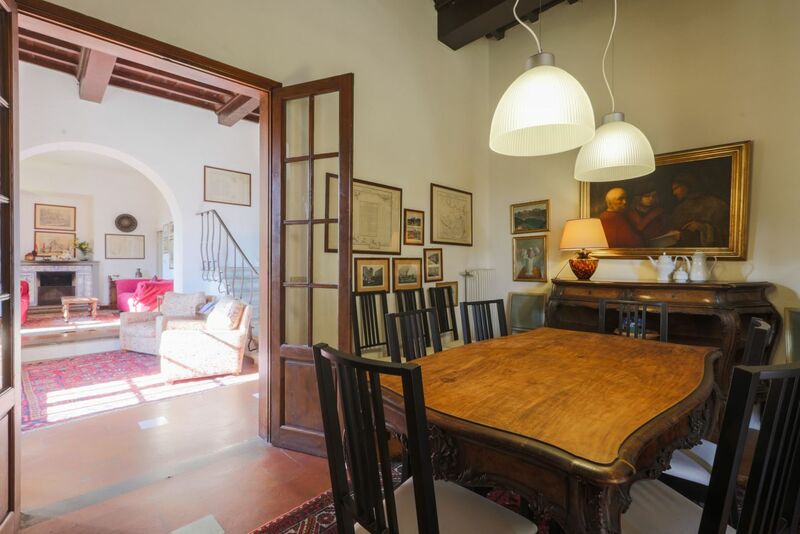 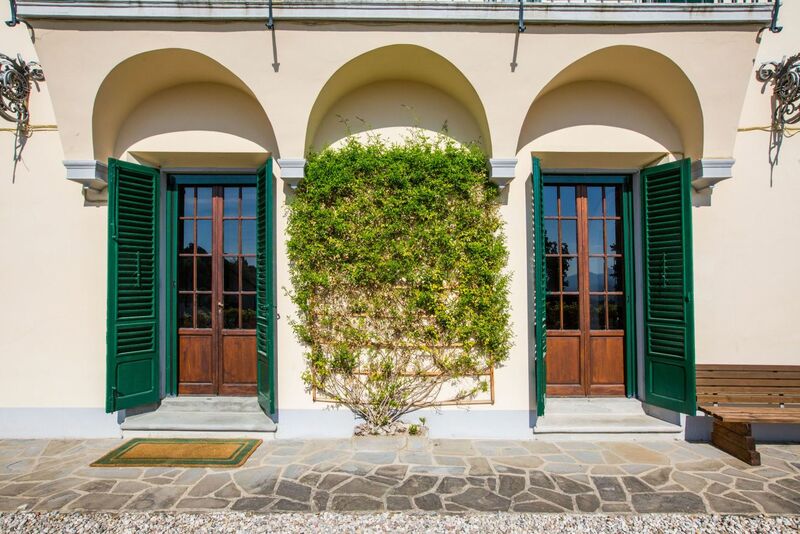 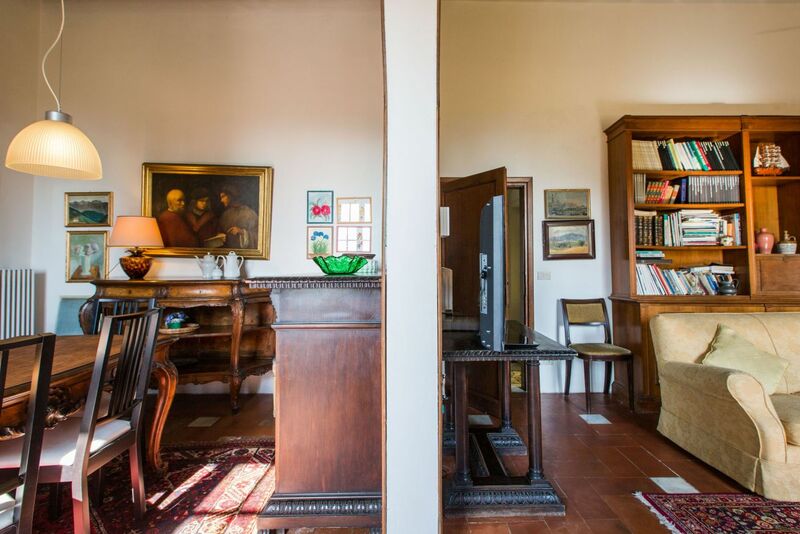 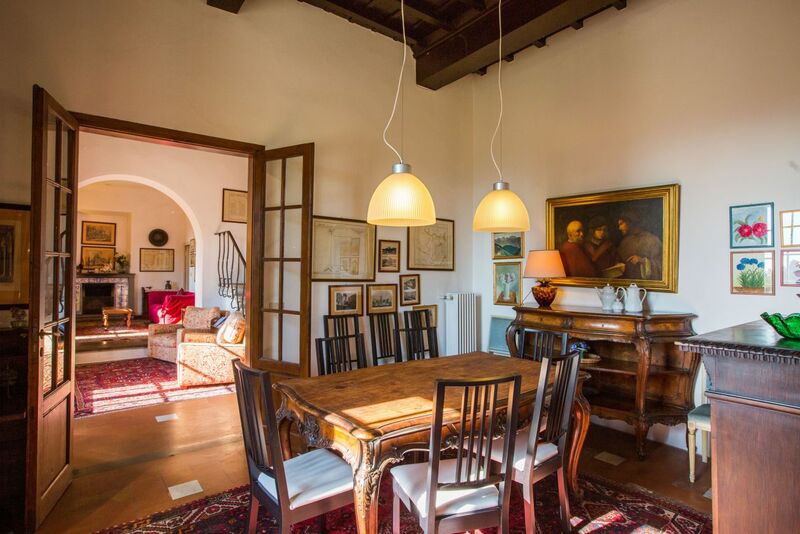 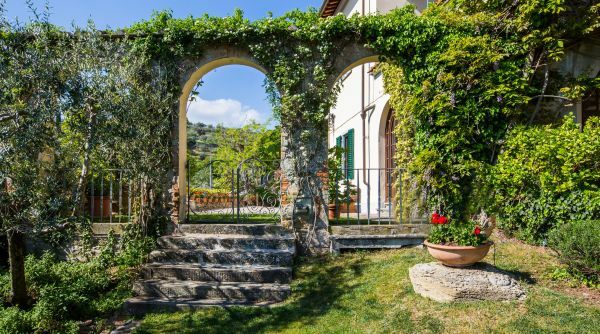 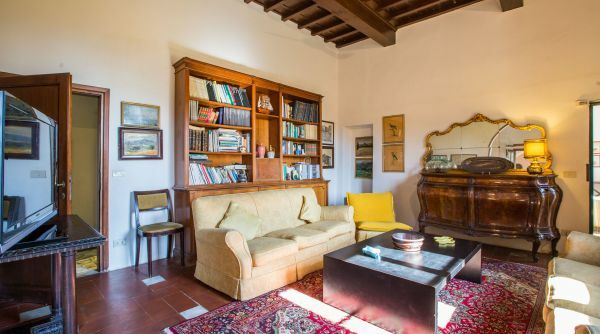 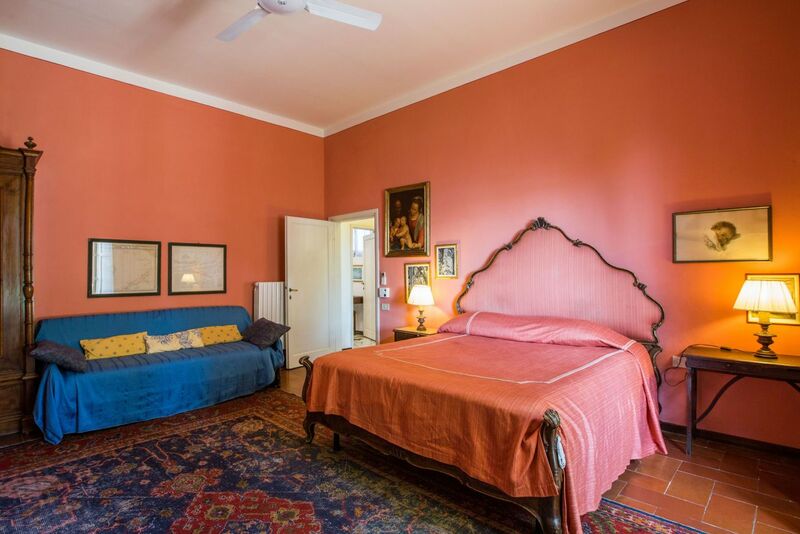 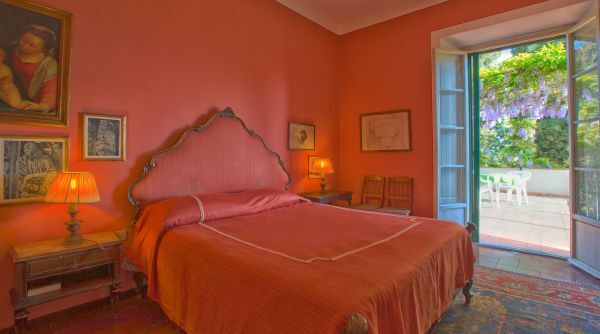 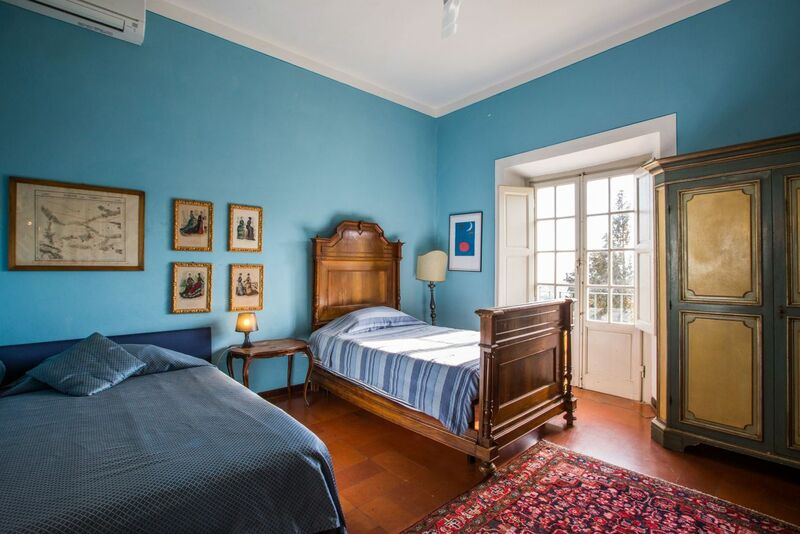 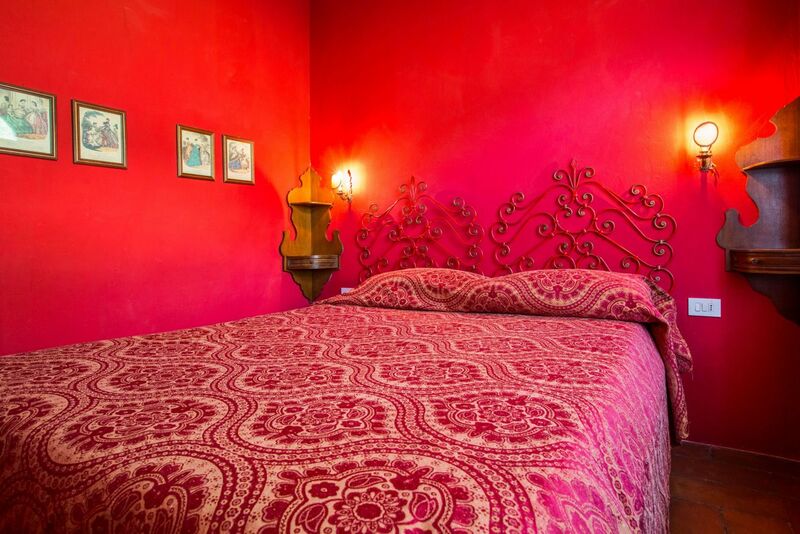 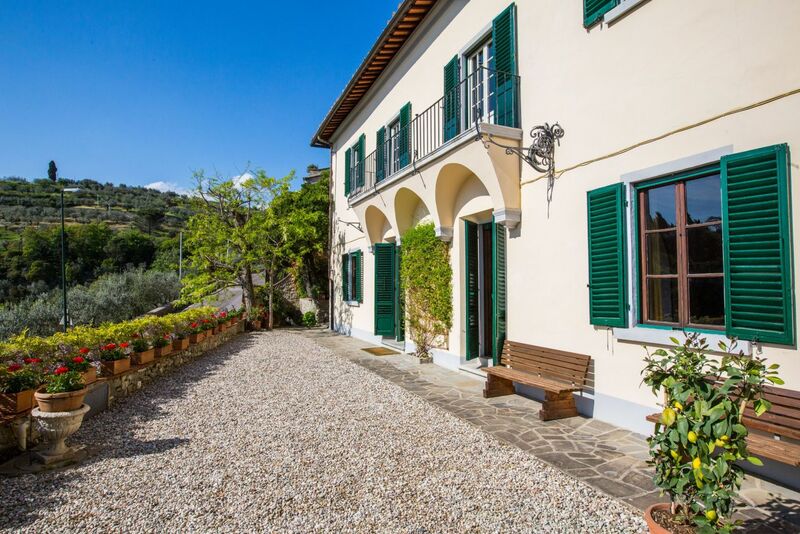 This 17th century villa occupies a hillside on the old road to Bologna, just fifteen minutes north of the city centre. 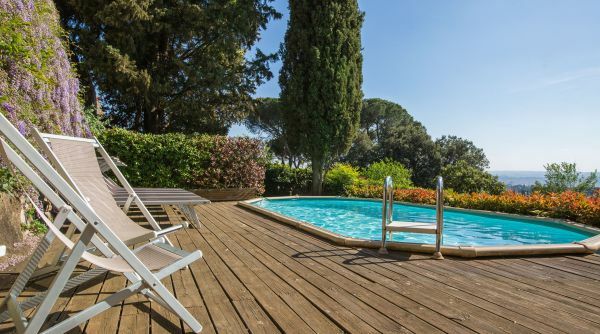 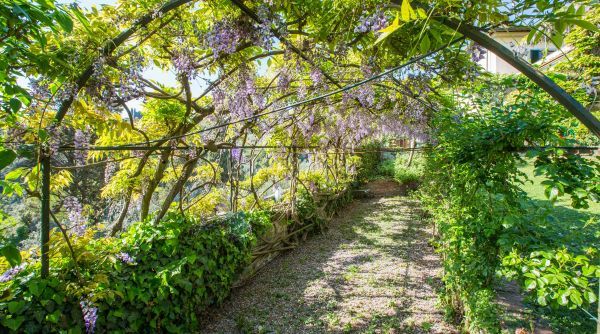 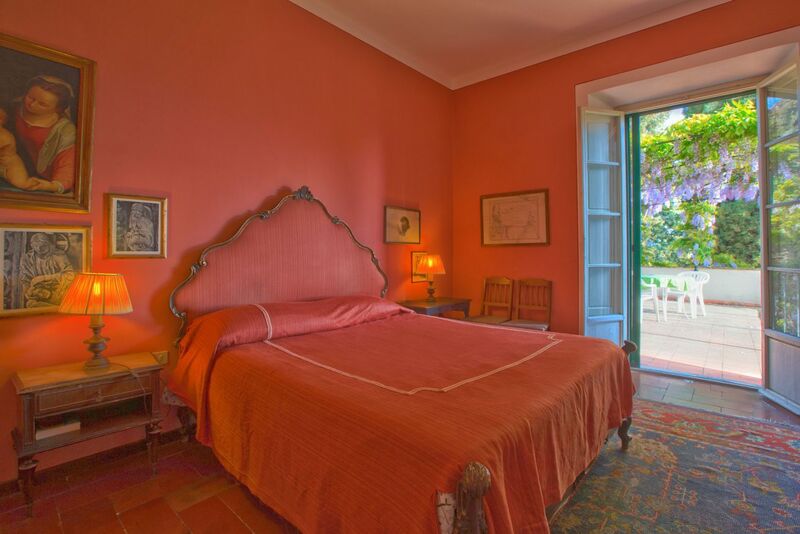 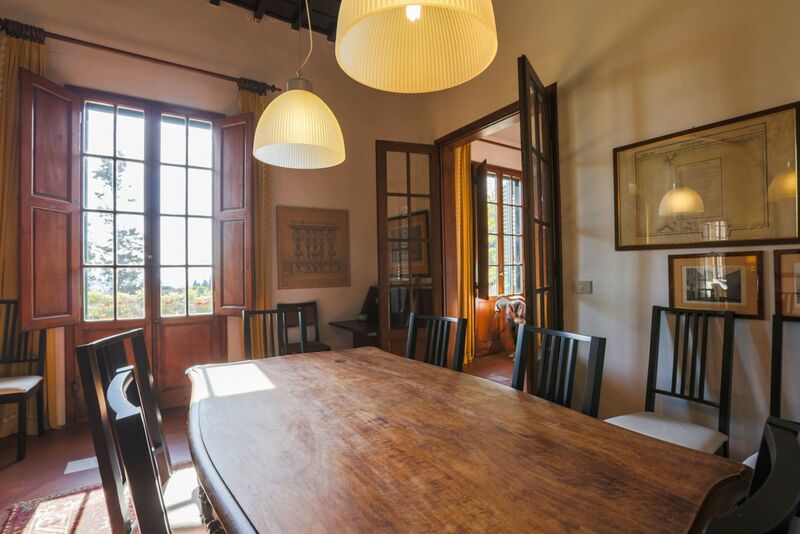 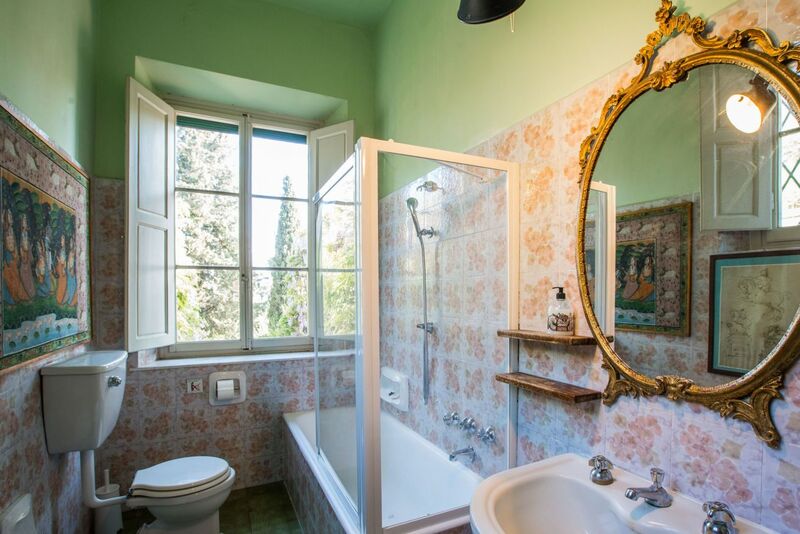 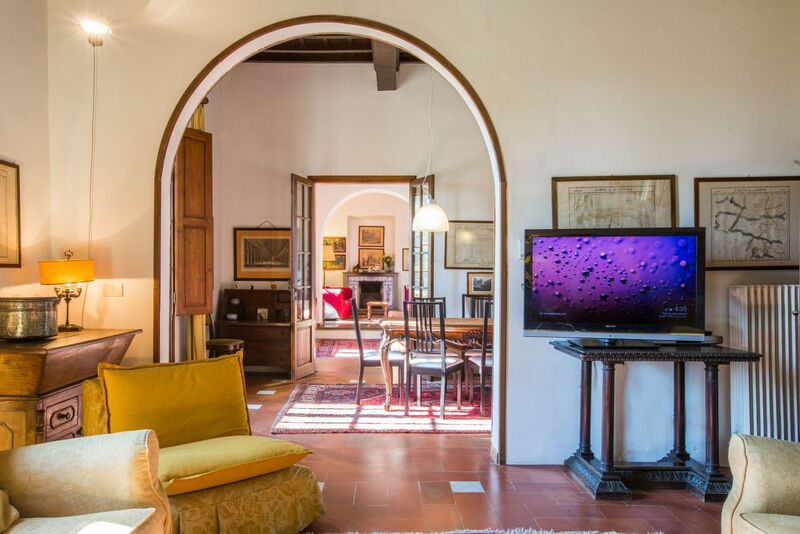 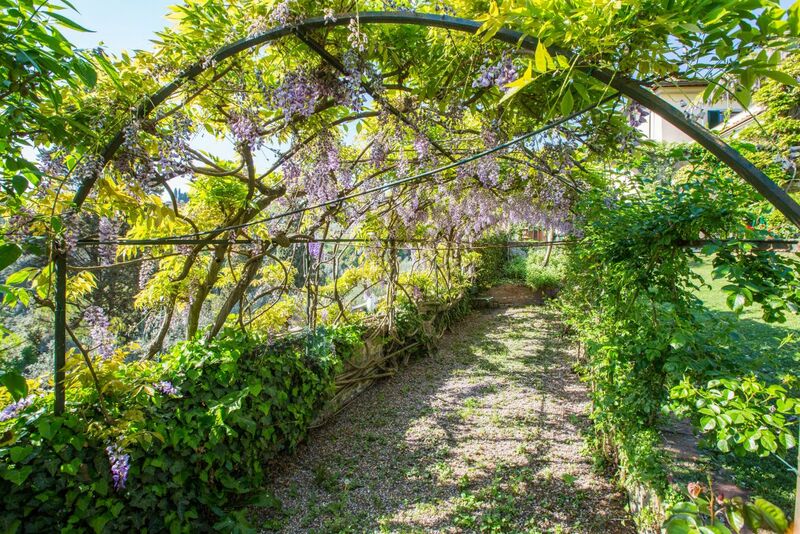 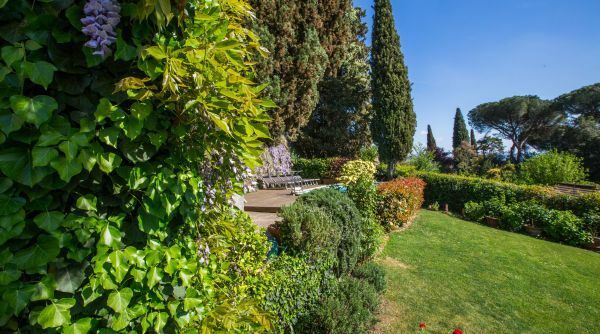 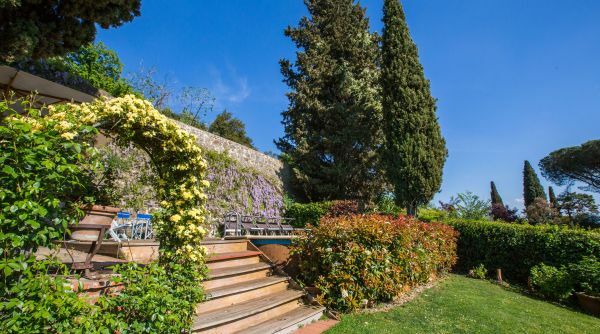 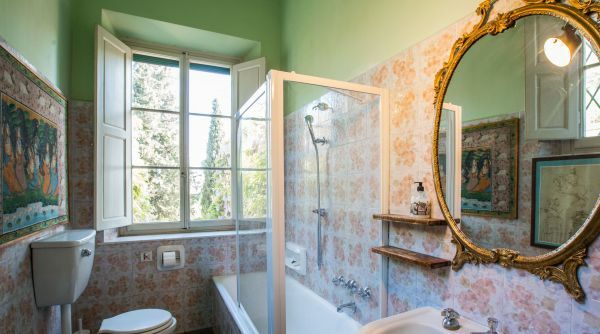 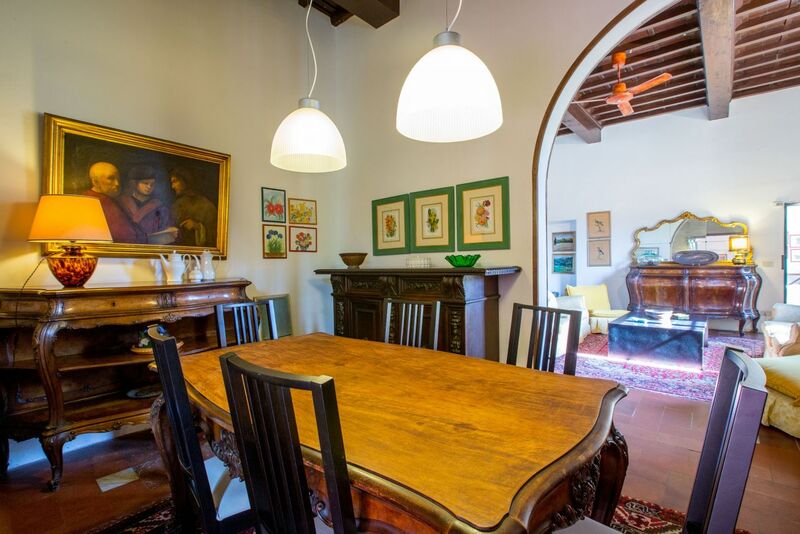 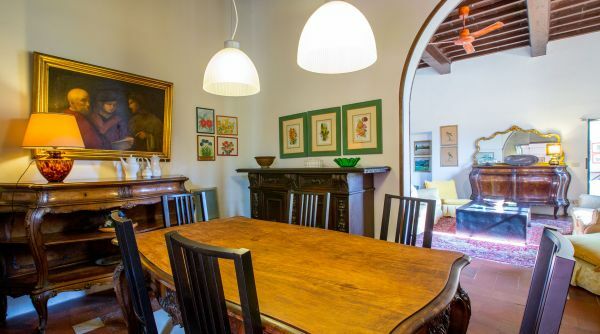 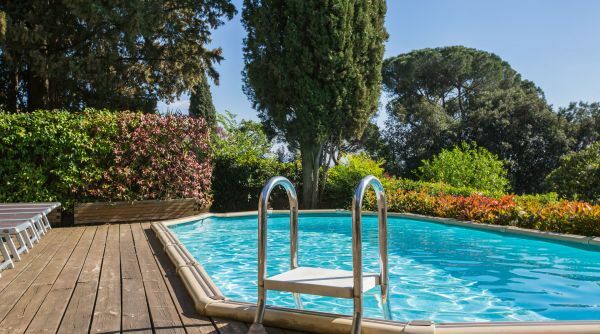 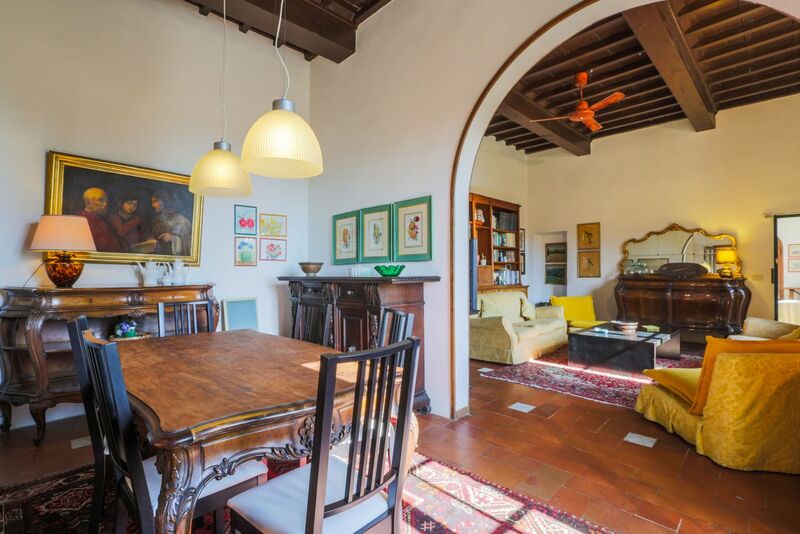 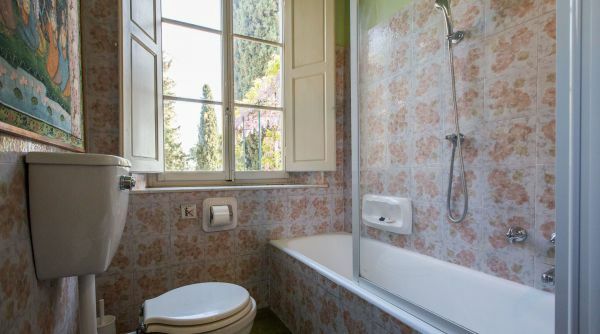 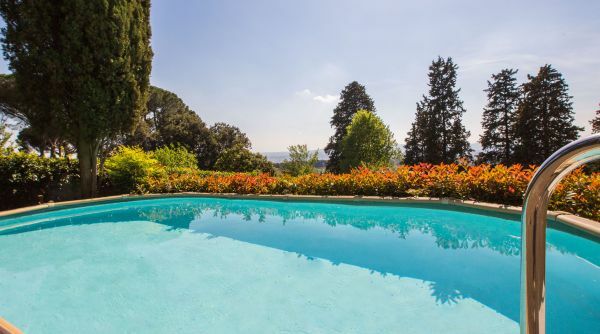 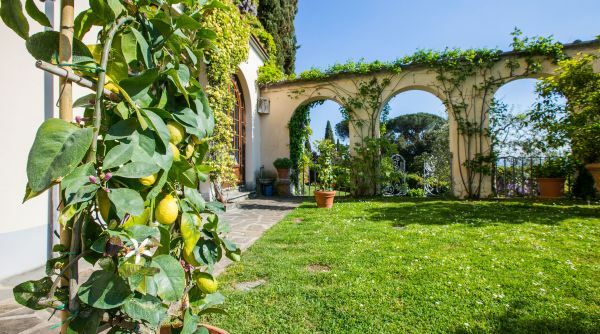 It has a private 420m2 garden, with a swimming pool that occupies one of the natural terraces where lemon trees used to be cultivated in vast terracotta vases. 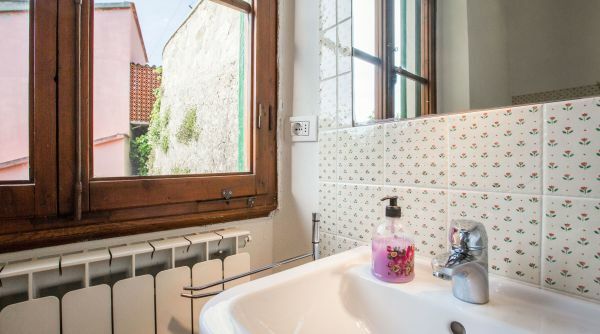 Just down the street are several small shops and only meters from the door is the stop for the bus that goes directly to the city centre. 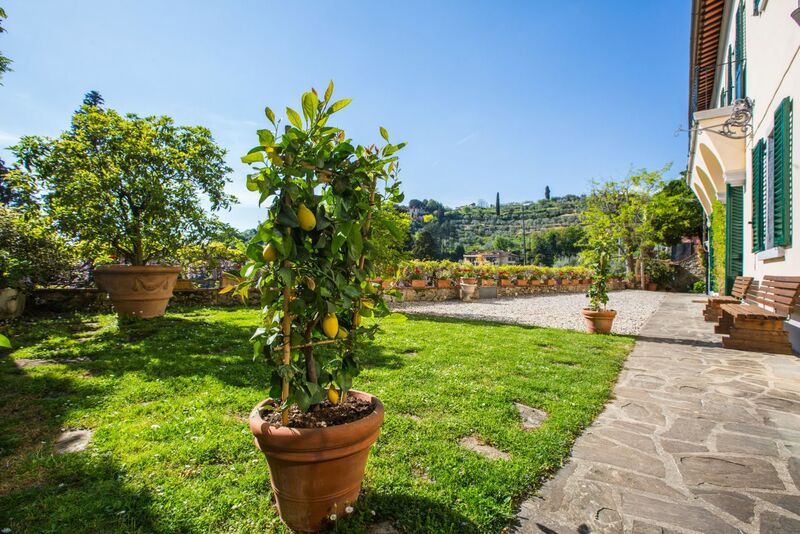 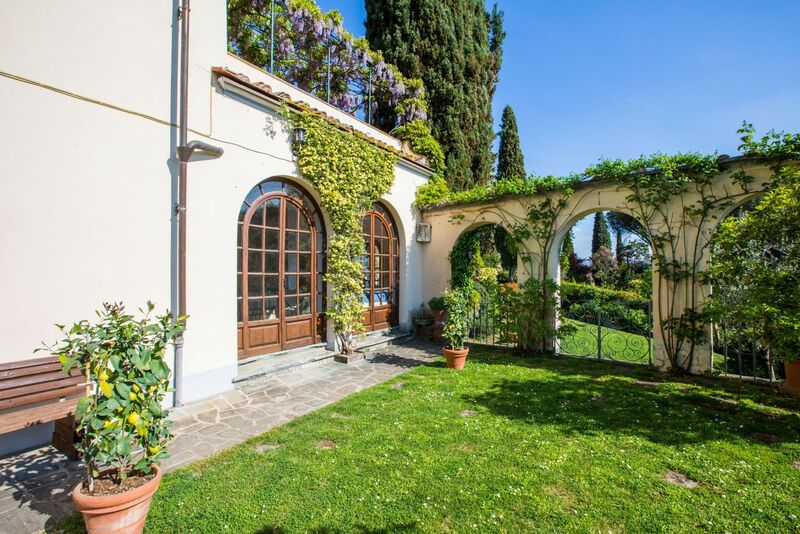 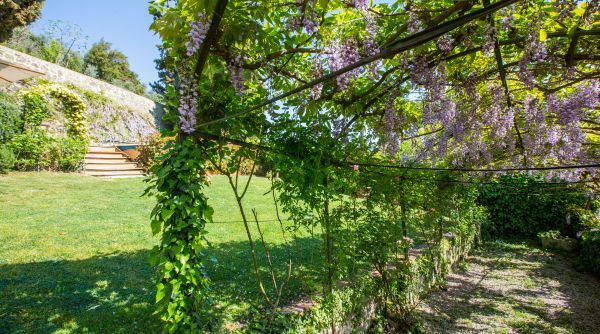 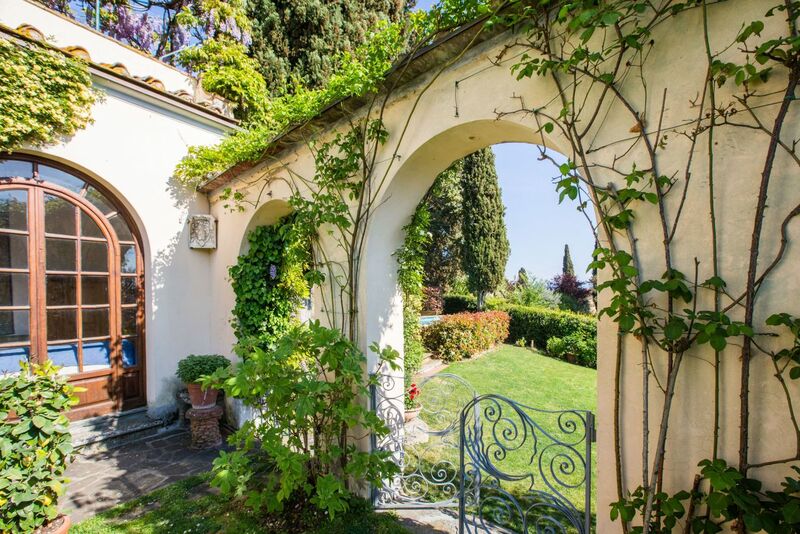 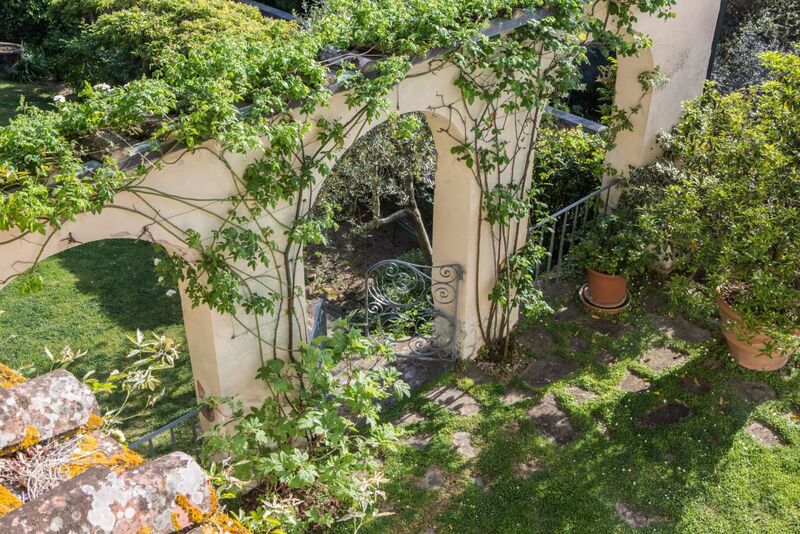 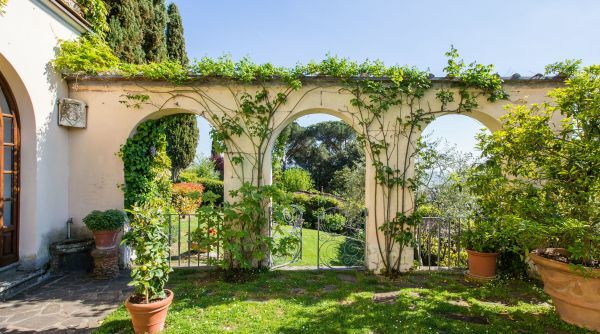 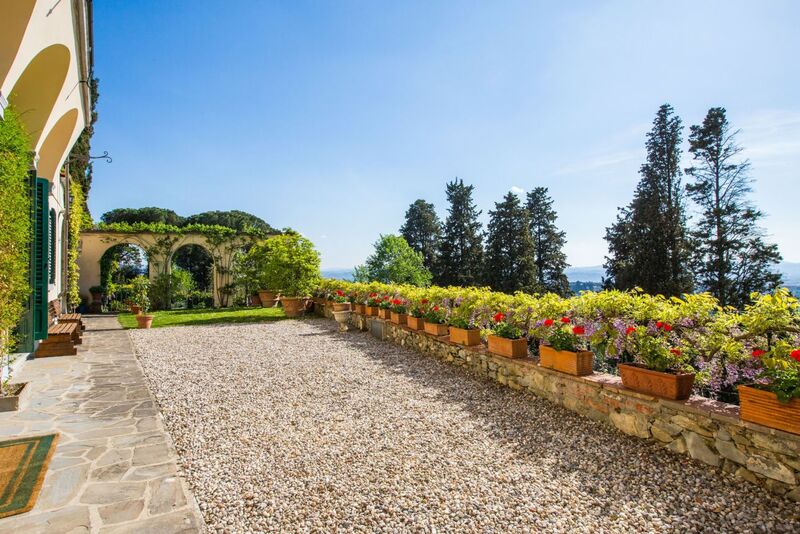 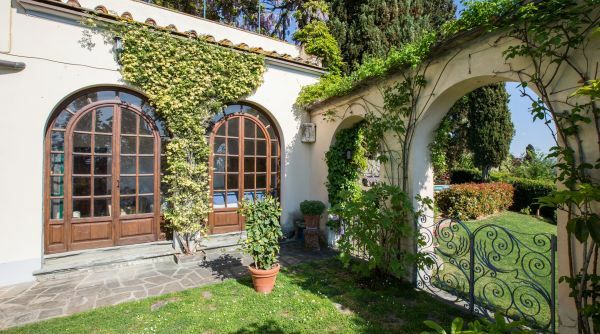 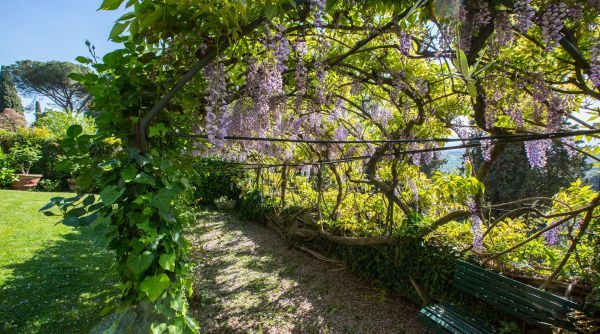 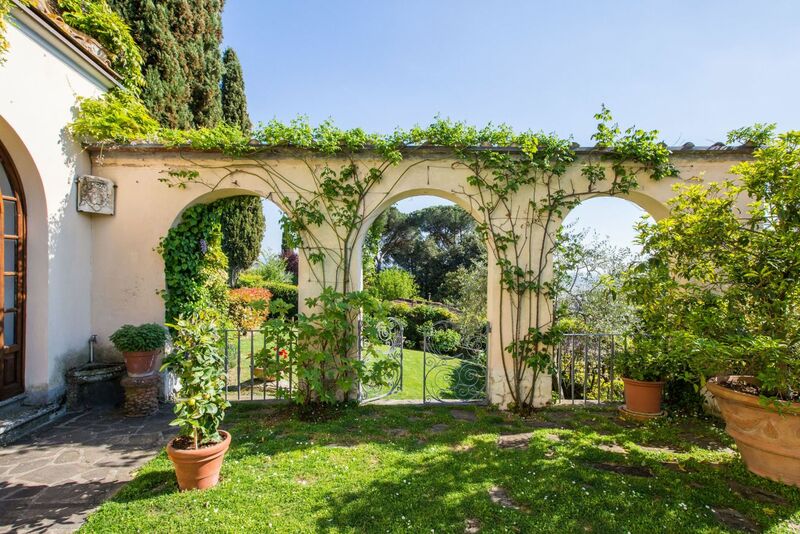 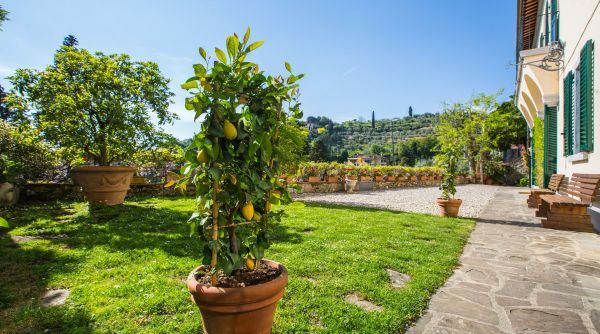 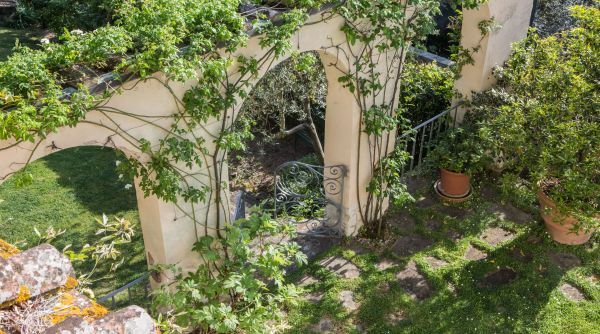 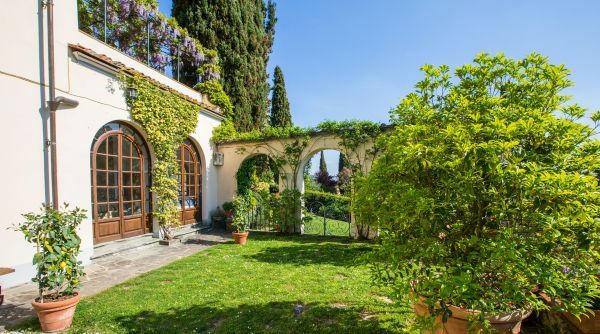 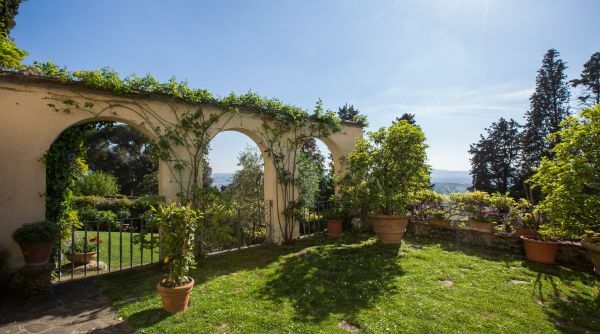 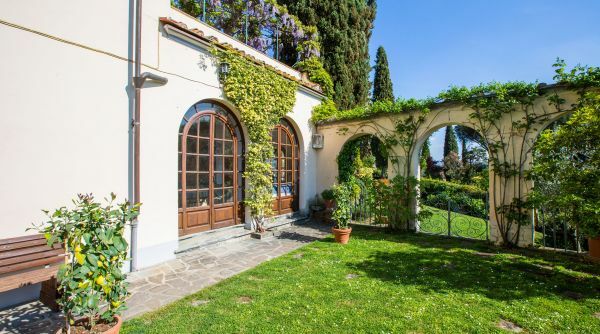 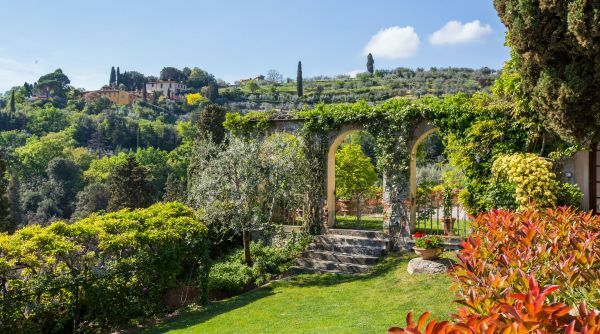 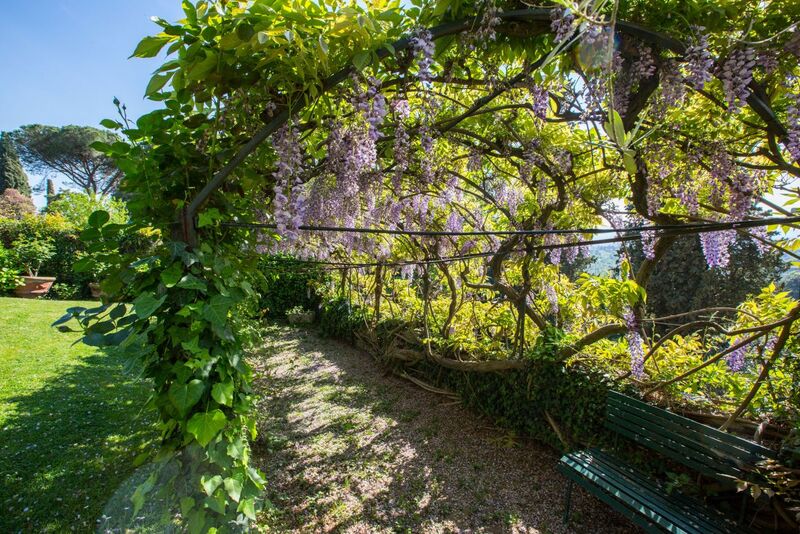 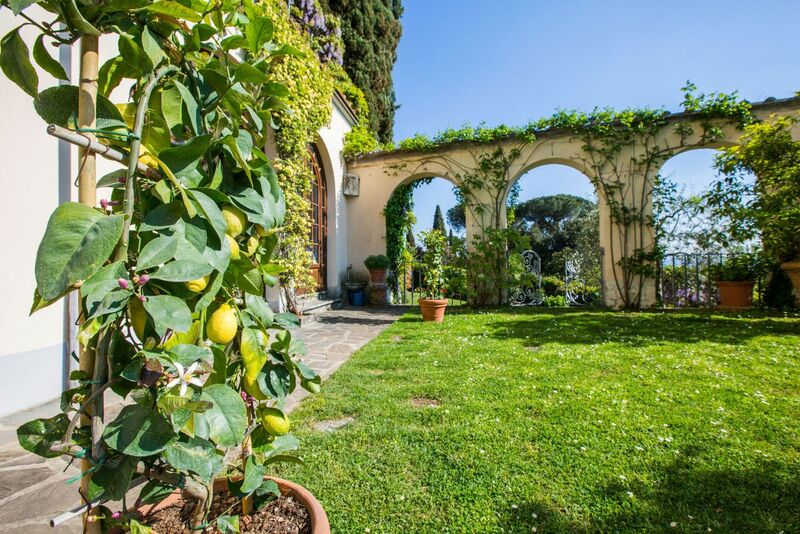 Located in the gardens is a glass summerhouse, whose original purpose was to shelter the lemon trees in winter, furnished with a dining table and views to the Duomo. 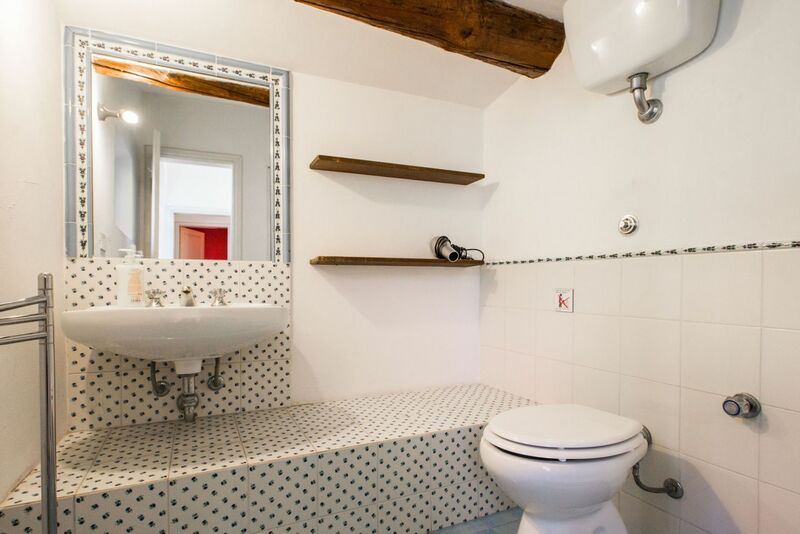 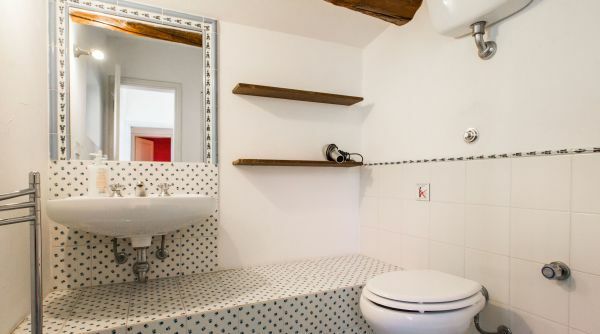 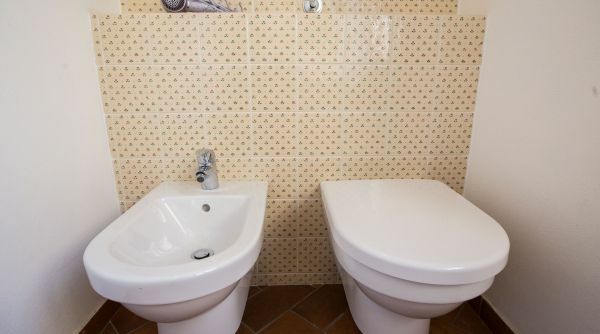 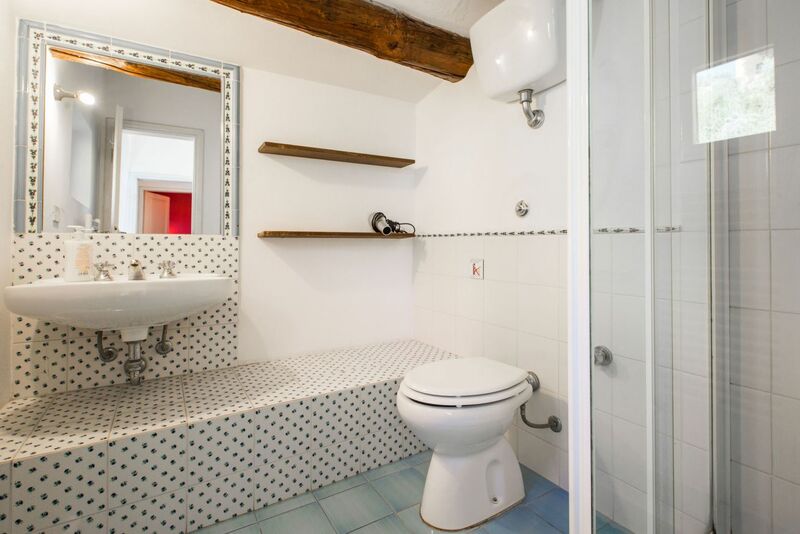 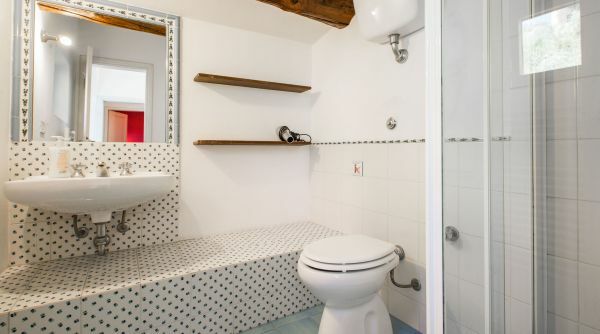 At the other end of the garden is a cottage with laundry facilities and a WC. 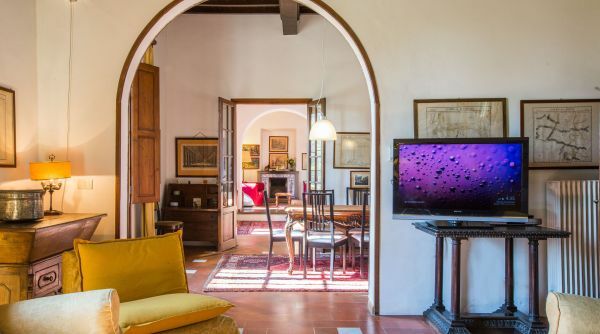 On the ground floor of this spectacular villa is a welcoming lounge, with comfortable seating, a fireplace and satellite TV, a dining room, whose table can accommodate up to sixteen people, an additional sitting room, and a modern, fully equipped kitchen, with breakfast bar, that opens up to a covered terrace with a further dining area. 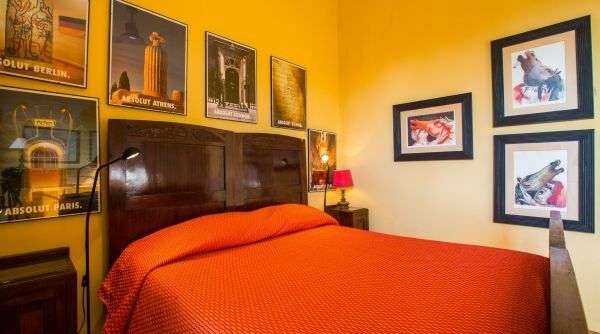 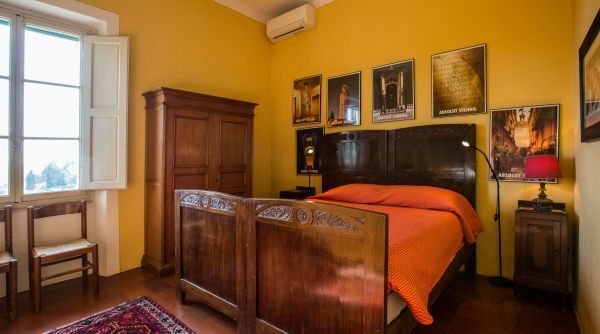 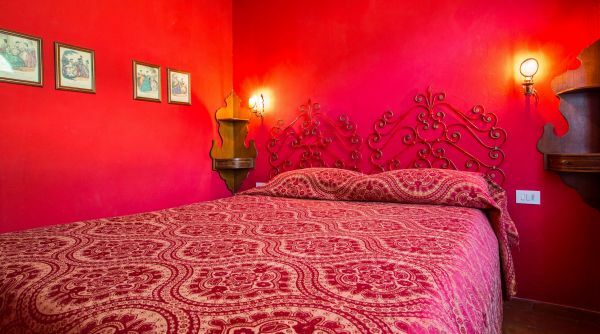 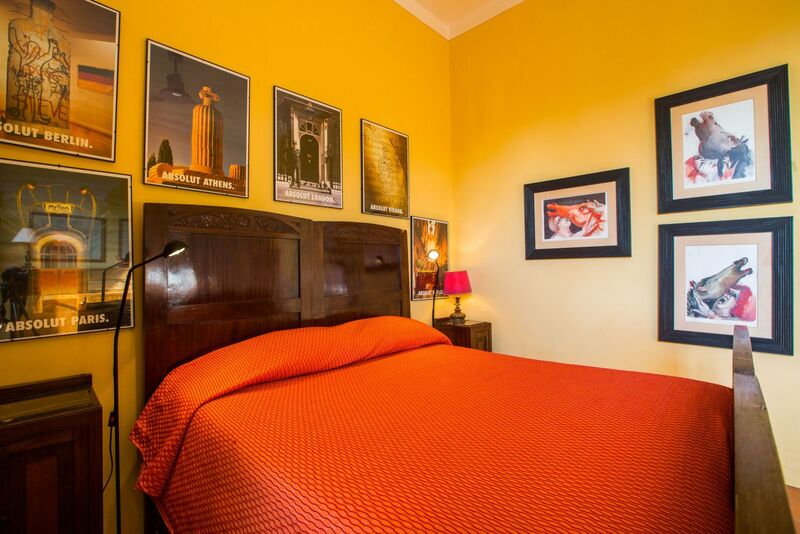 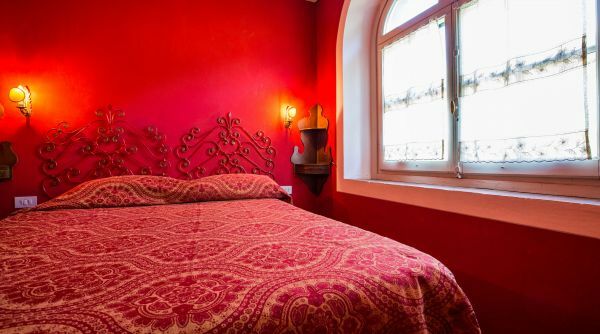 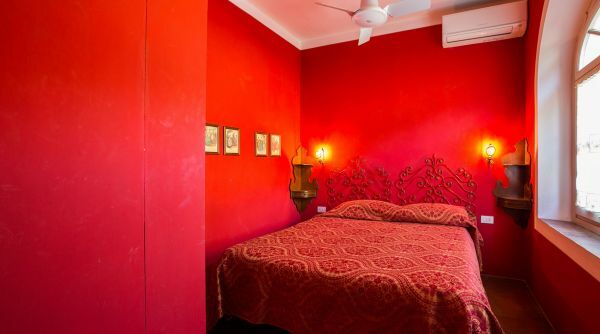 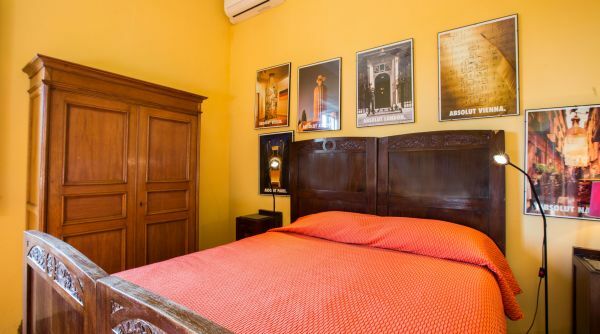 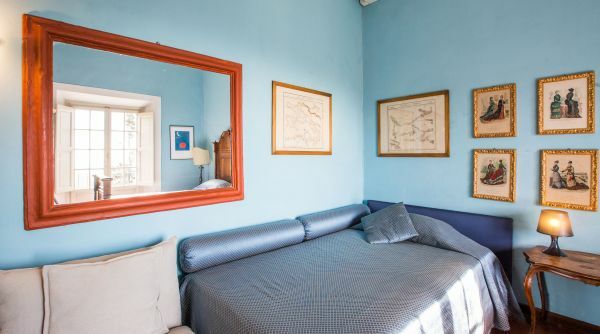 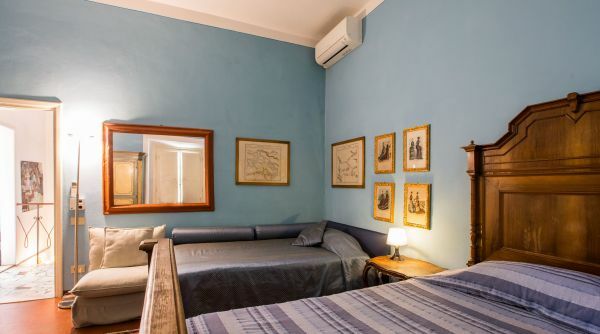 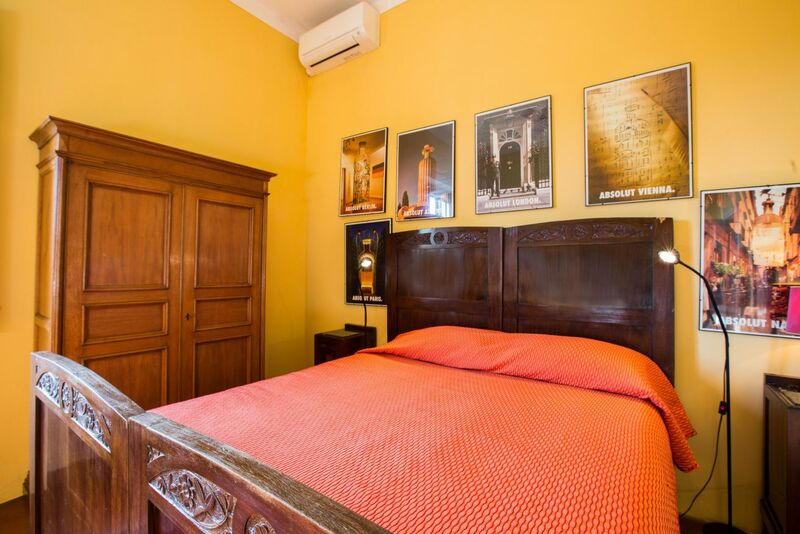 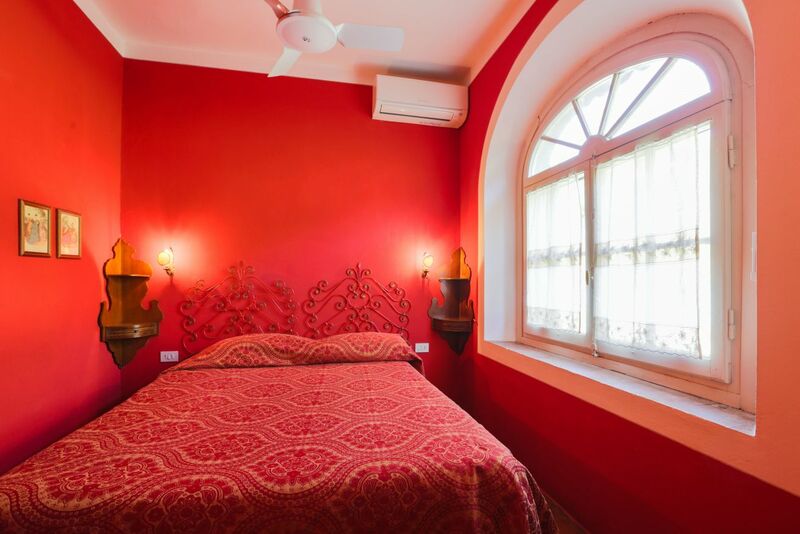 Upstairs, the spacious master bedroom is furnished with a queen-size bed and a large wardrobe; it opens onto a private terrace overlooking the city and has a bathroom next door with a shower and tub. 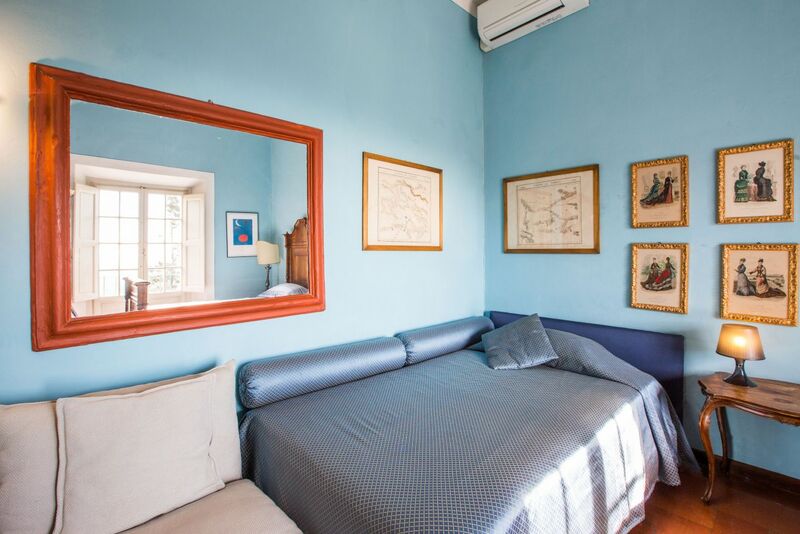 The next two bedrooms share a balcony: one has two twin beds; the second has a queen-size bed and a single bed. 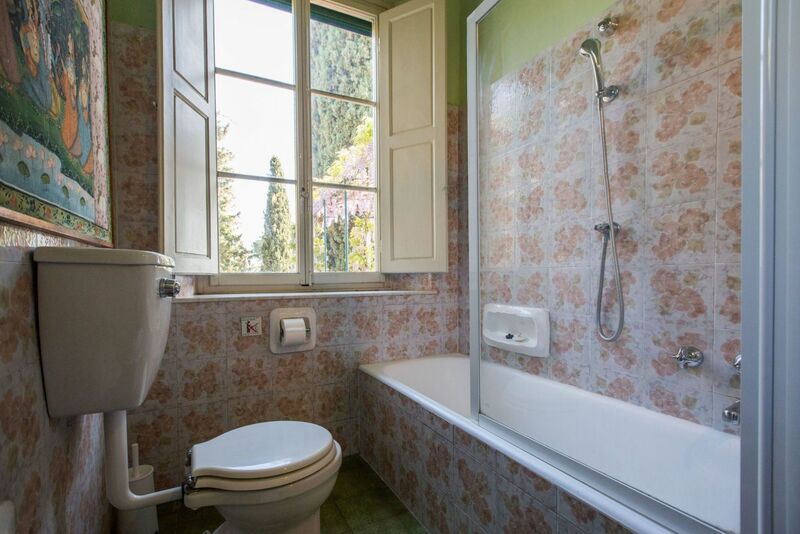 Another flight of stairs leads up to a further double bedroom and a bathroom with a walk-in shower. 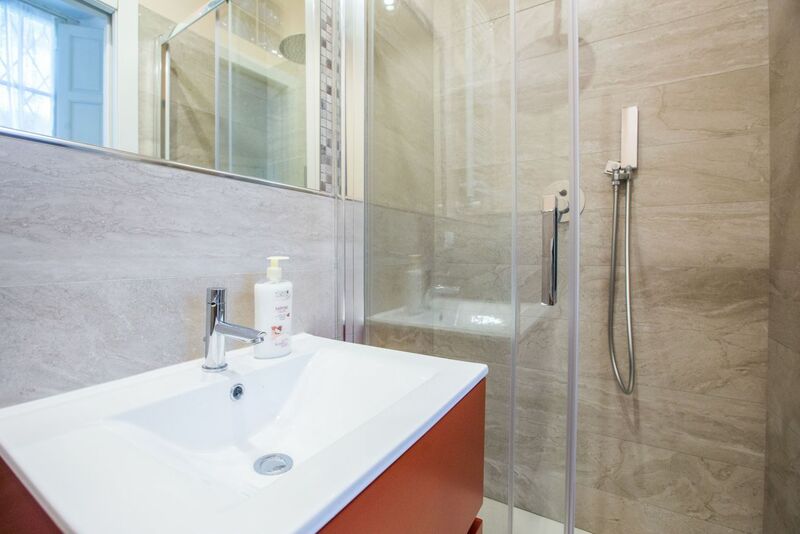 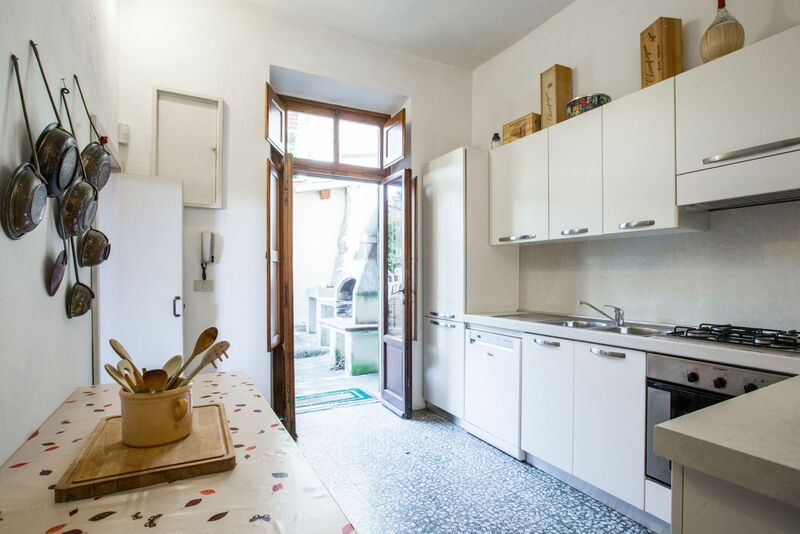 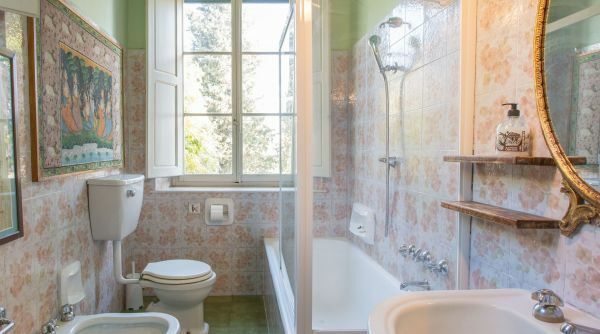 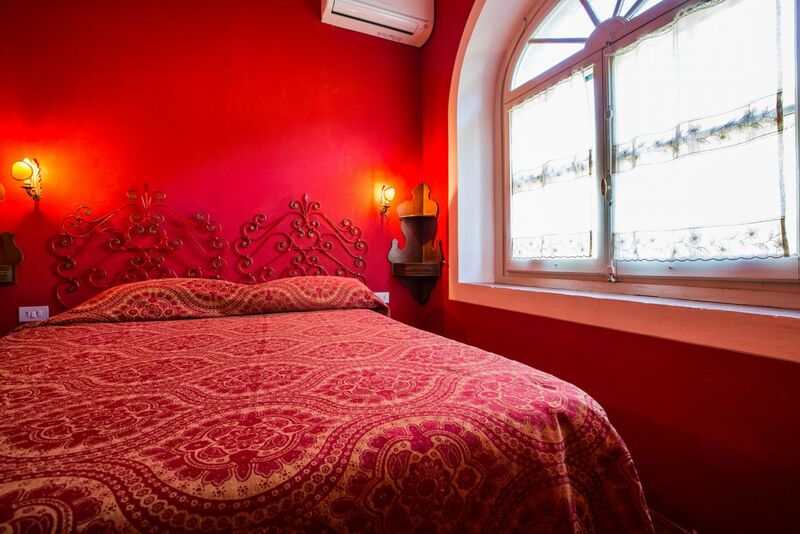 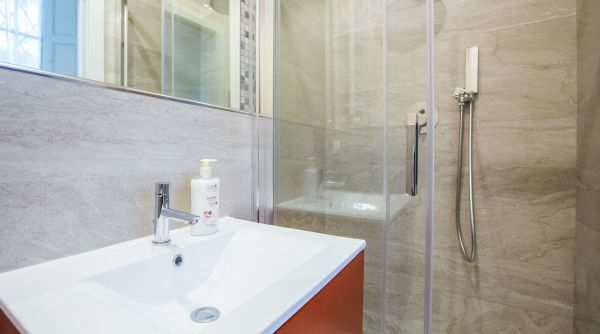 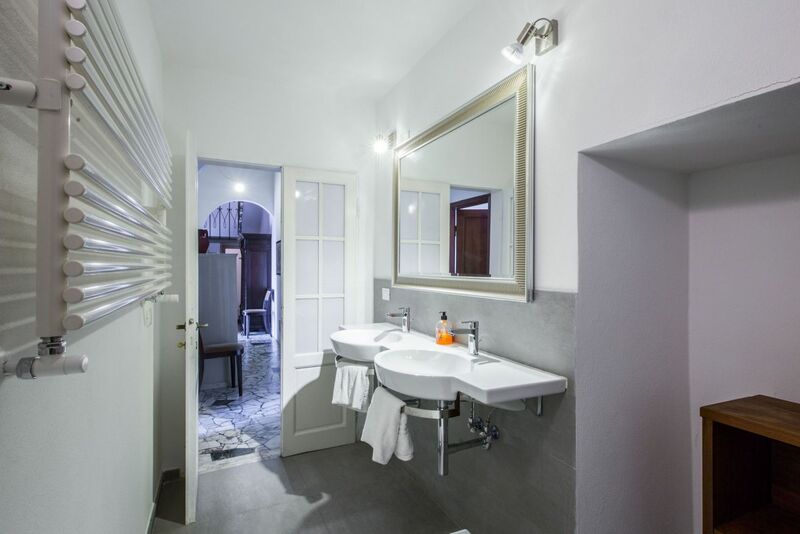 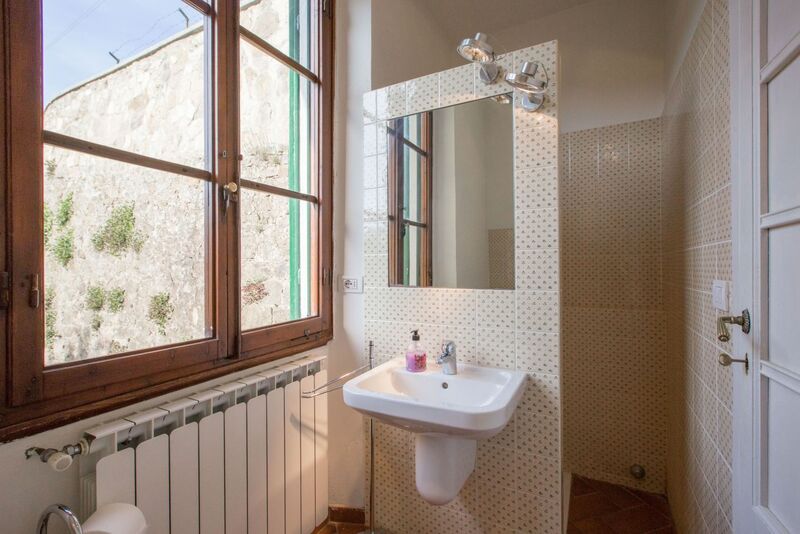 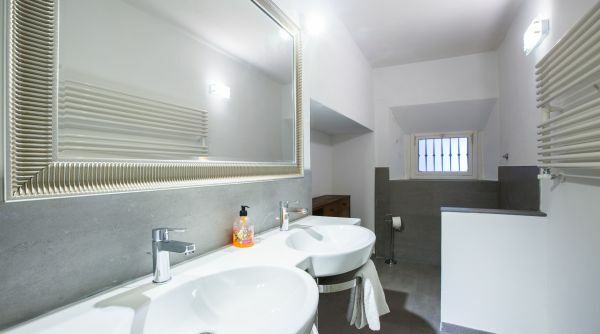 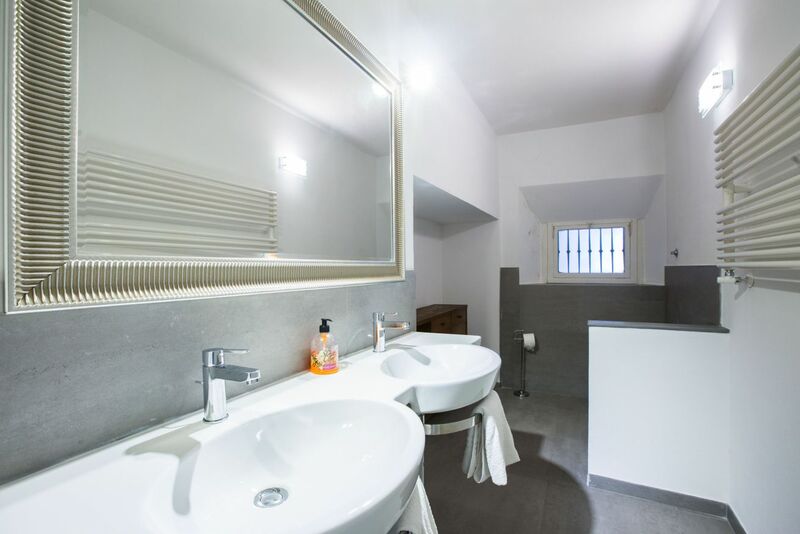 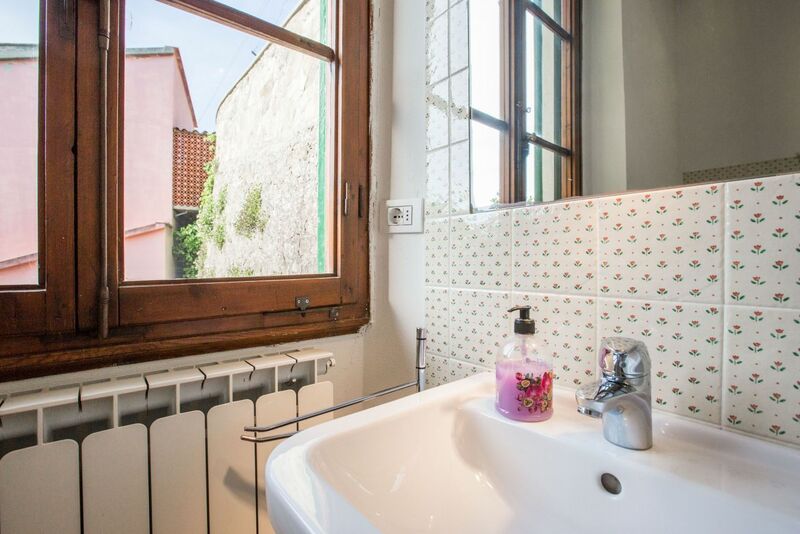 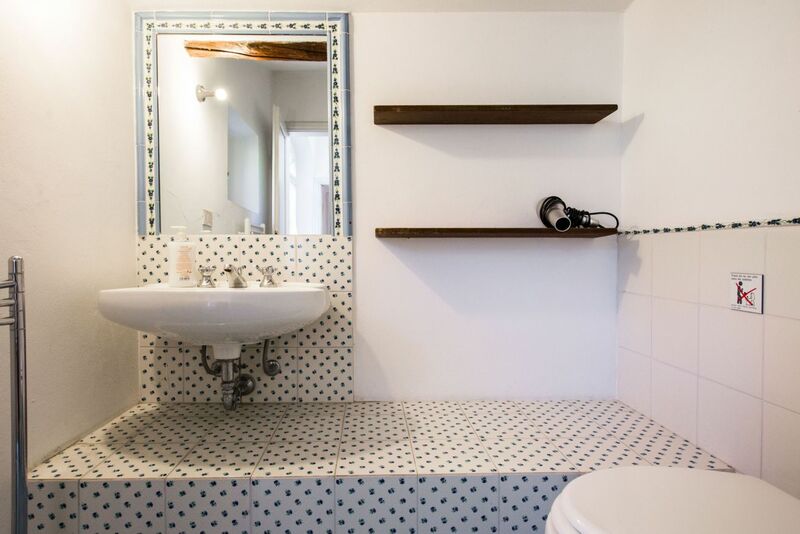 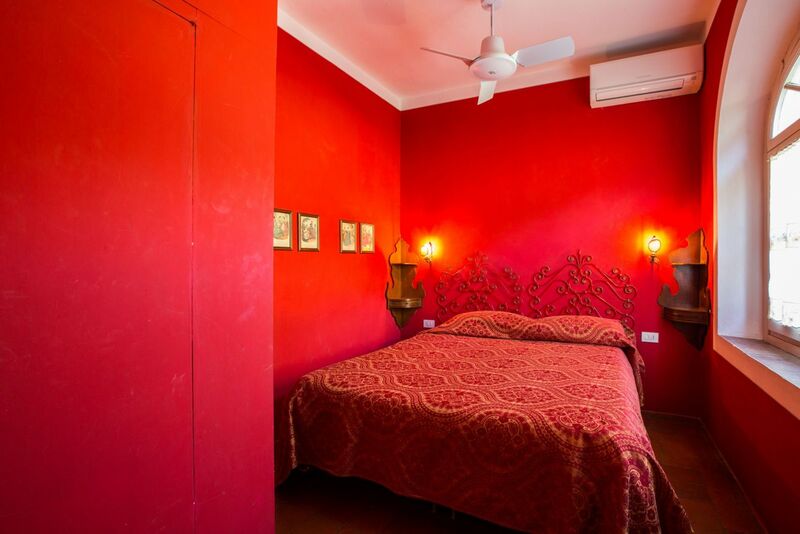 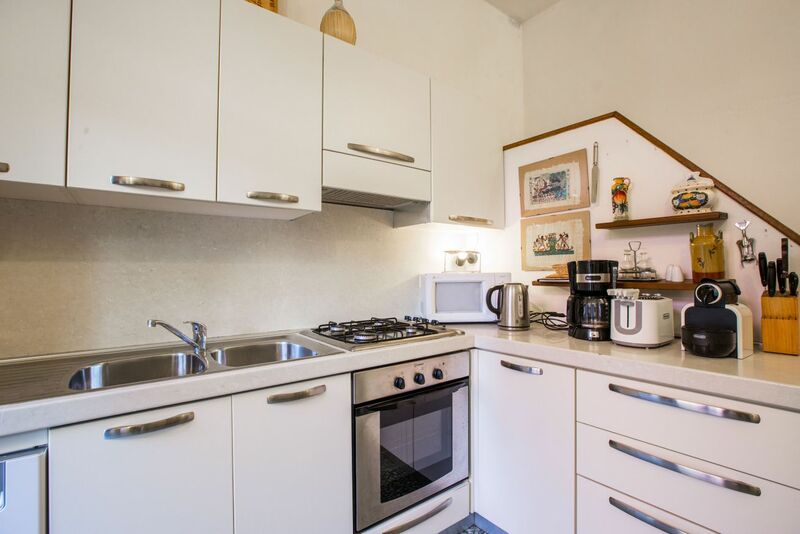 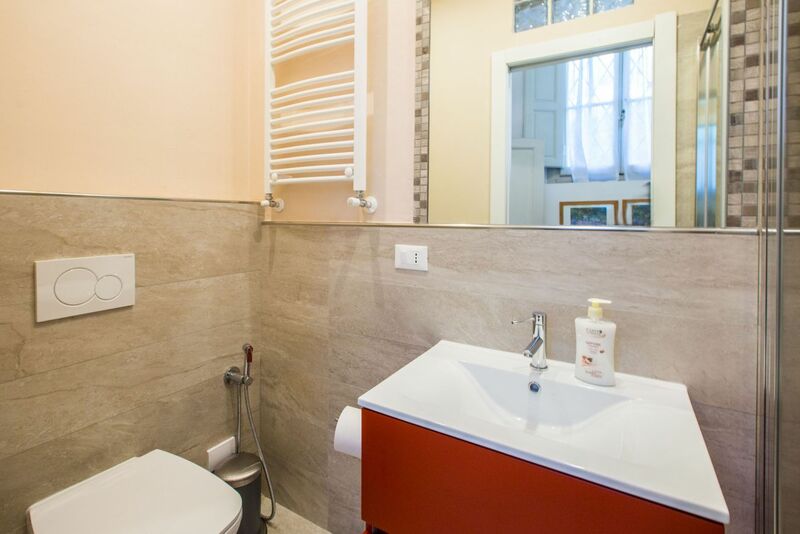 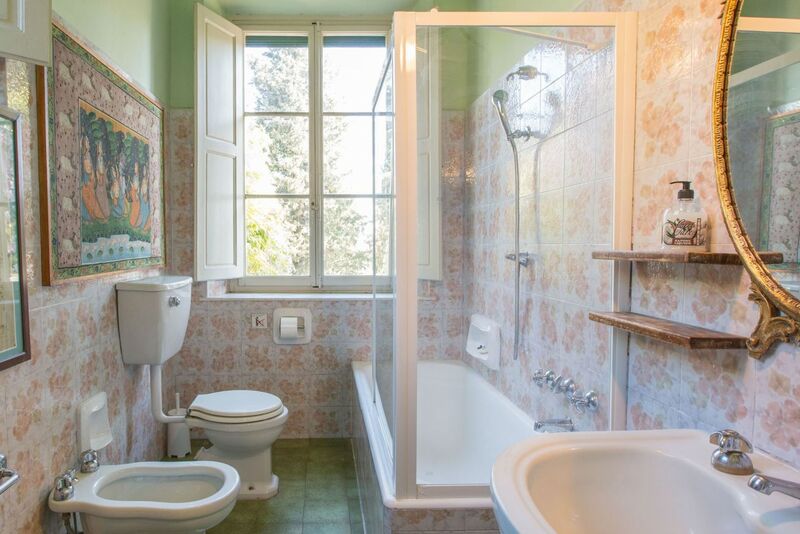 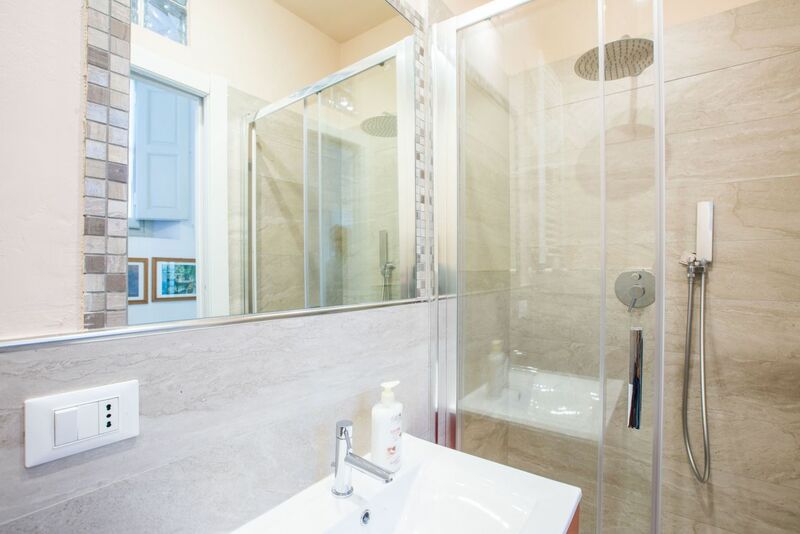 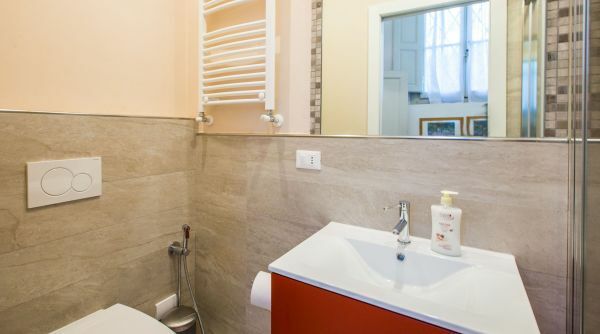 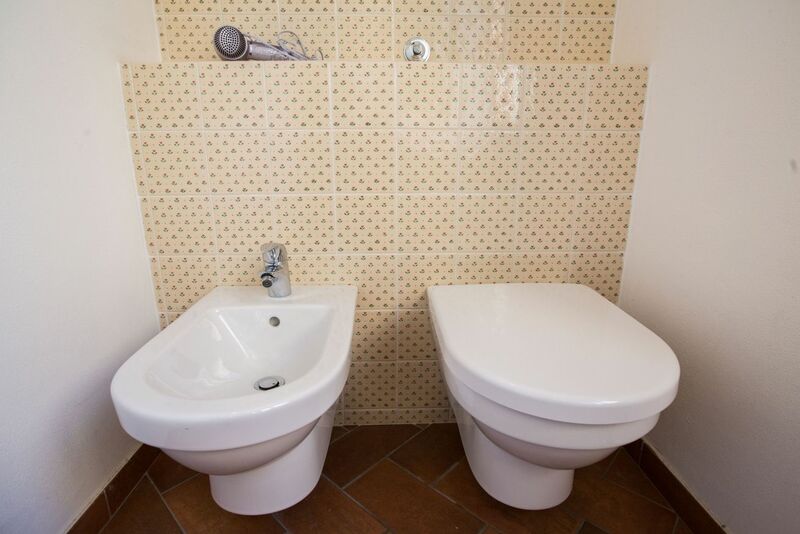 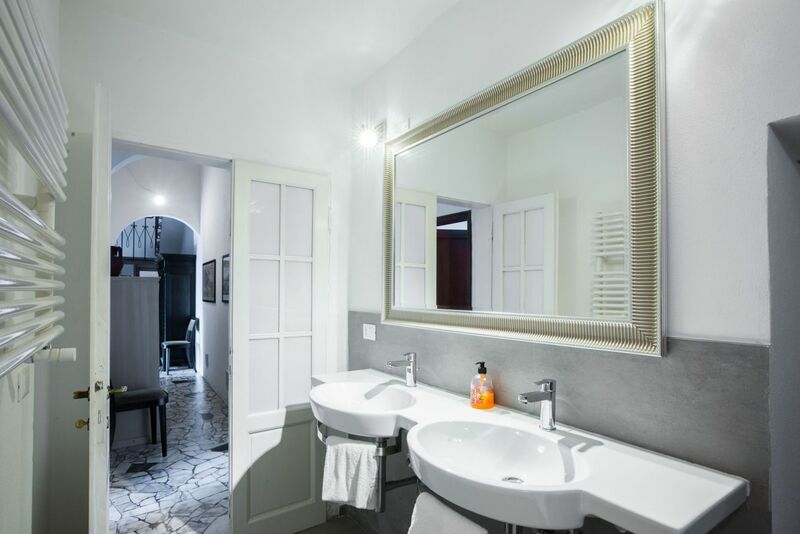 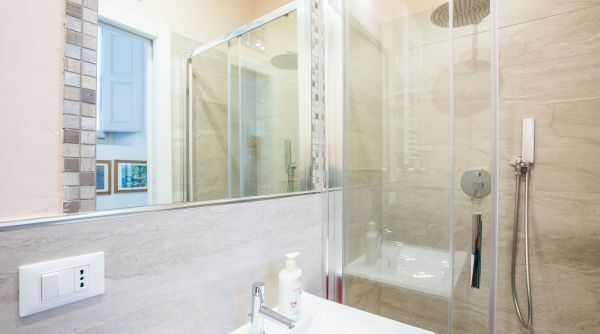 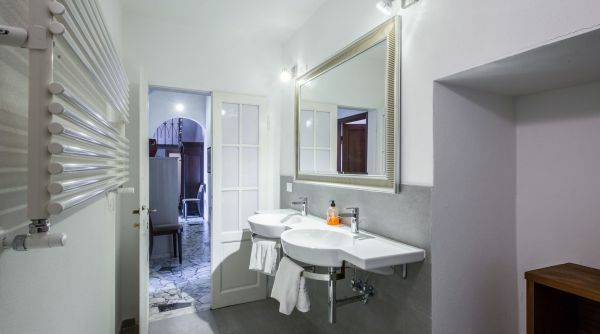 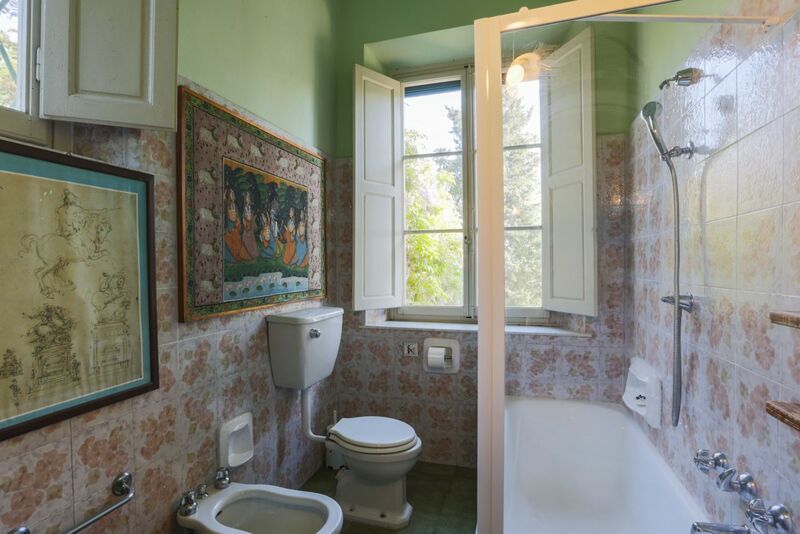 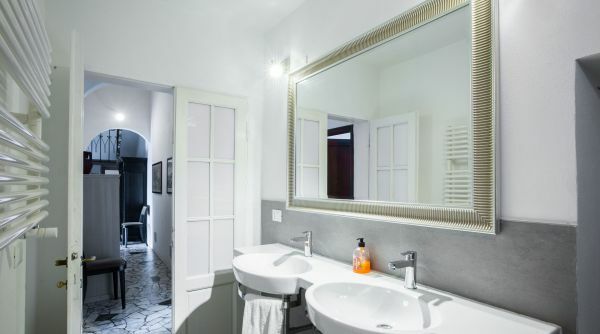 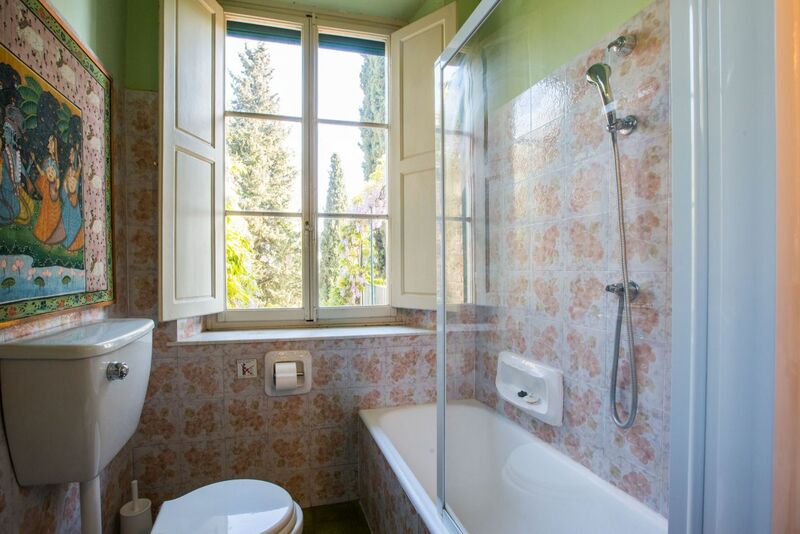 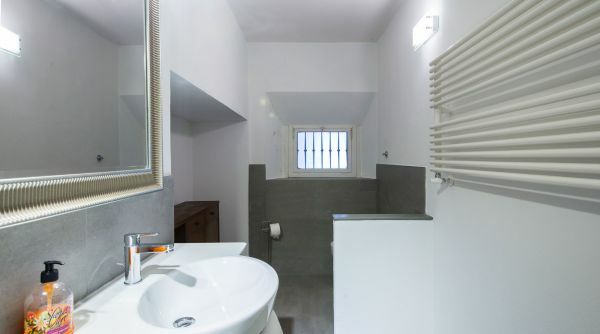 There is an additional private suite with a double bedroom, small kitchen and bathroom with shower. 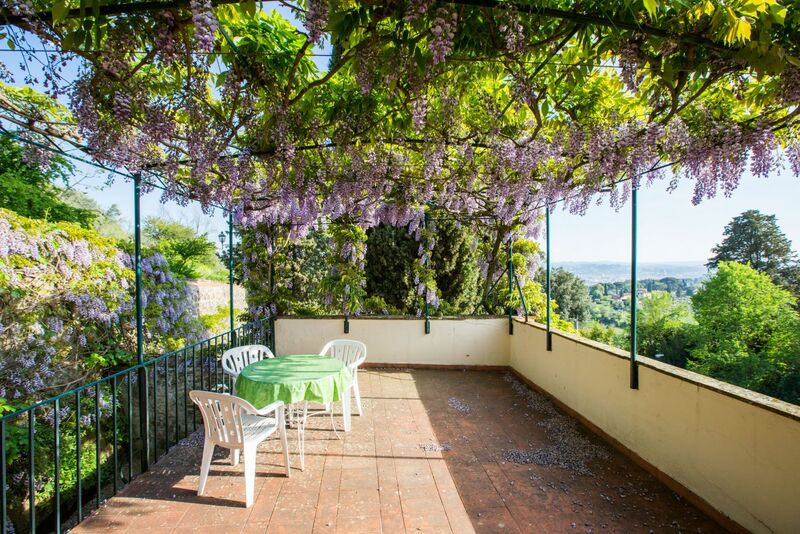 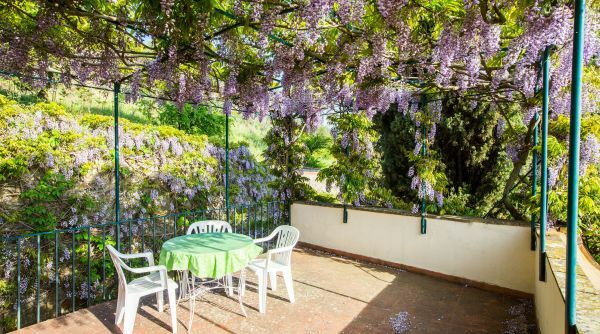 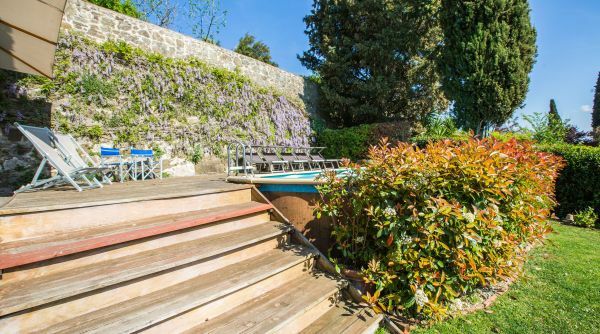 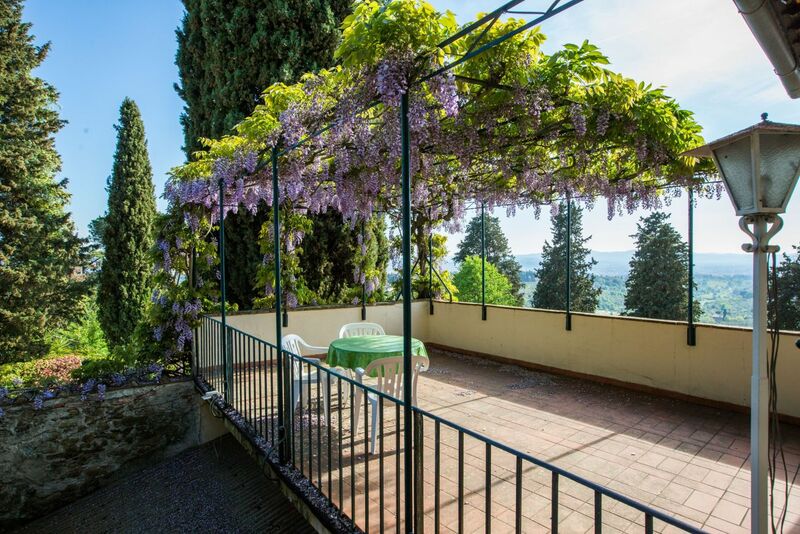 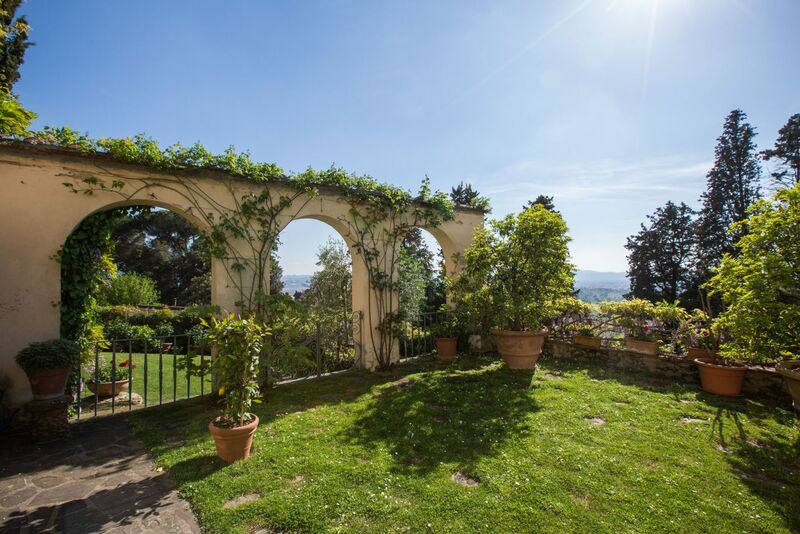 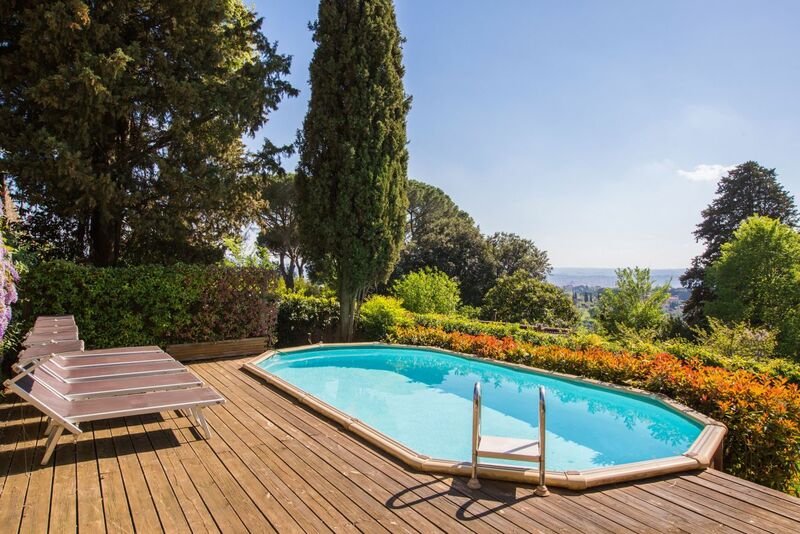 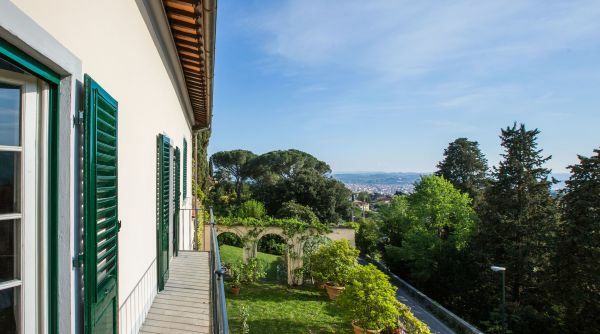 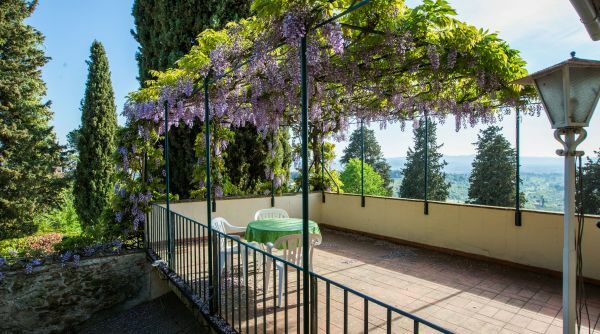 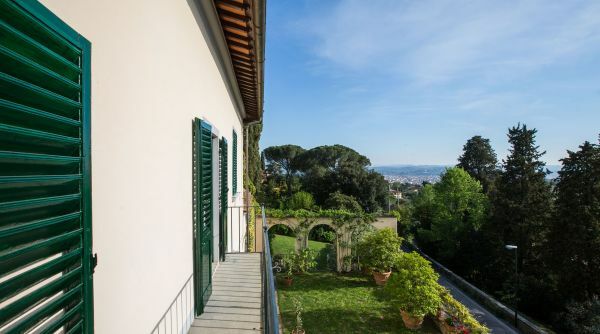 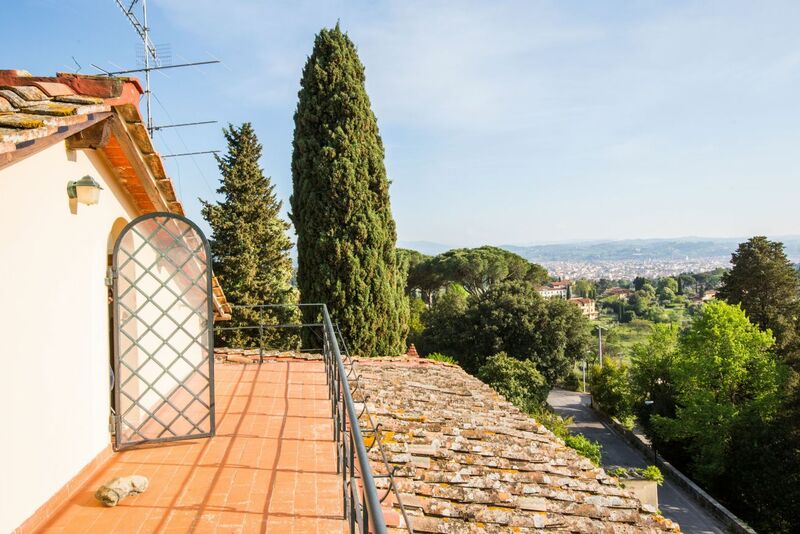 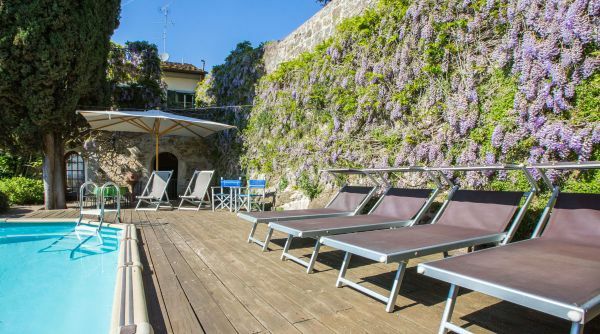 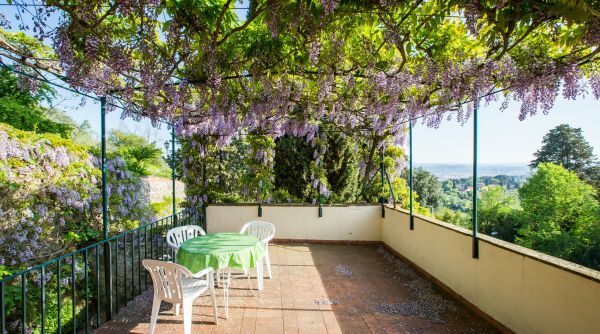 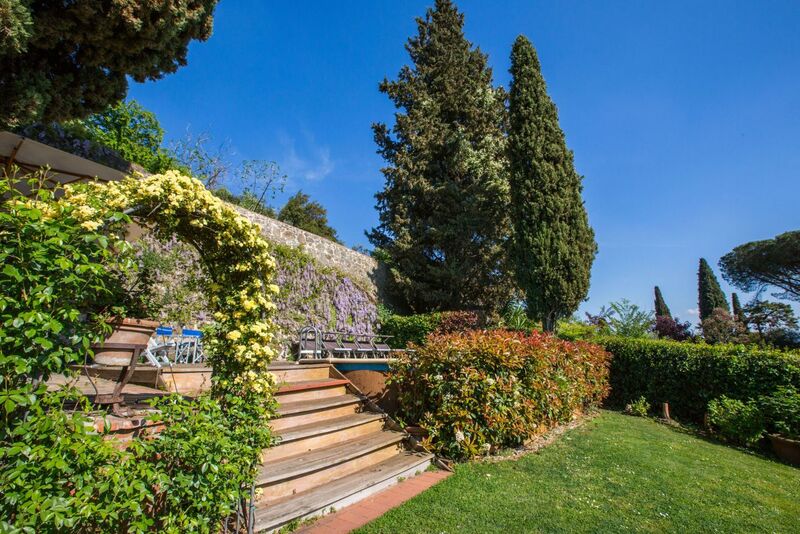 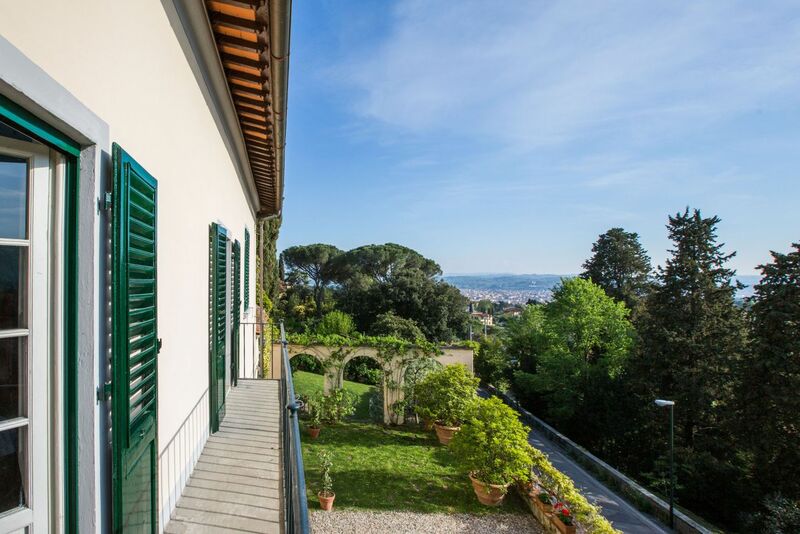 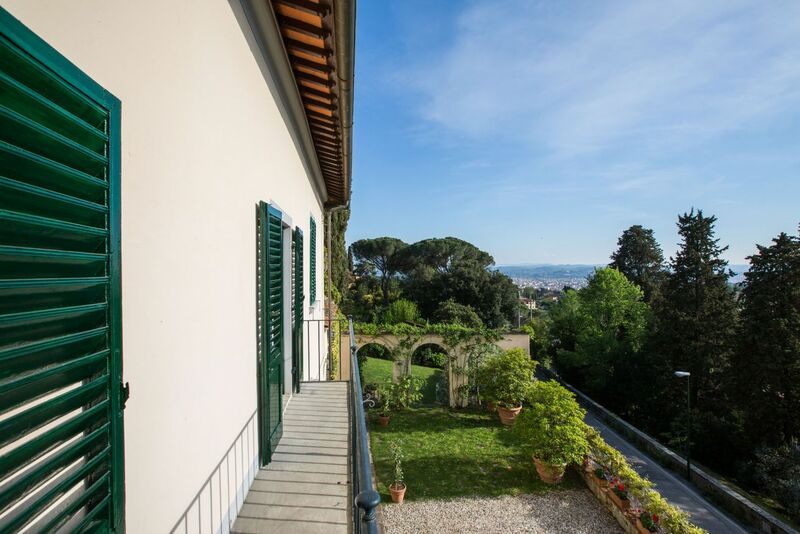 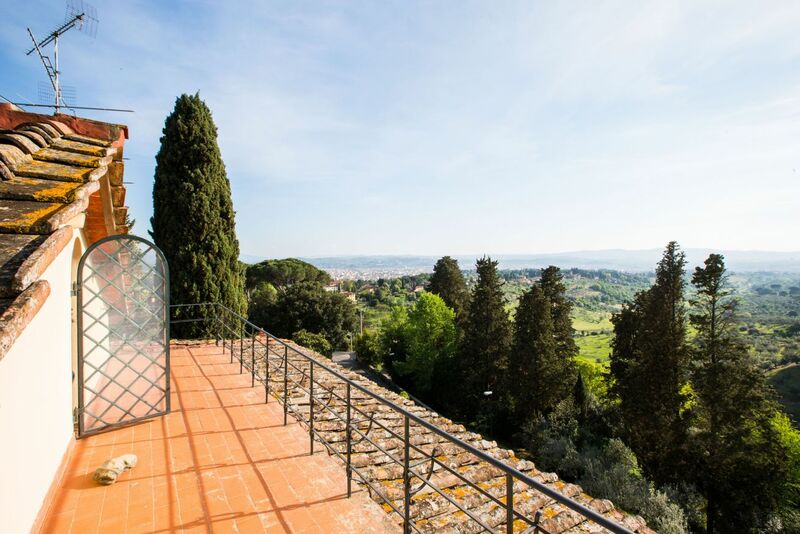 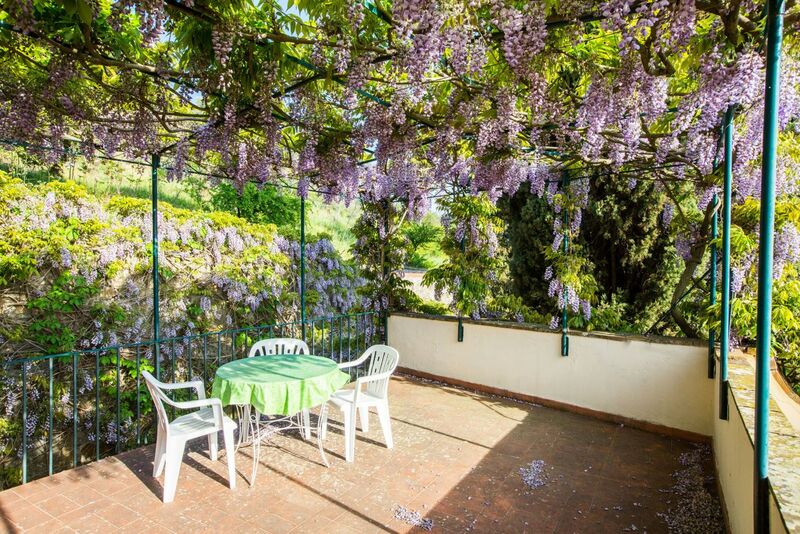 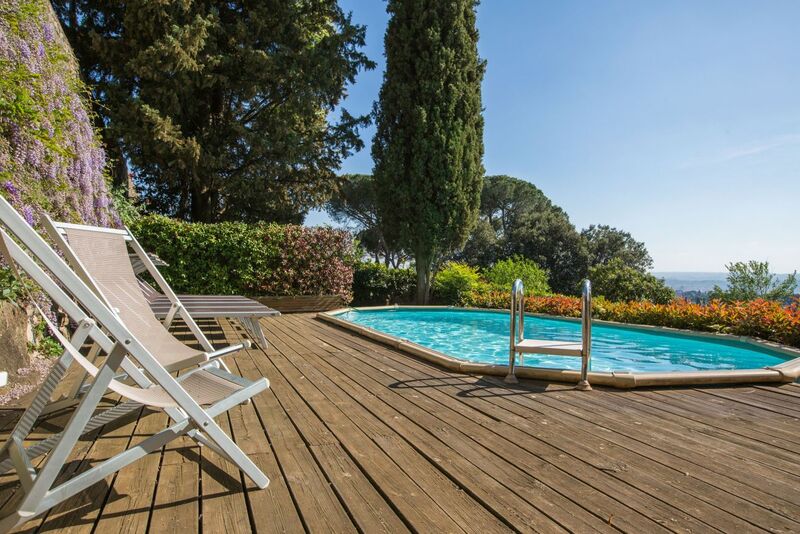 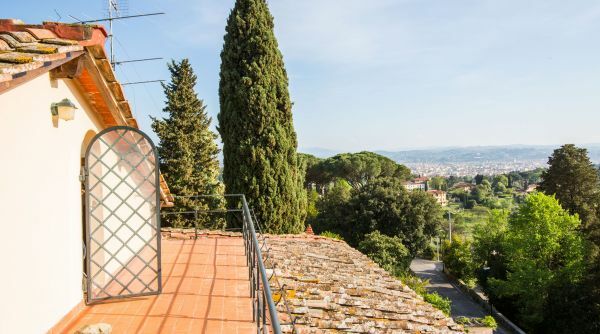 On the roof of the villa, reached by a comfortable flight of stairs, is a large terrace and sun deck with chairs and one of the best views to be found for miles around, encompassing the city and the surrounding hills and countryside. 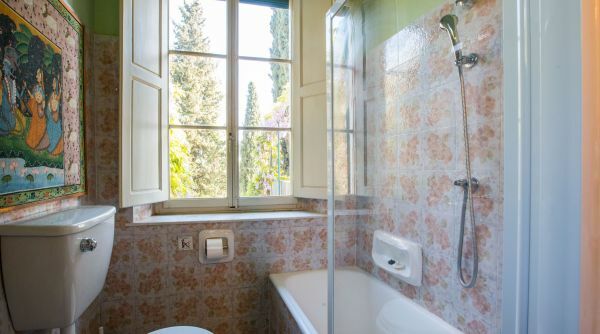 Cleaning fees of 200EUR per week are payable in cash at check in. 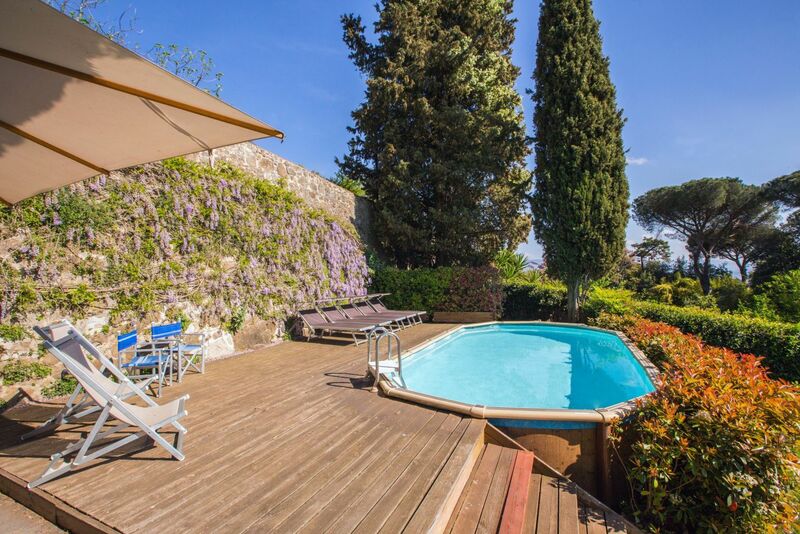 The cancellation policy for this villa is outside our normal advertised policy, please ask our sales representatives. 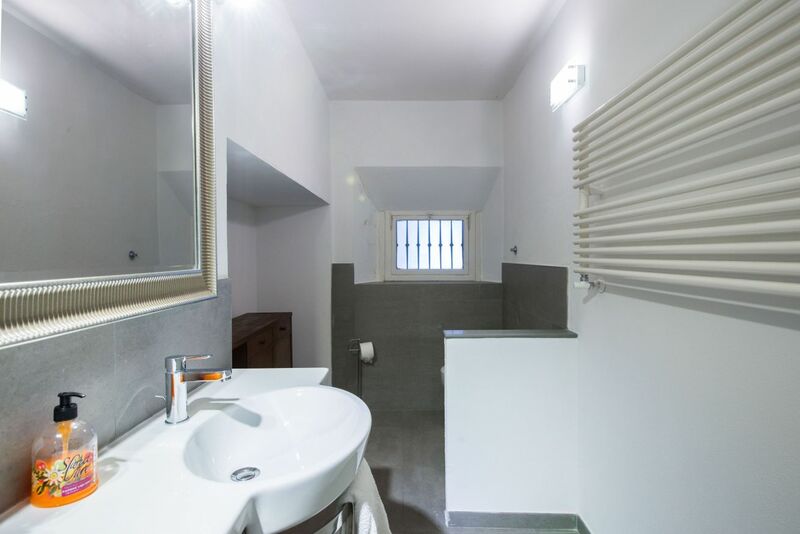 Edificio Classe G, prestazione energetica globale 517,7 kWh/m² anno.